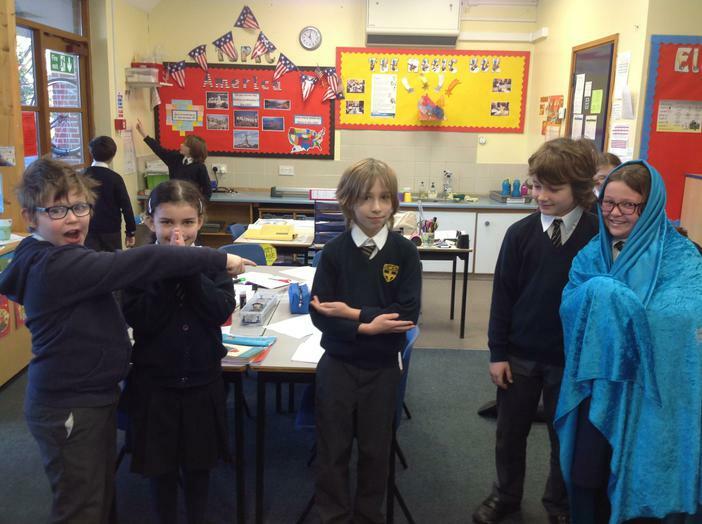 The wonderful... the beautiful... the great 5MB! 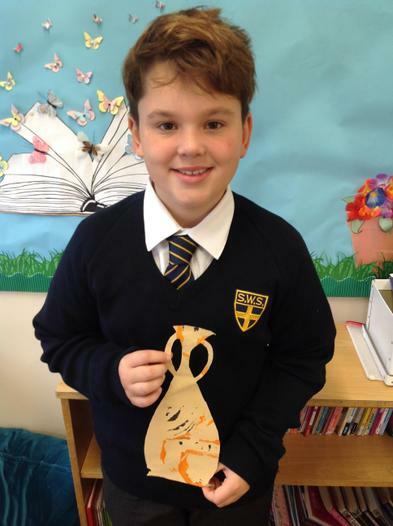 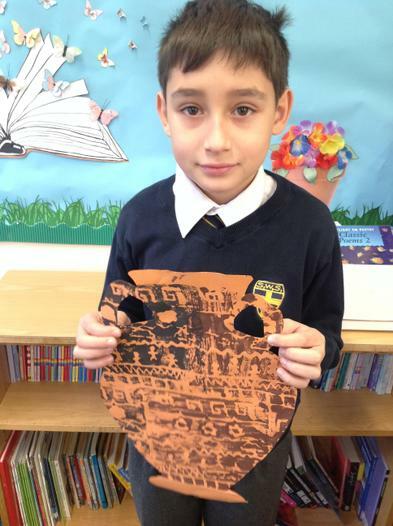 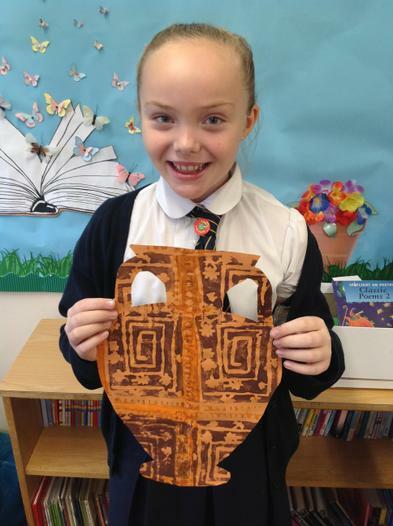 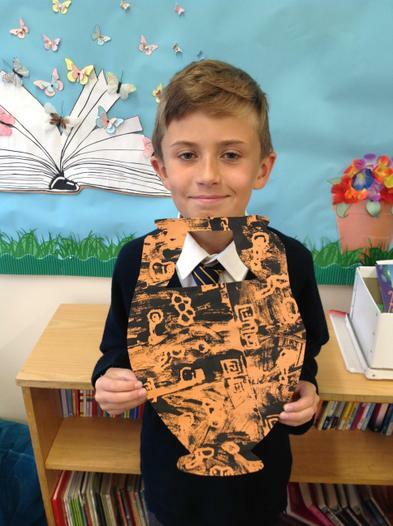 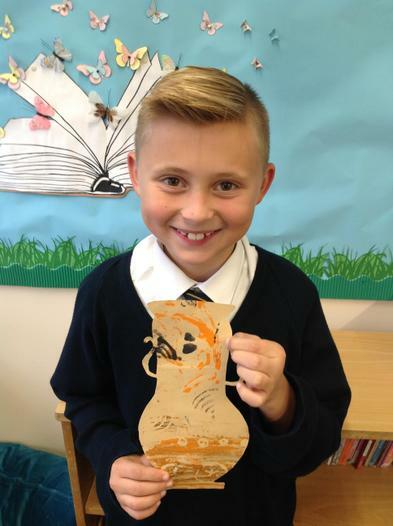 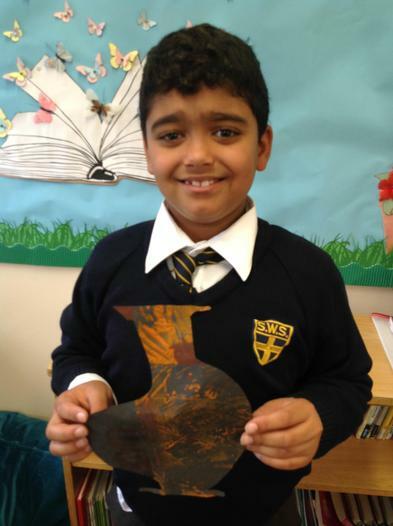 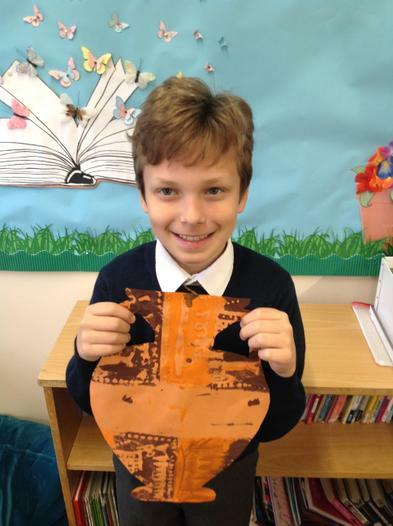 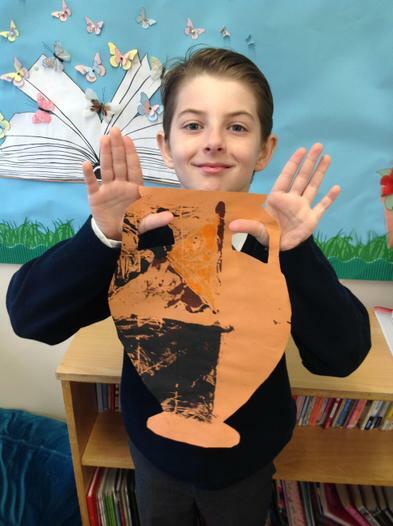 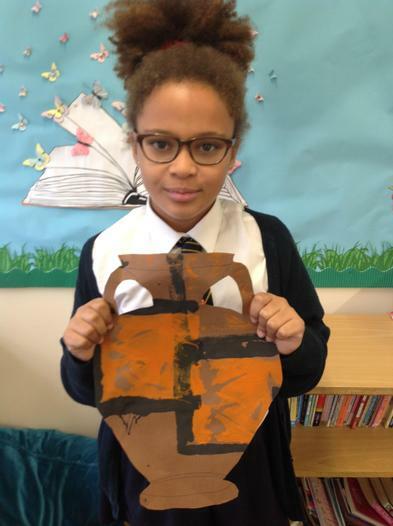 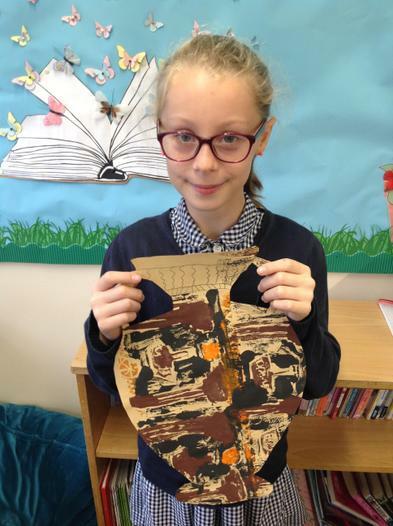 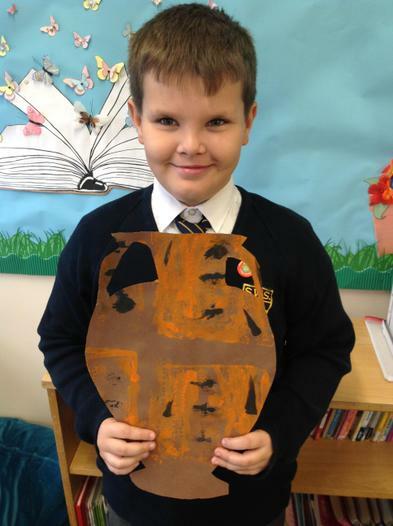 Here are our Ancient Greek Vases. 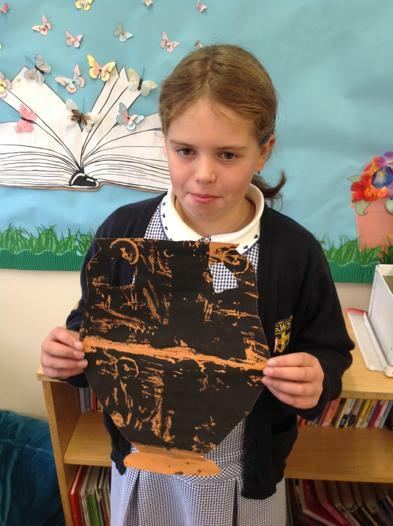 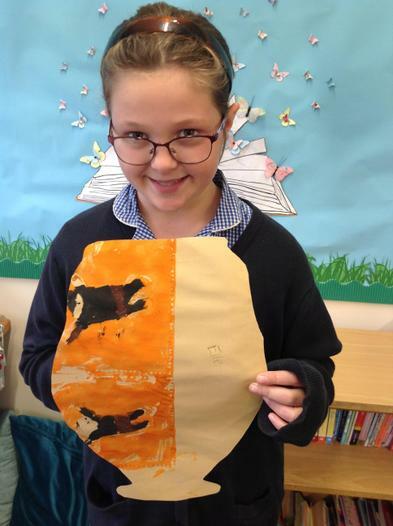 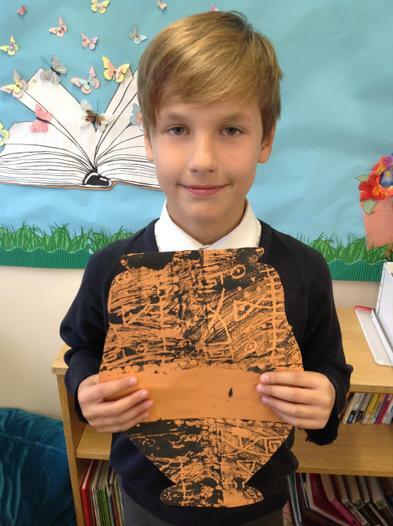 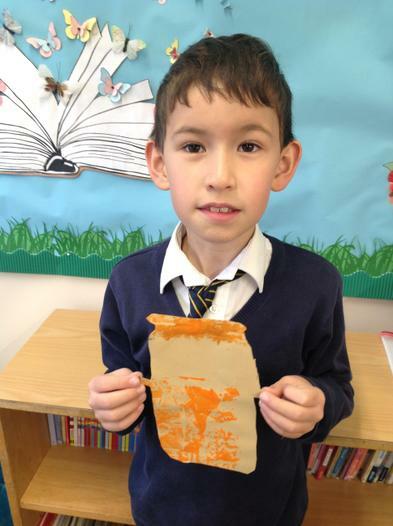 These are some of our wonderful creations made in our art lessons, we used printing a technique to make these. 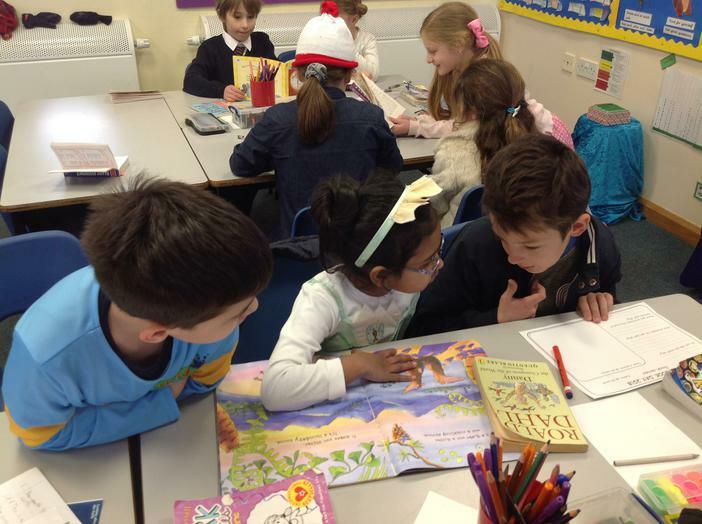 Big Book Lesson. 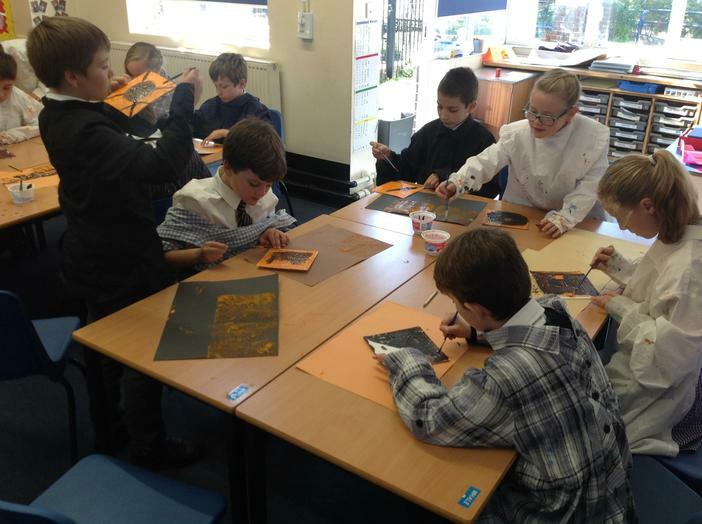 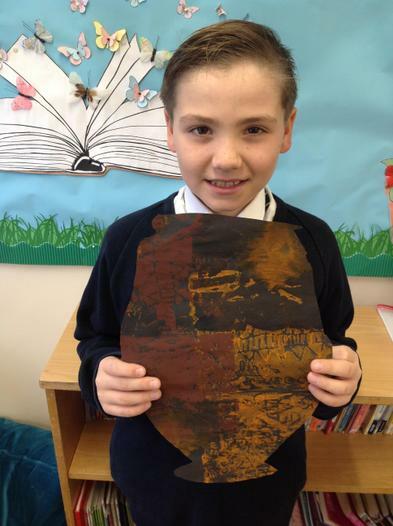 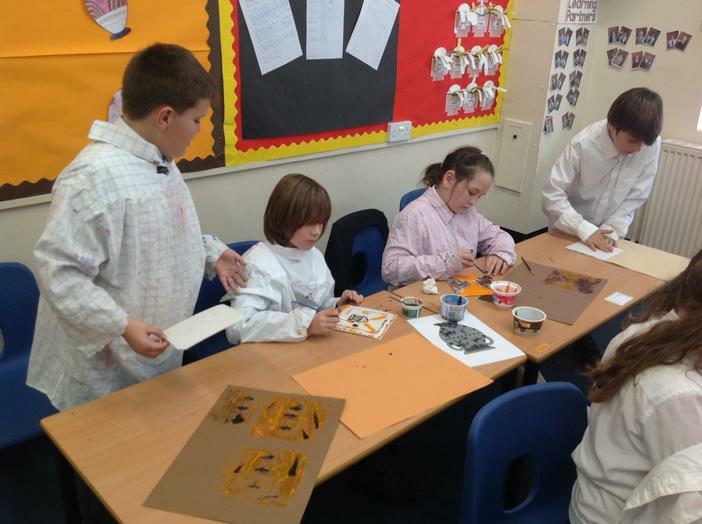 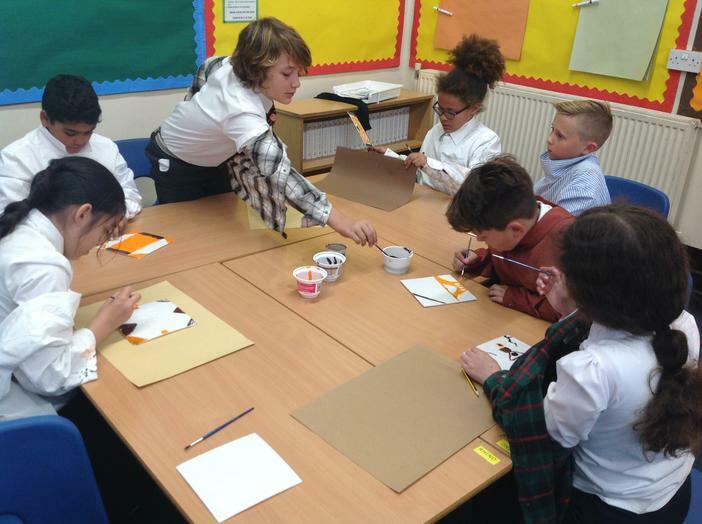 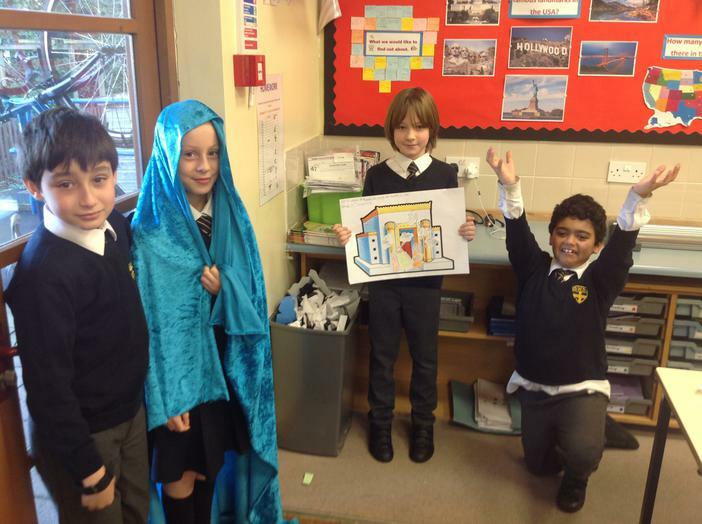 These are some images from our recent RE lesson, we used art based activities to round up our RE 'Creation' topic. 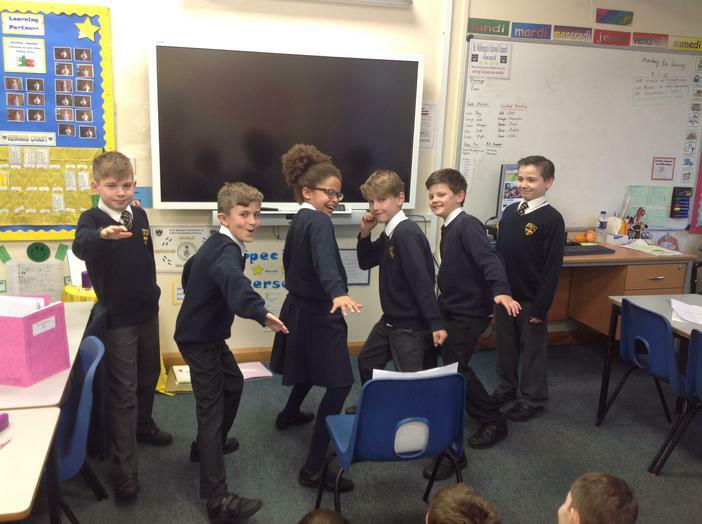 Welcome to 5MB's Class Page! 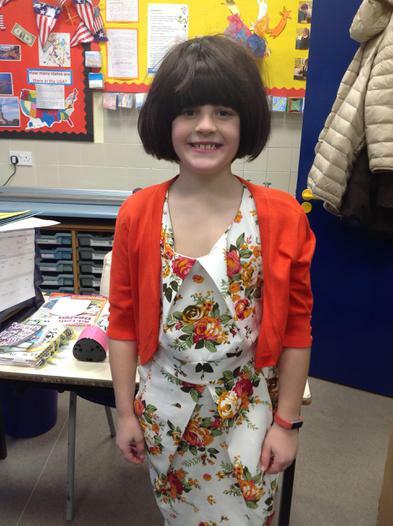 Our class teacher is Miss Belcher and our class TA is Mrs Bartlett. 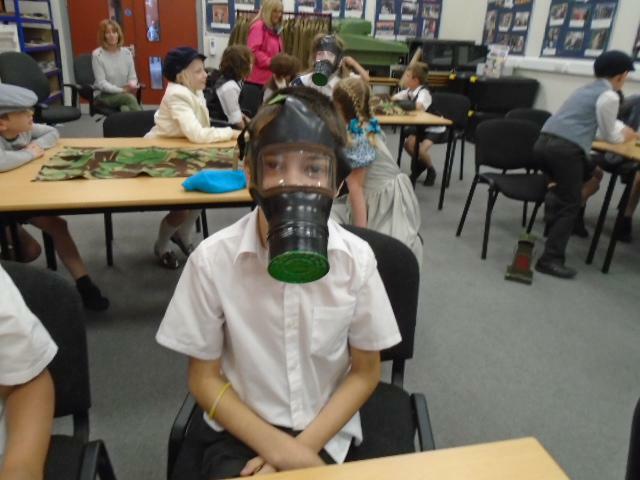 Miss Belcher will be using this class page to keep you updated. 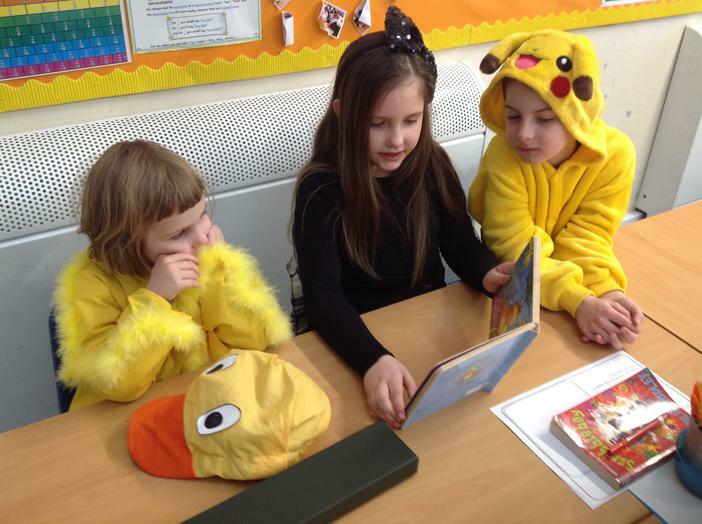 Home Learning and Reading Records will be sent out on a Friday and both are due in by the following Wednesday. 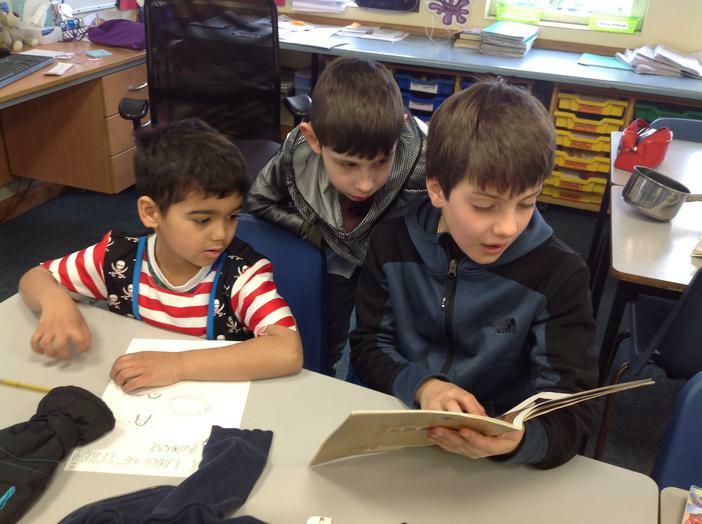 Reading Records should be signed to show that your child has read three times. 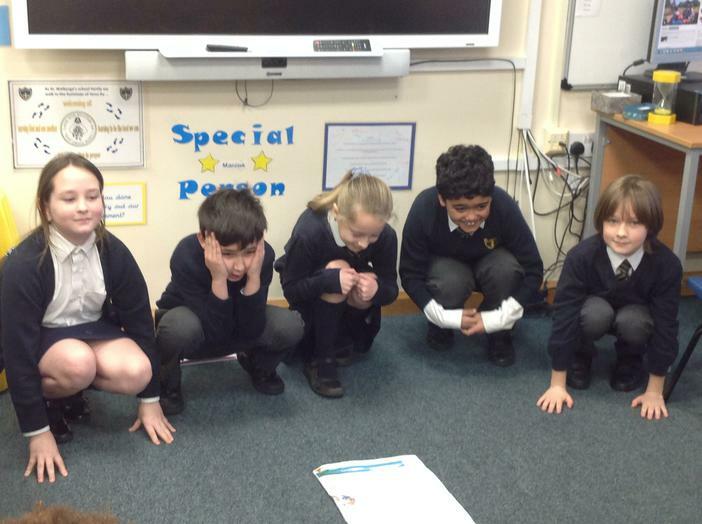 We do a Spelling Test every Friday based on the spellings and spelling investigations given in Home Learning that week. 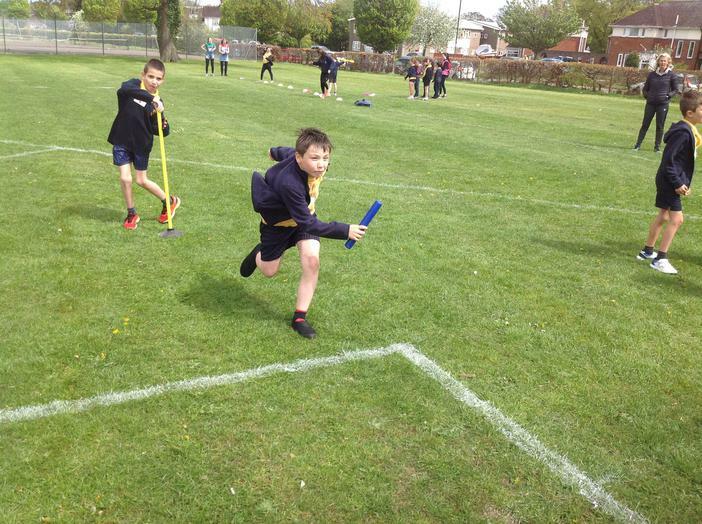 We have Indoor PE on a Wednesday and Outdoor PE on a Thursday so please make sure the appropriate PE kit is in school on those days. 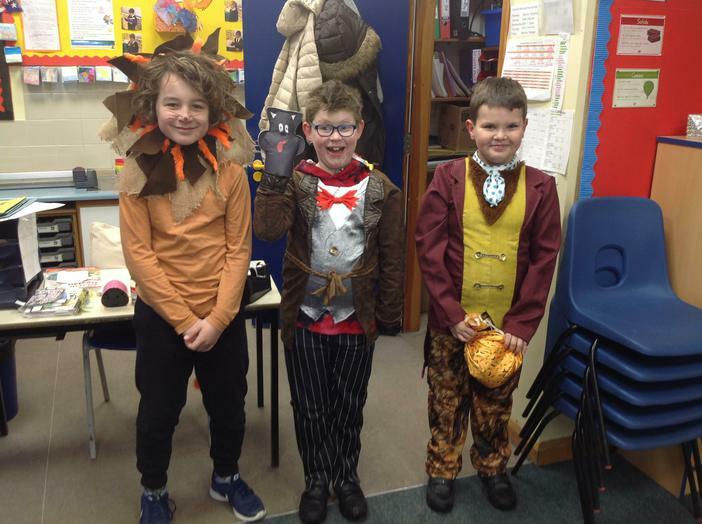 Thank you for visiting 4 PM's class page.We're looking forward to a fun packed year.We hope that you enjoy looking at our photos and sharing our learning as the year progresses. 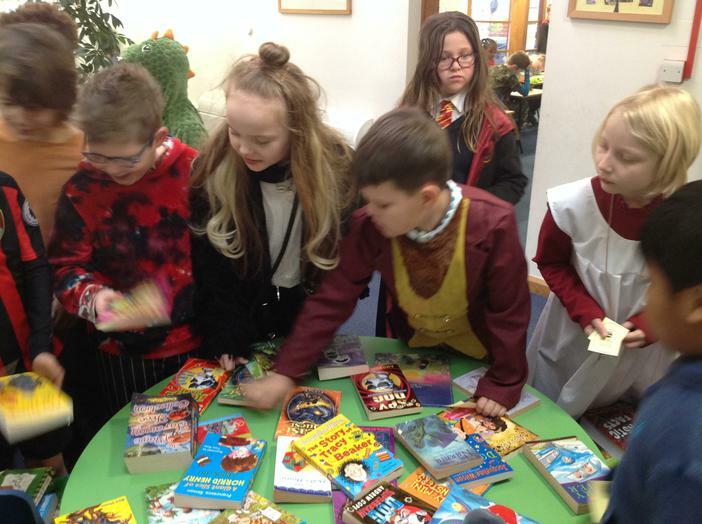 Reading Records should be handed in on Wednesdays and will be given out on Fridays. 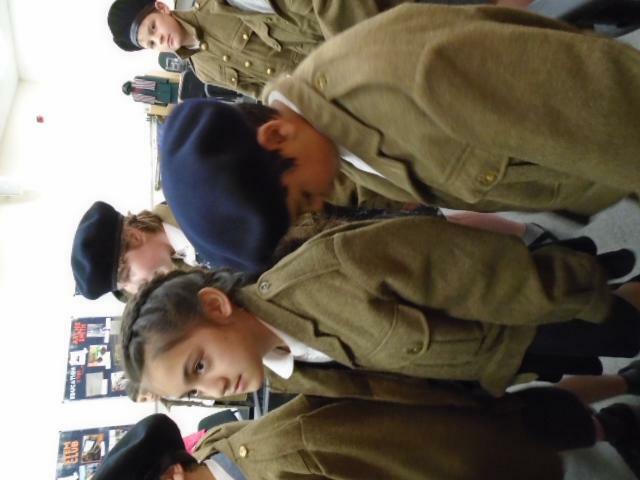 They are to be signed and dated three times per week. 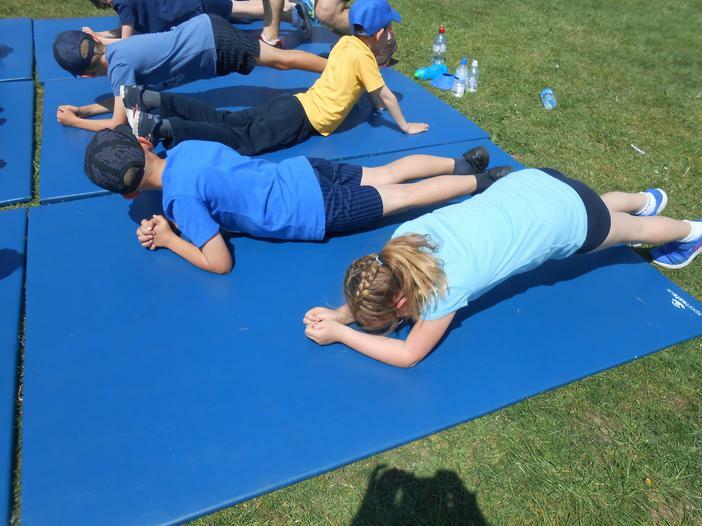 PE is on Wednesday (outside) and Thursday (inside). 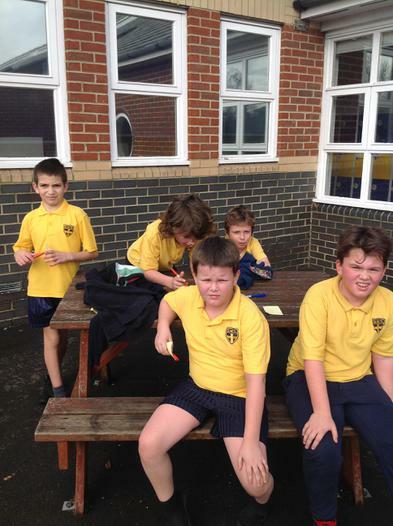 Please ensure PE kits are in school on these days and earrings are taken out at home. 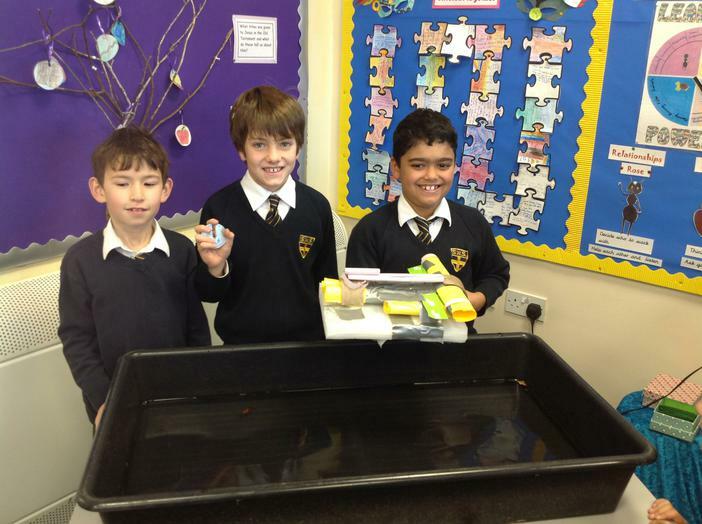 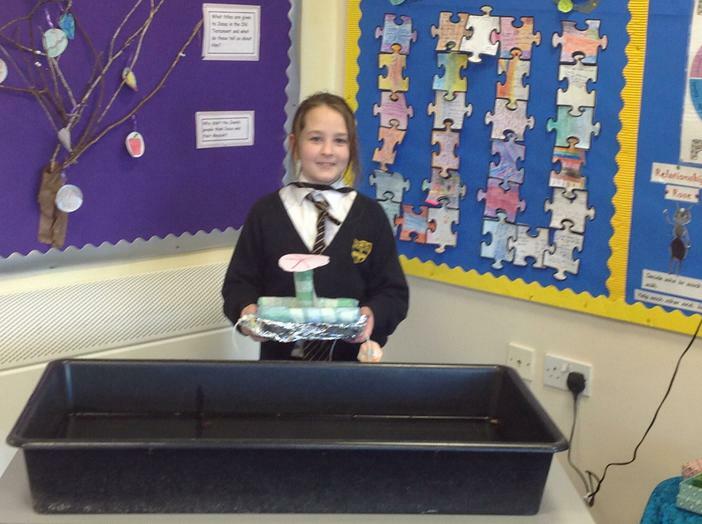 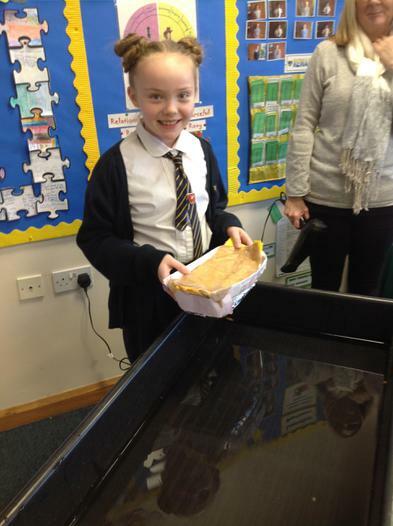 In science we have been looking for habitats around the school. 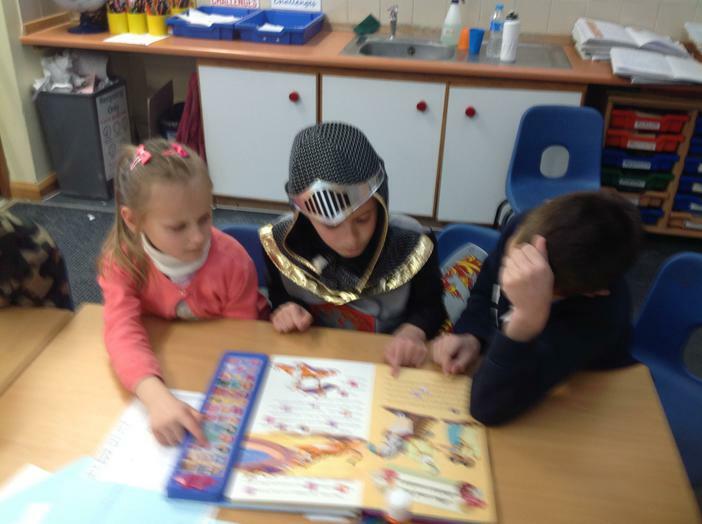 As part of our Egyptian topic we discovered lots of different ways of finding out information. 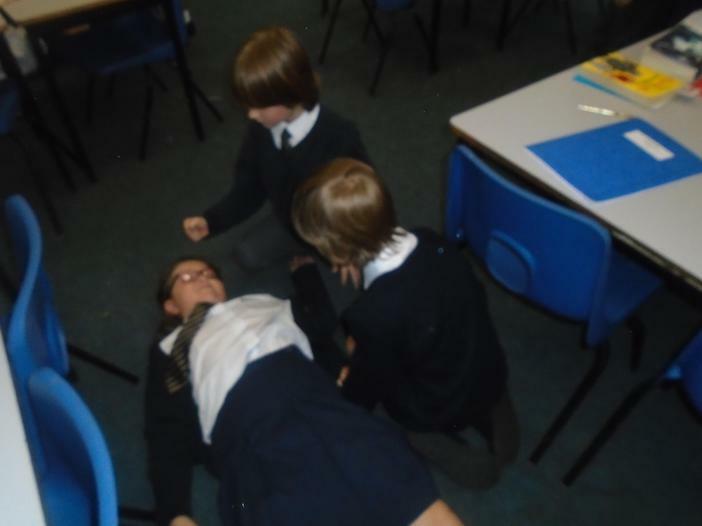 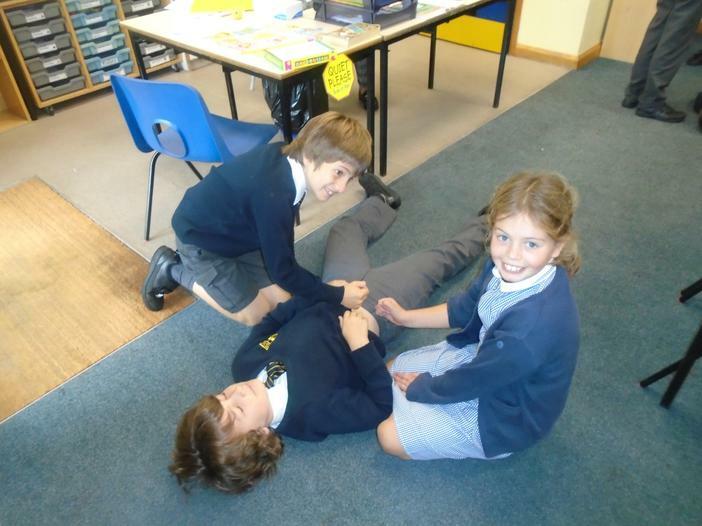 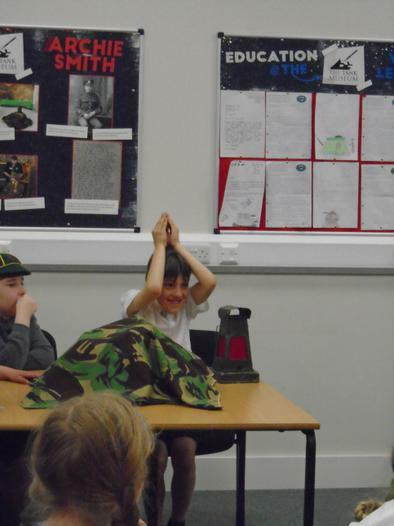 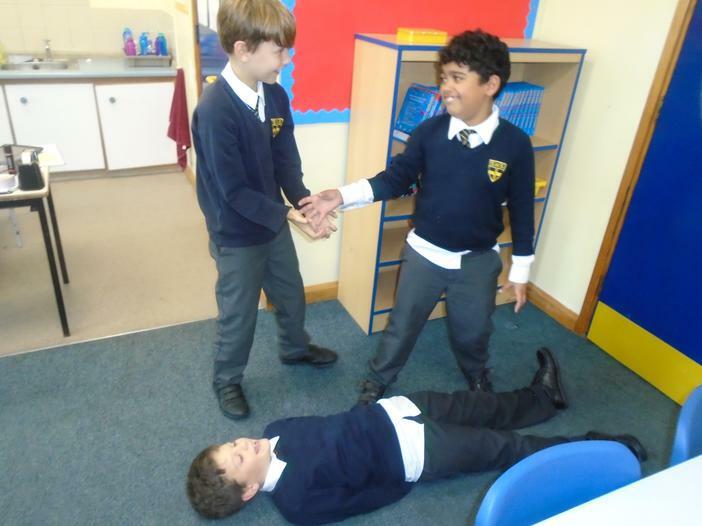 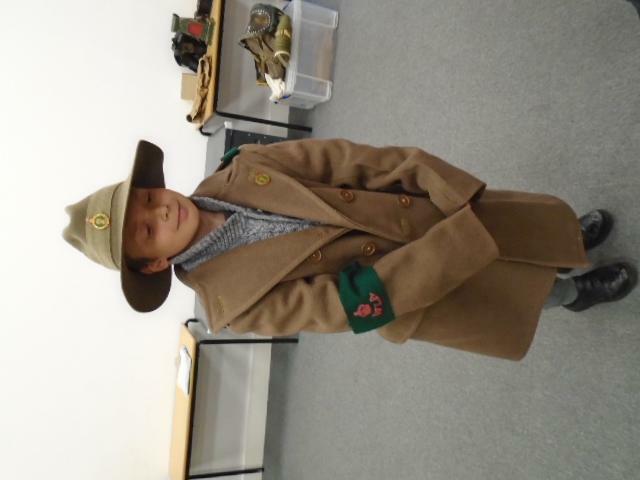 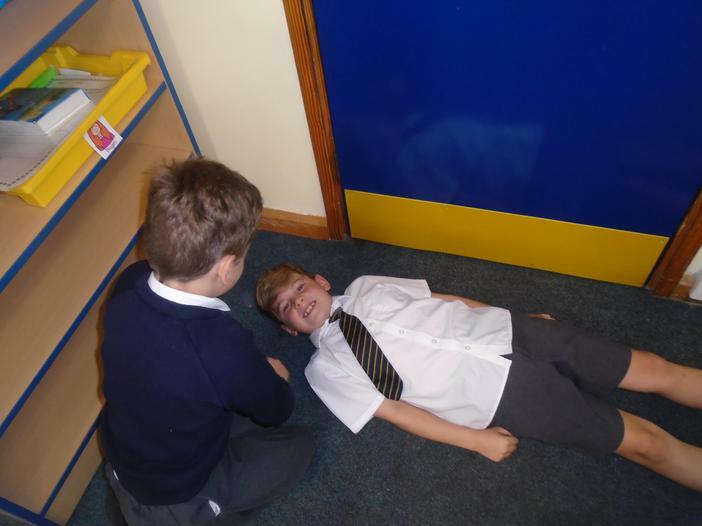 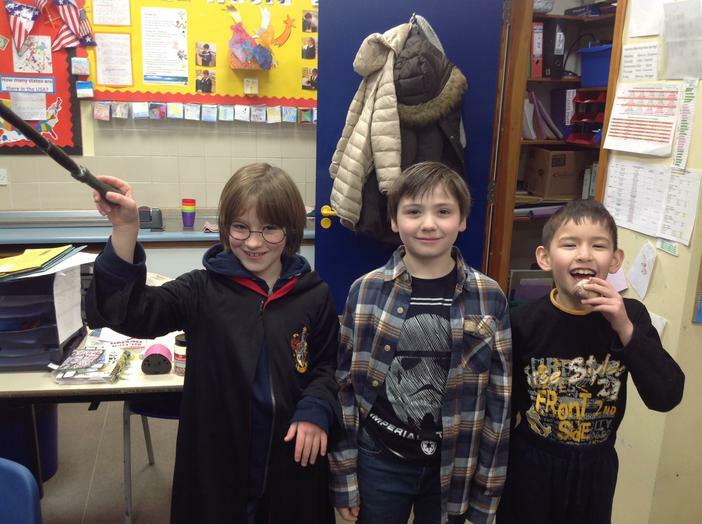 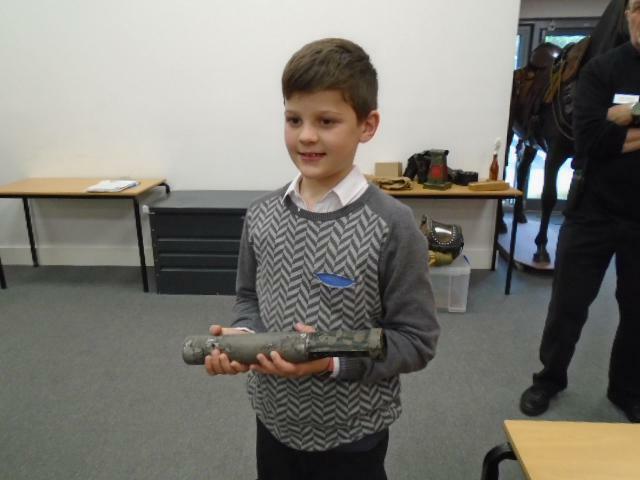 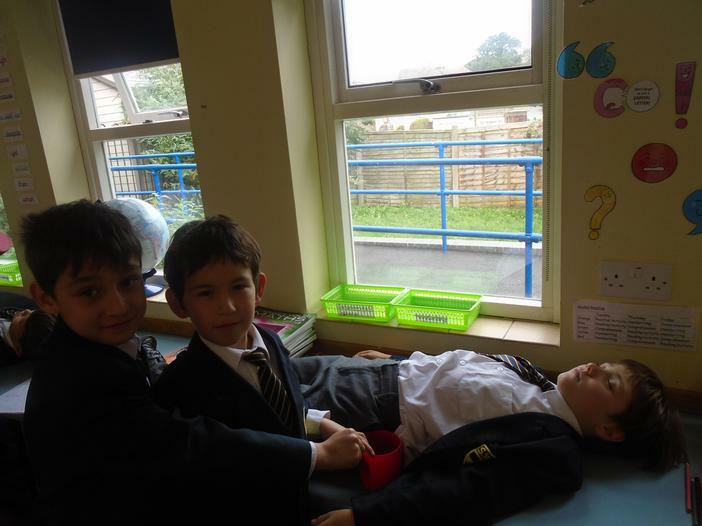 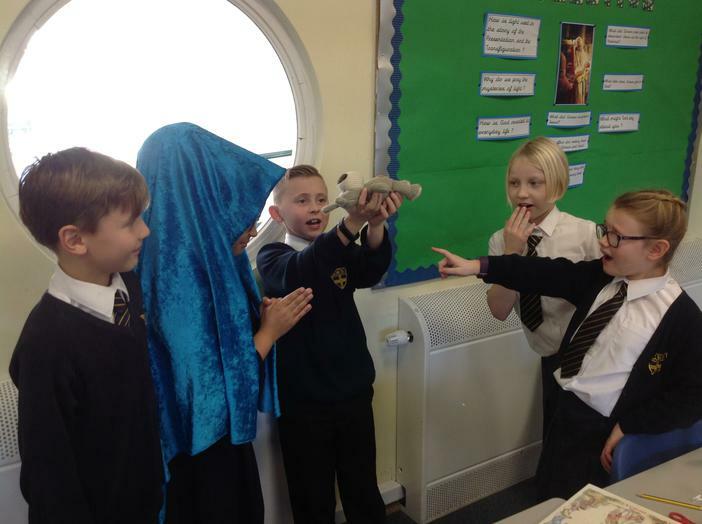 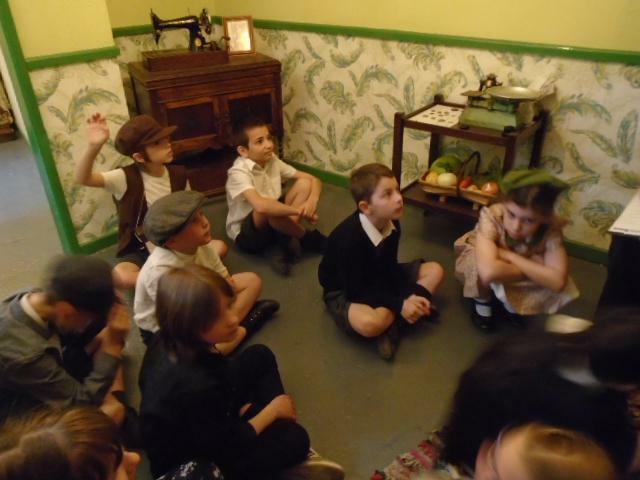 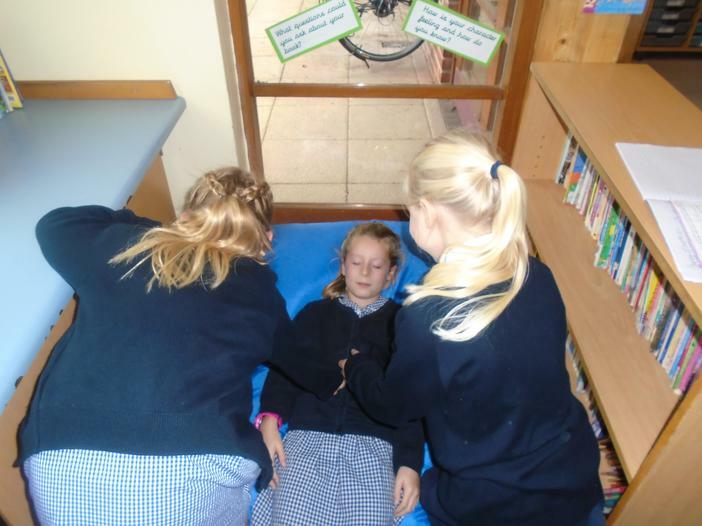 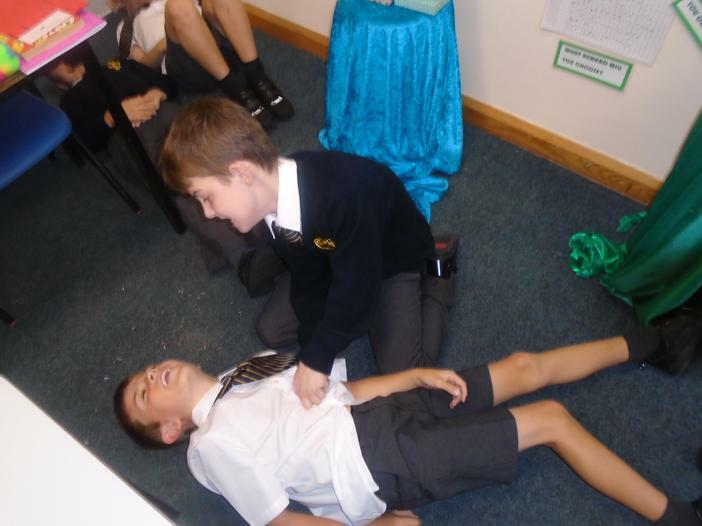 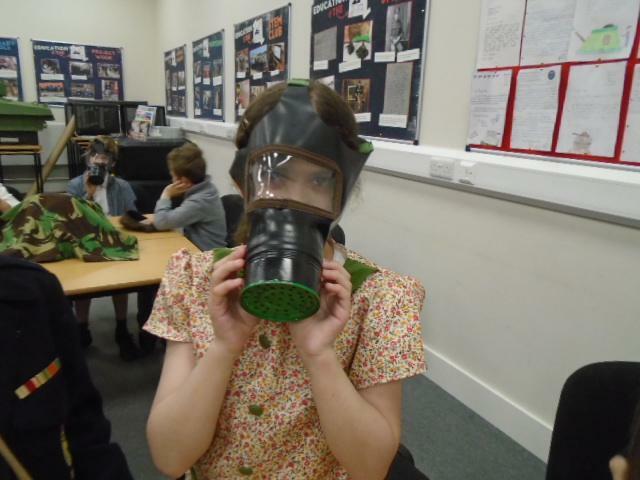 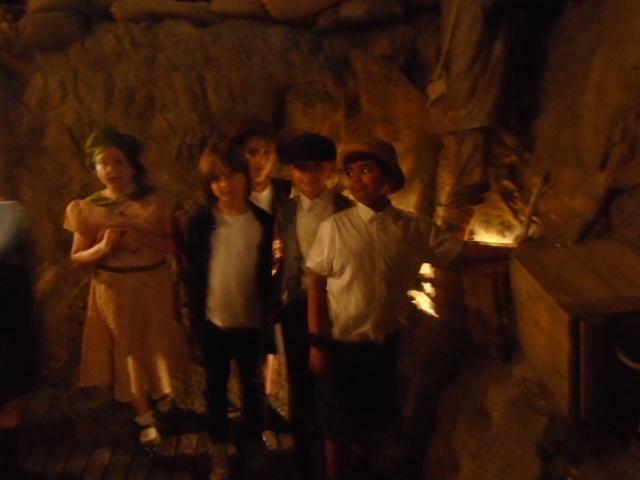 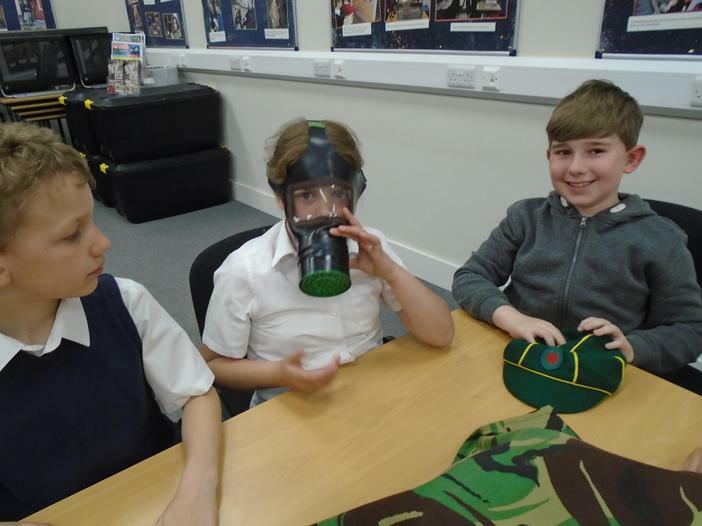 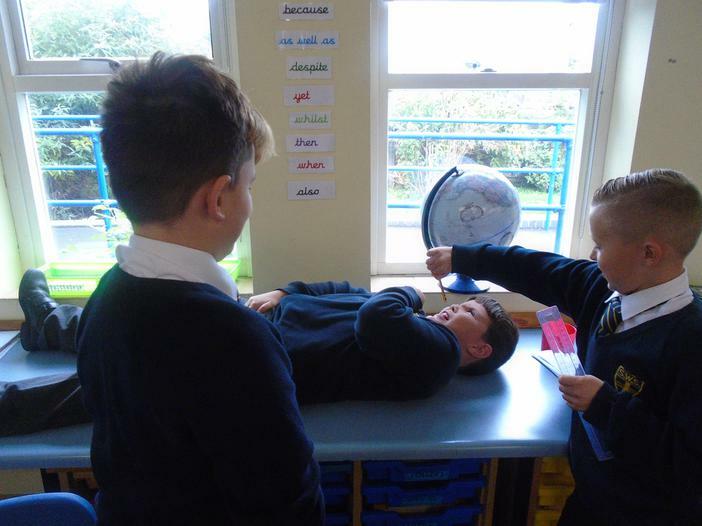 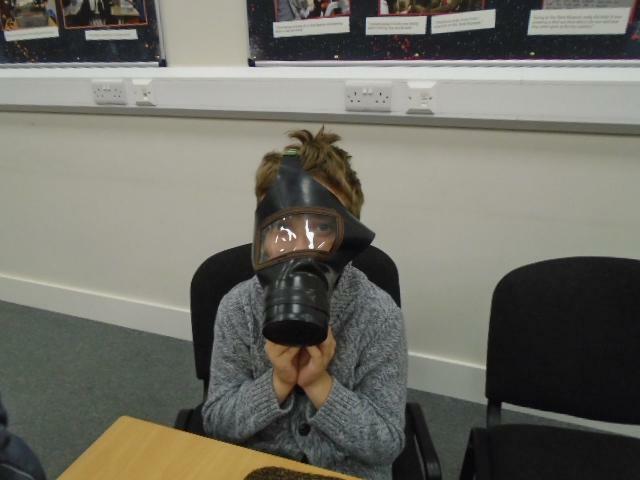 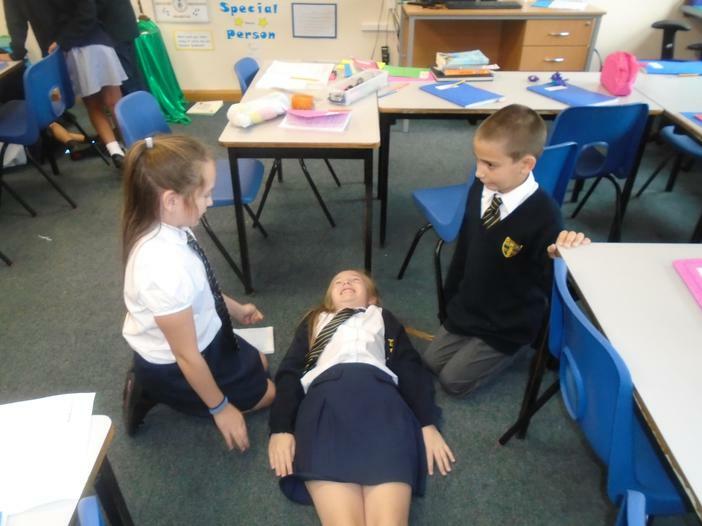 We have learnt all about mummification and loved acting out the process. 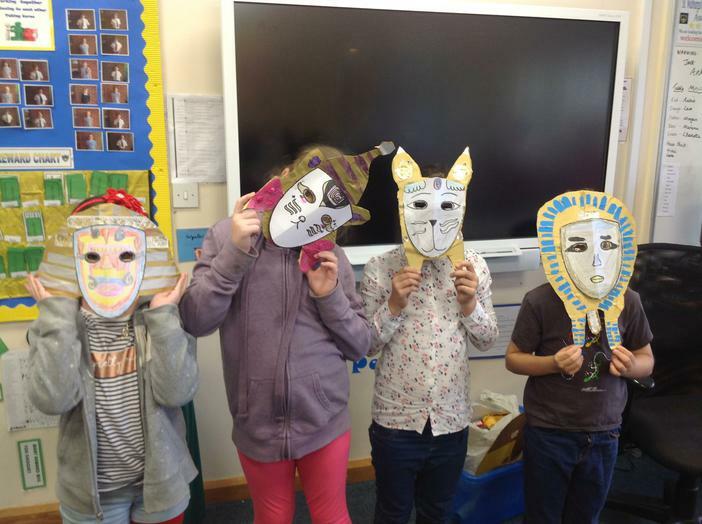 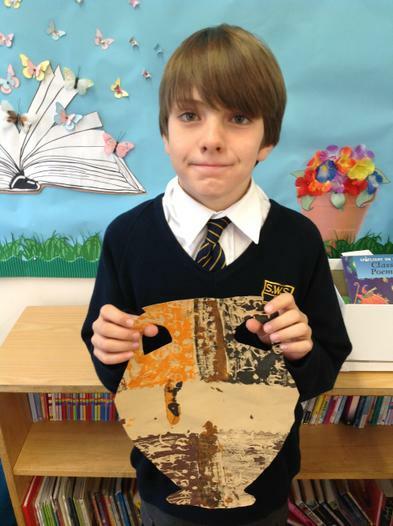 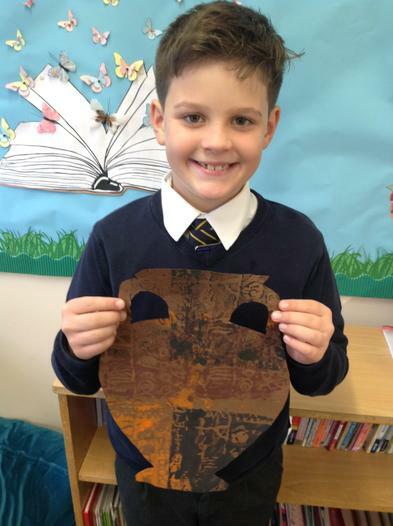 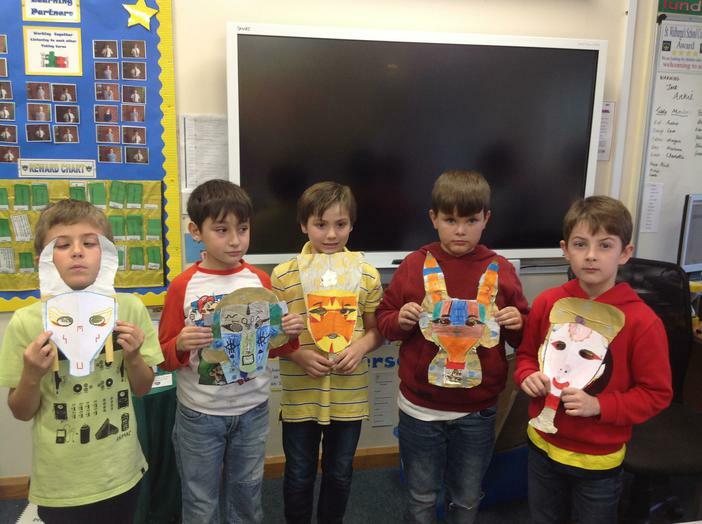 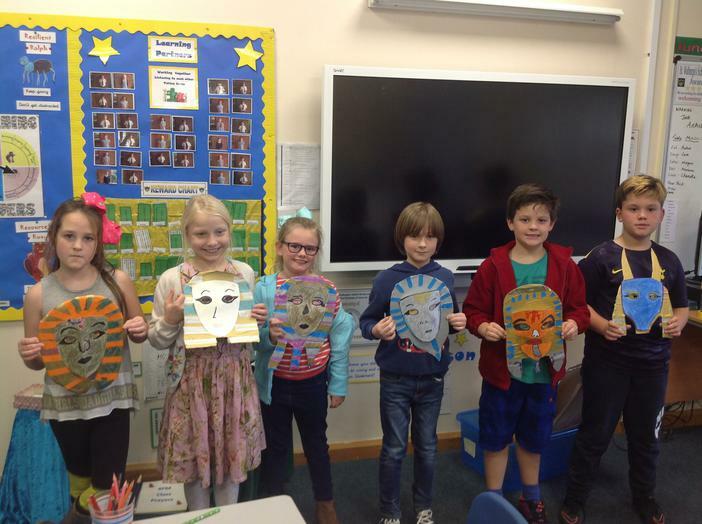 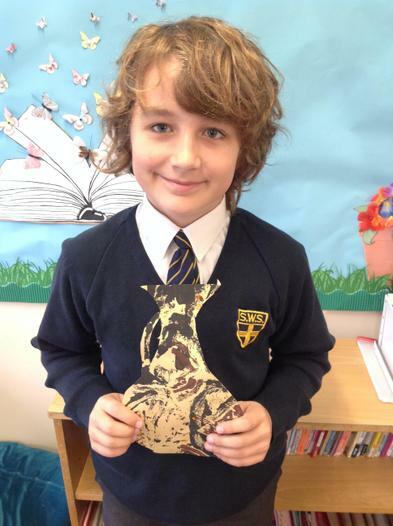 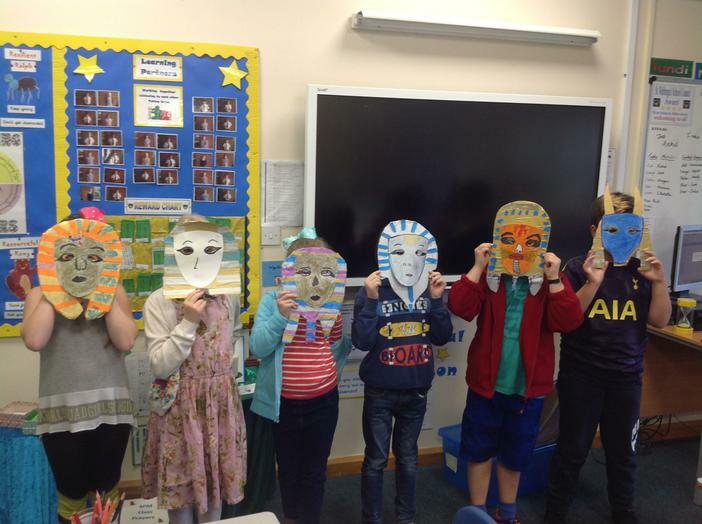 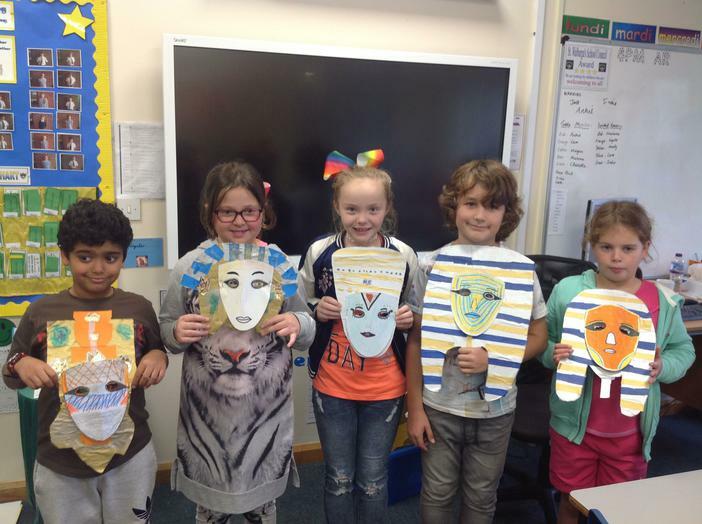 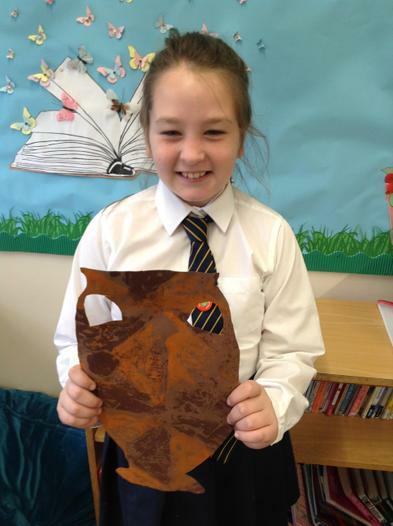 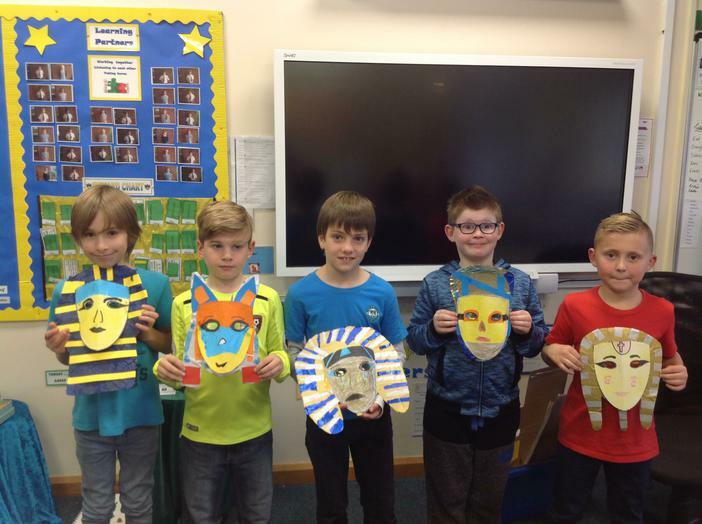 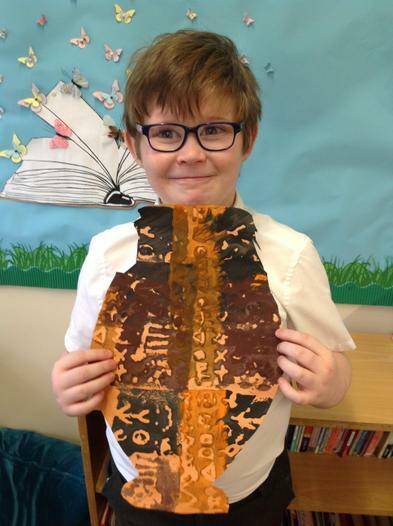 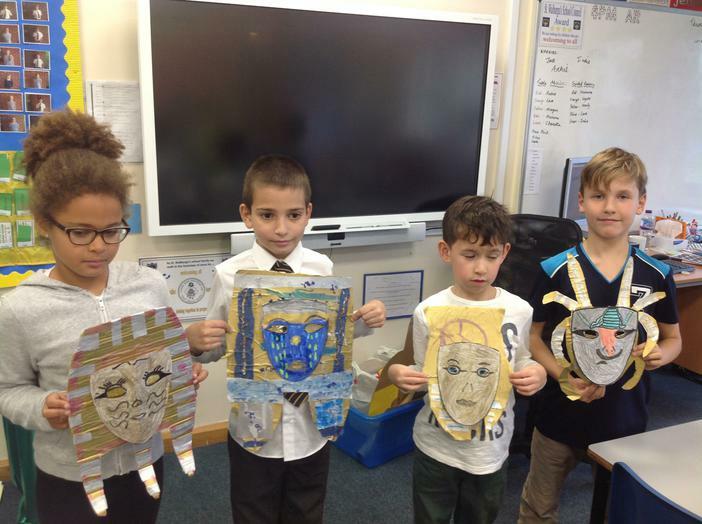 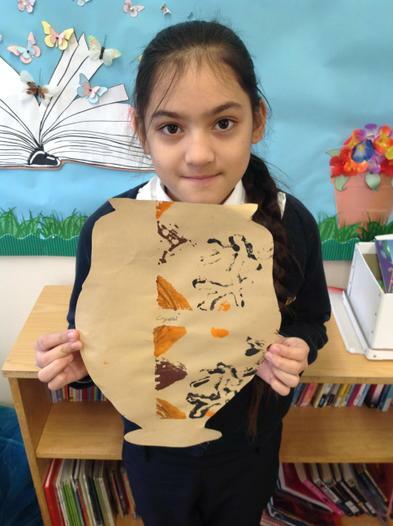 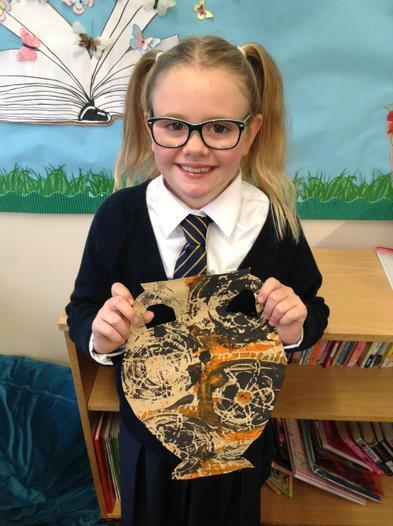 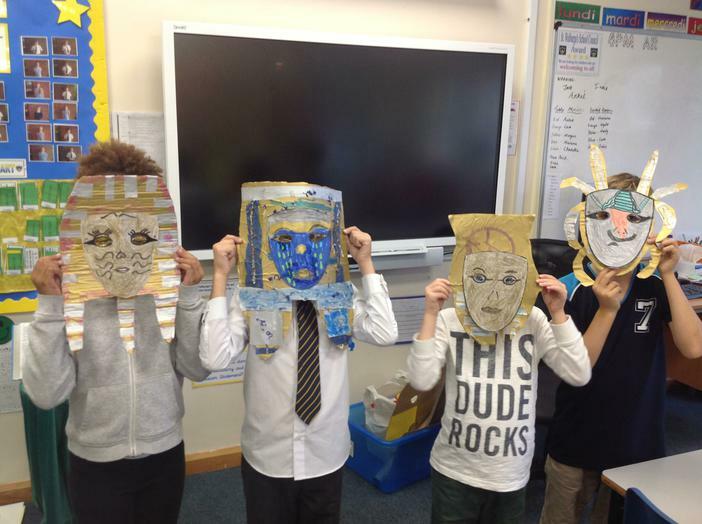 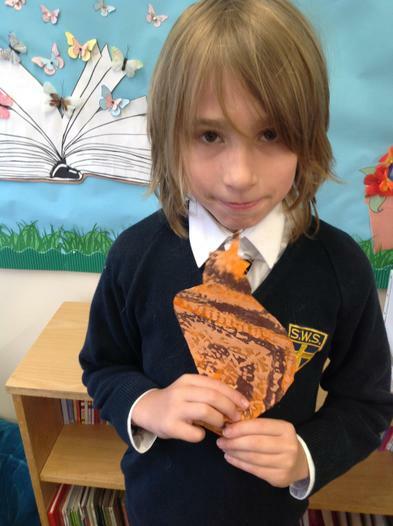 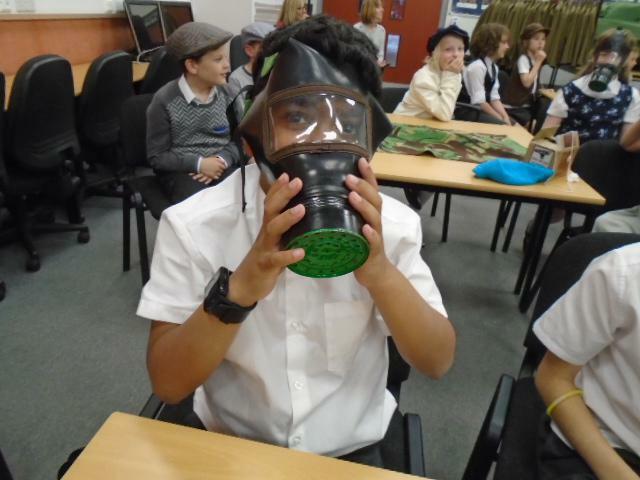 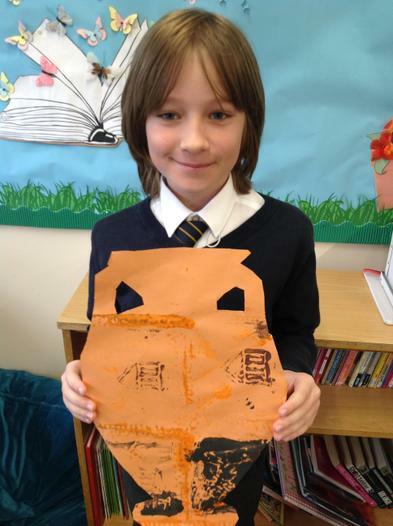 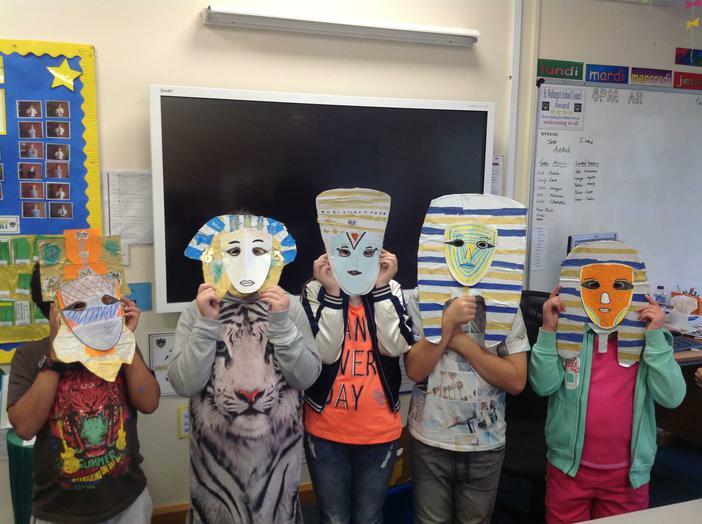 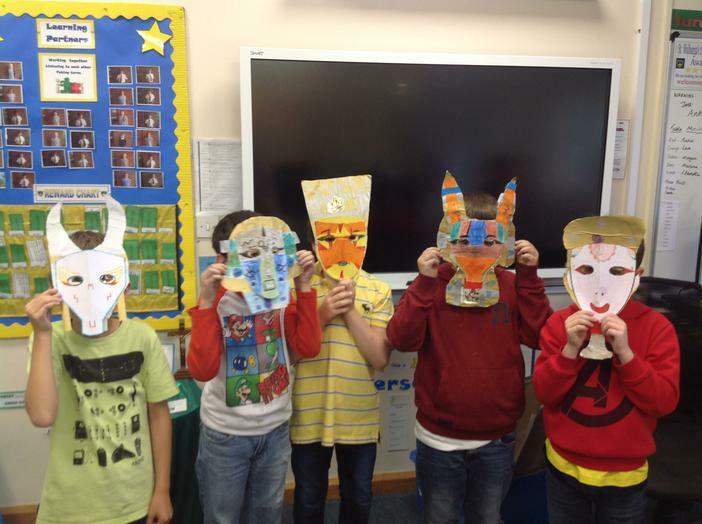 We have had great fun creating our own Egyptian death masks. 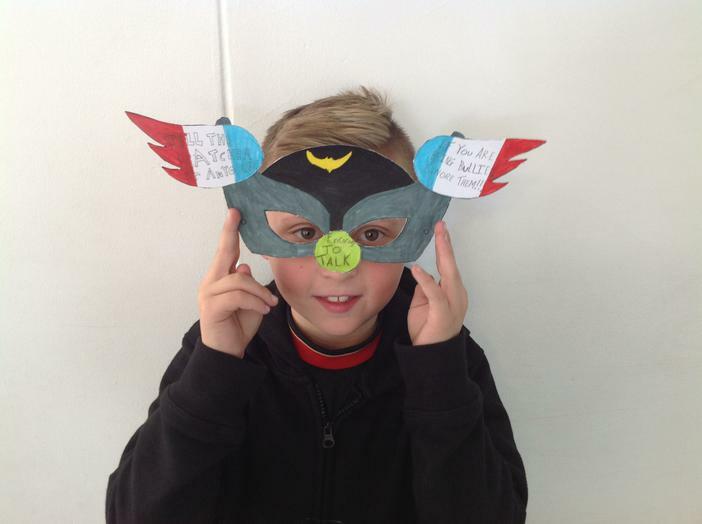 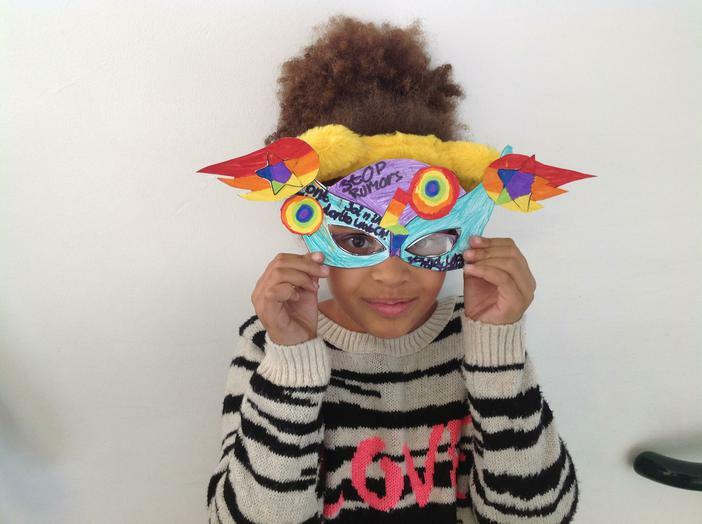 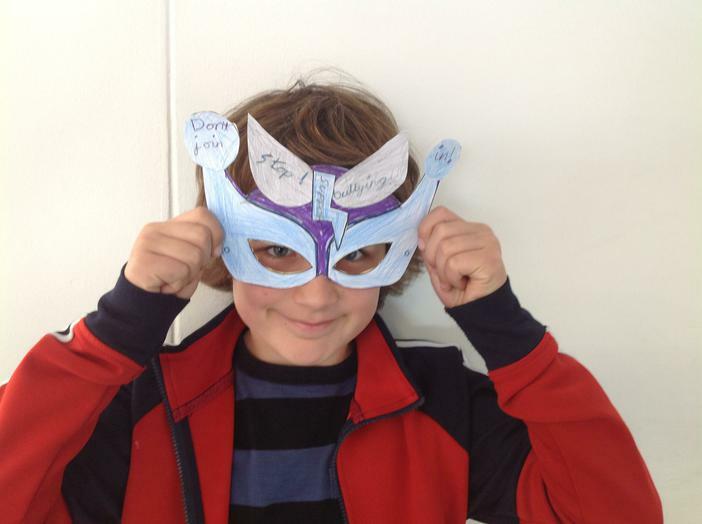 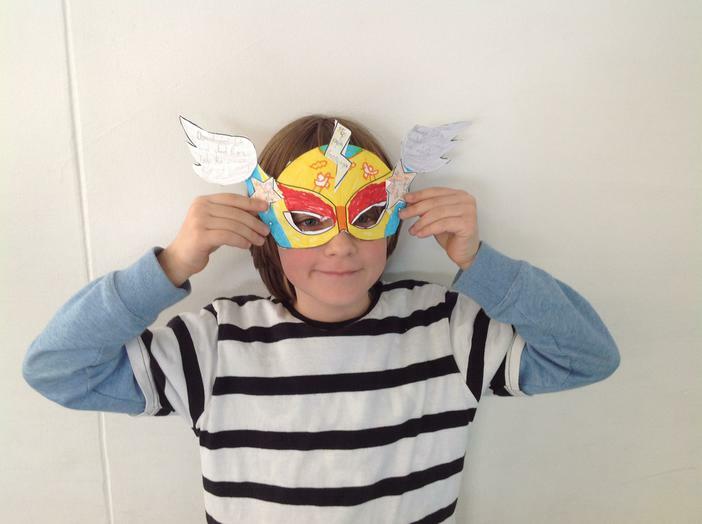 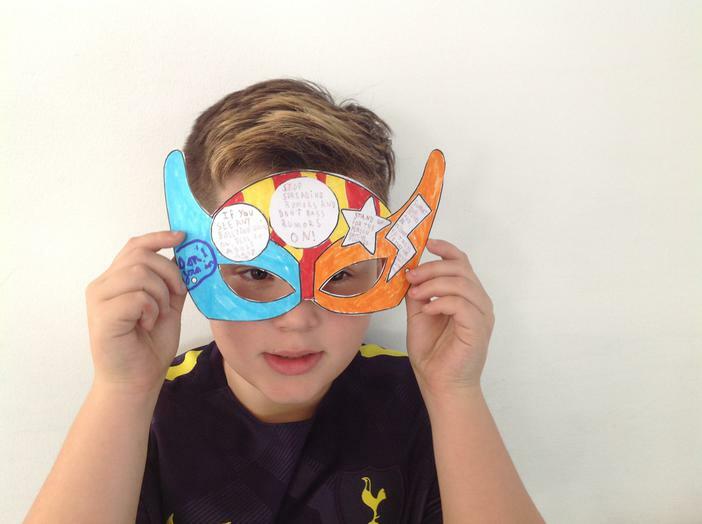 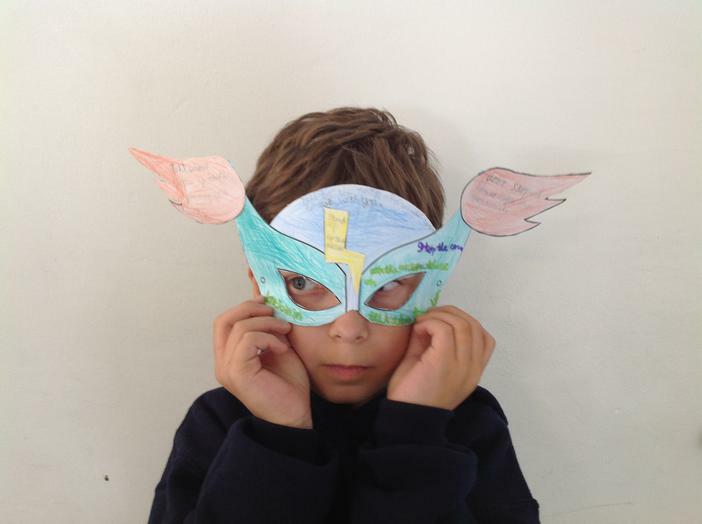 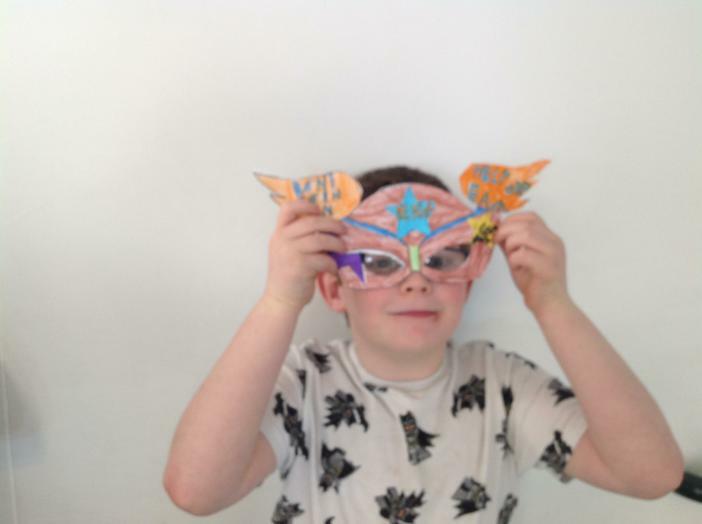 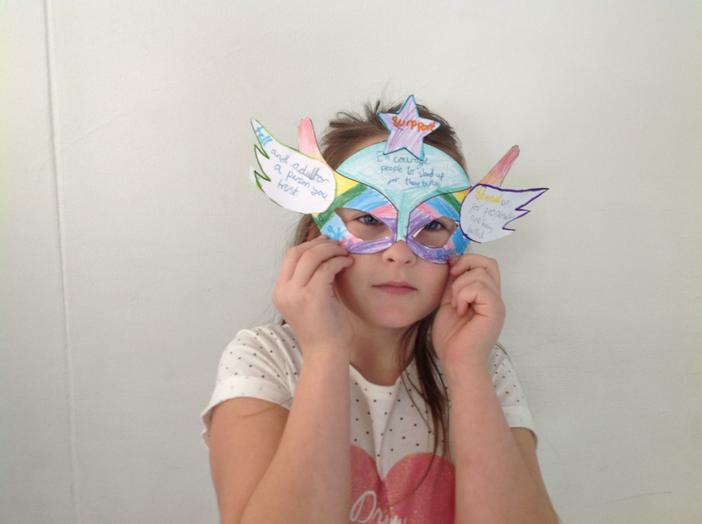 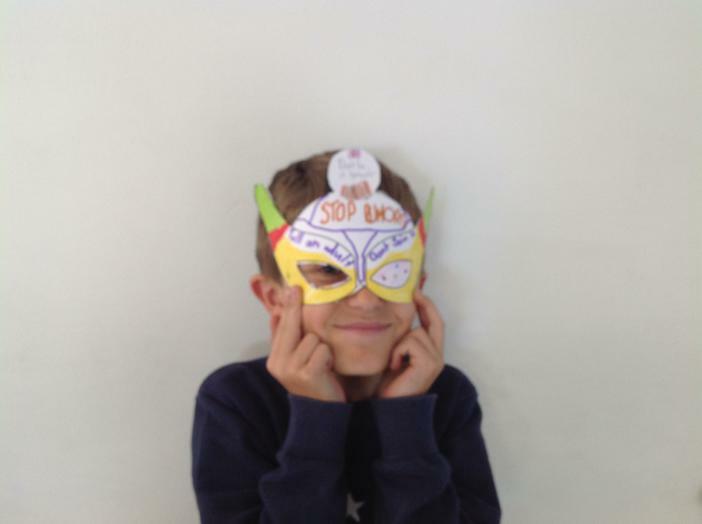 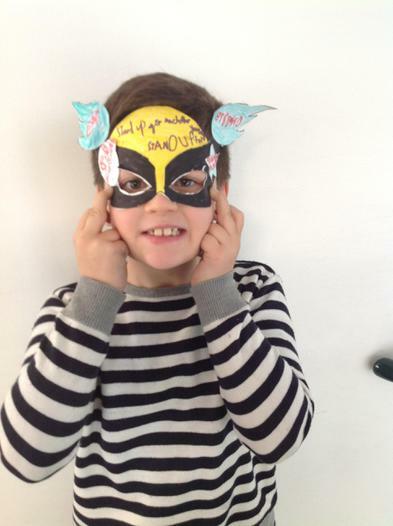 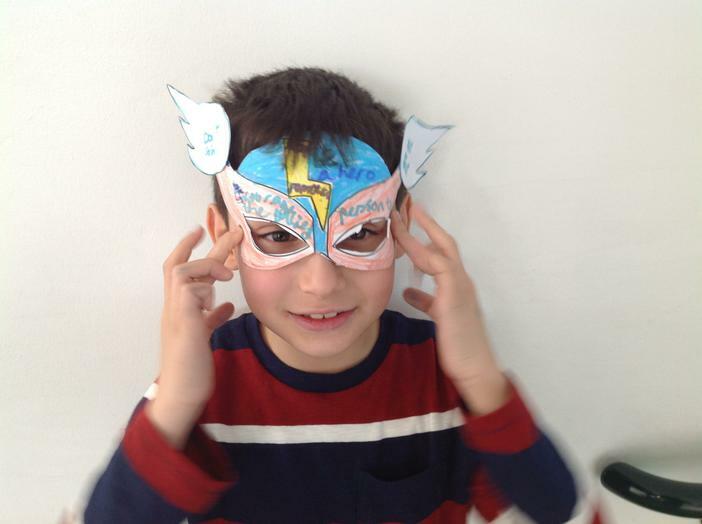 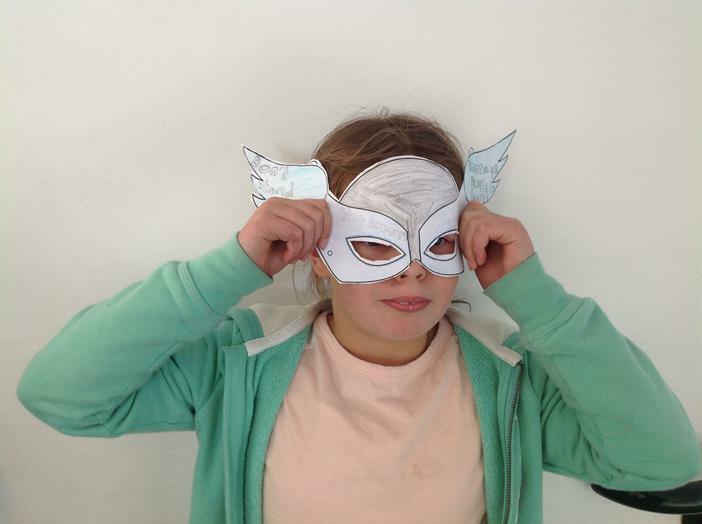 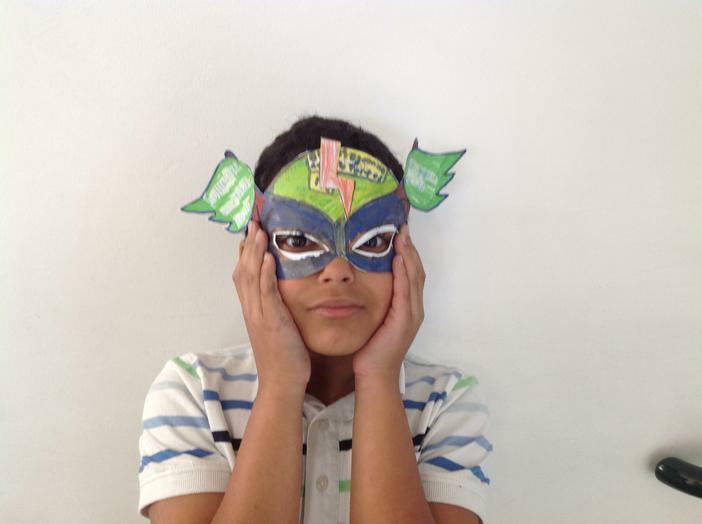 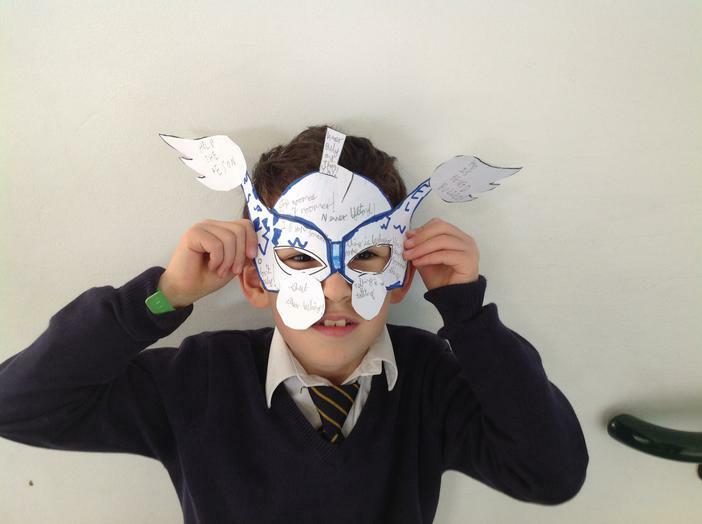 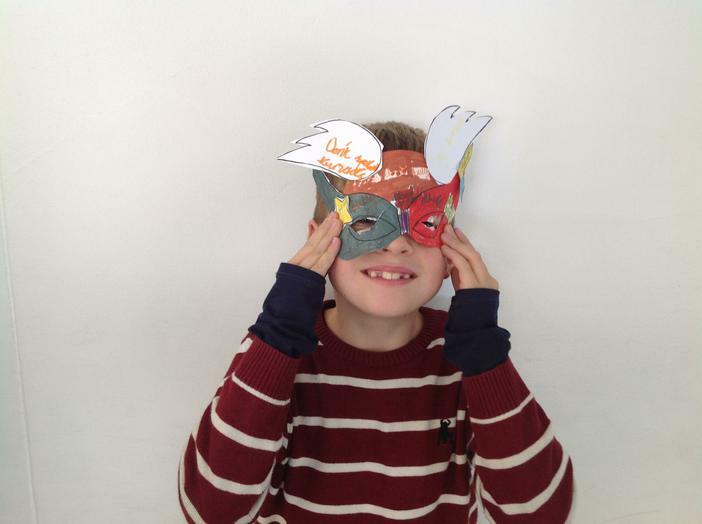 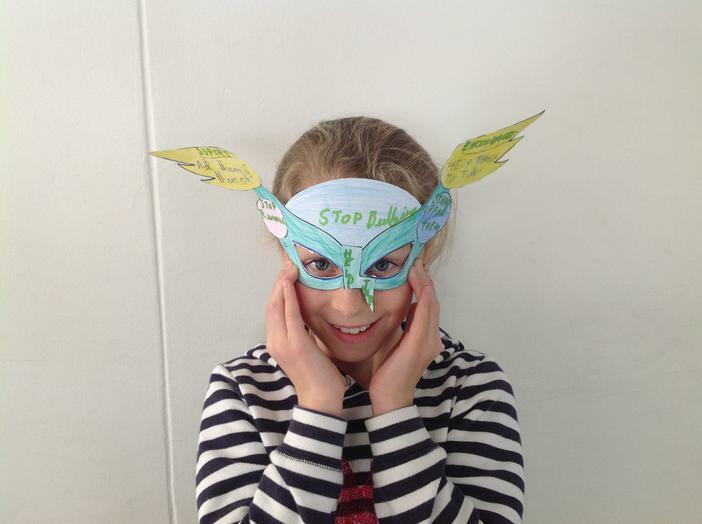 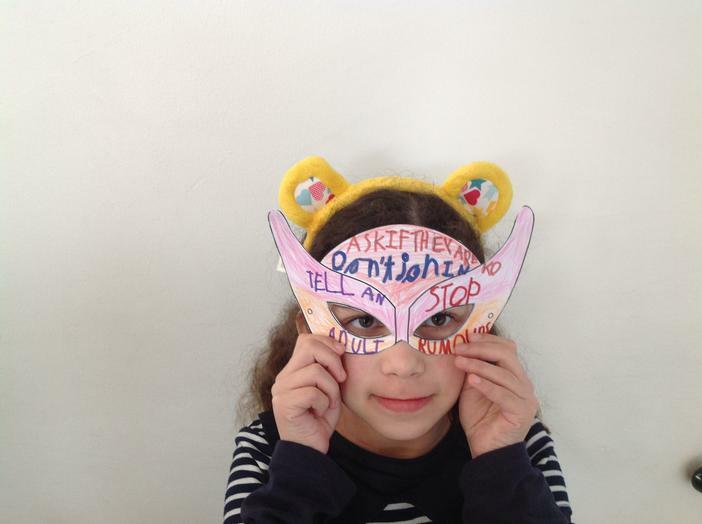 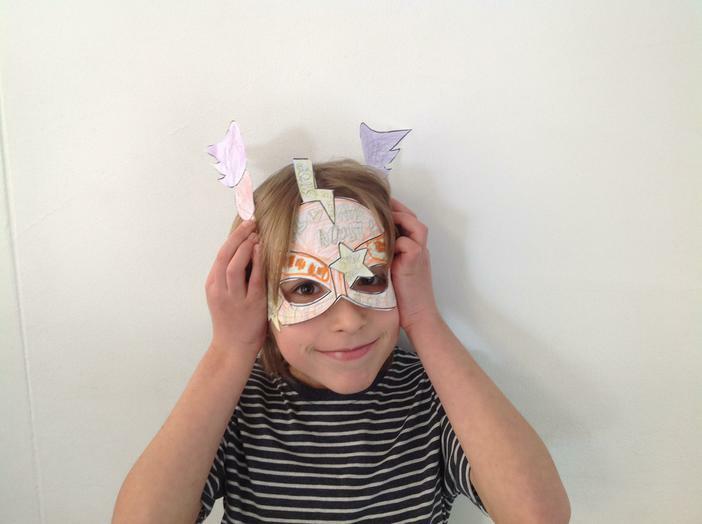 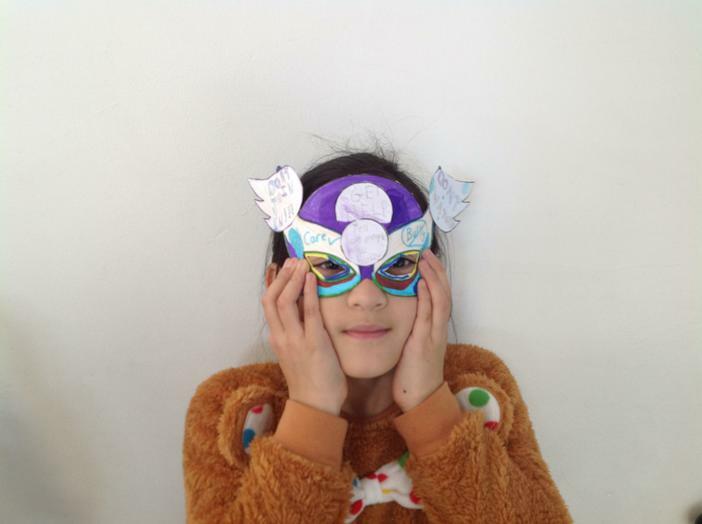 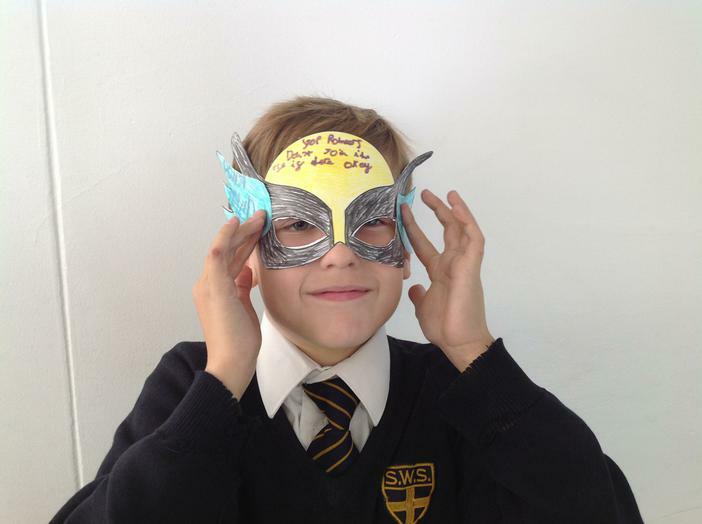 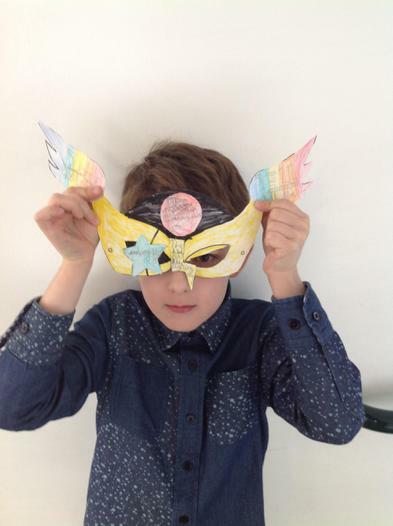 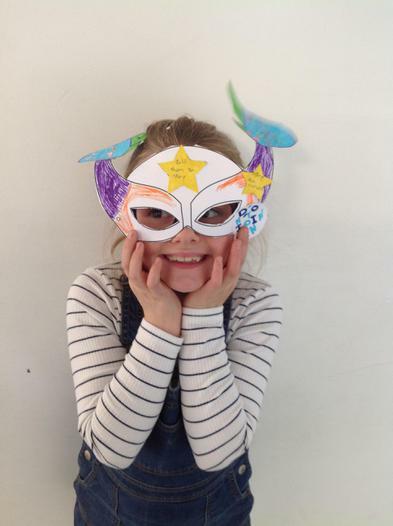 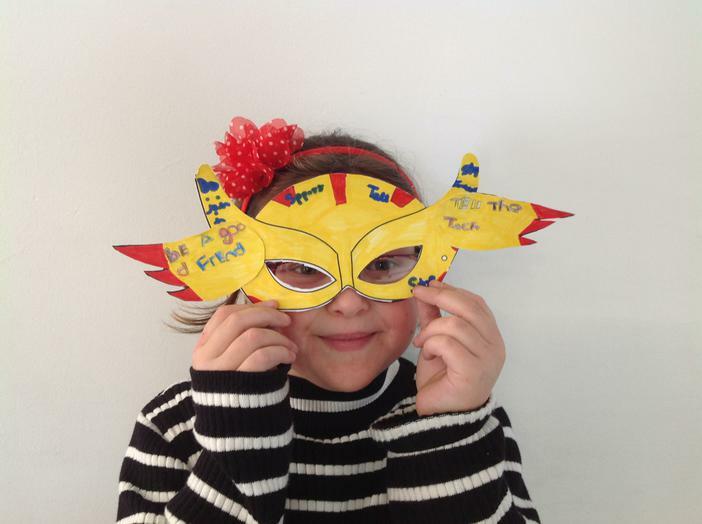 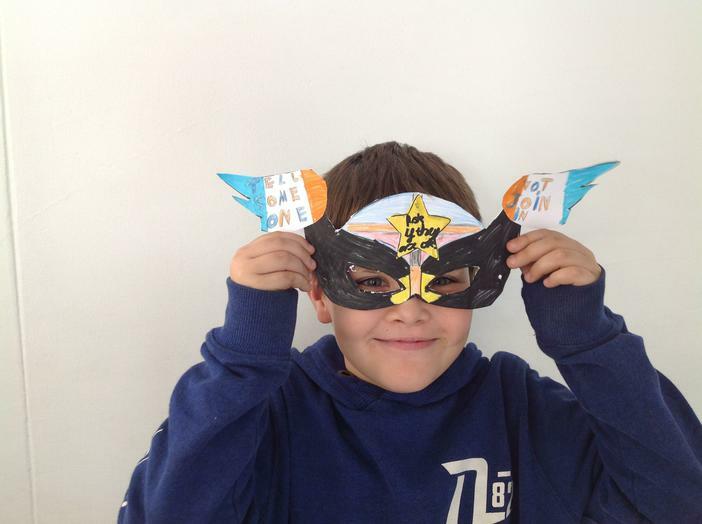 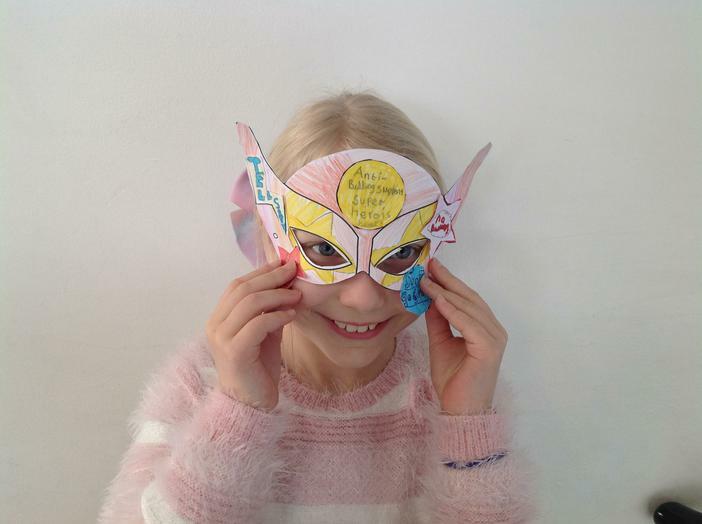 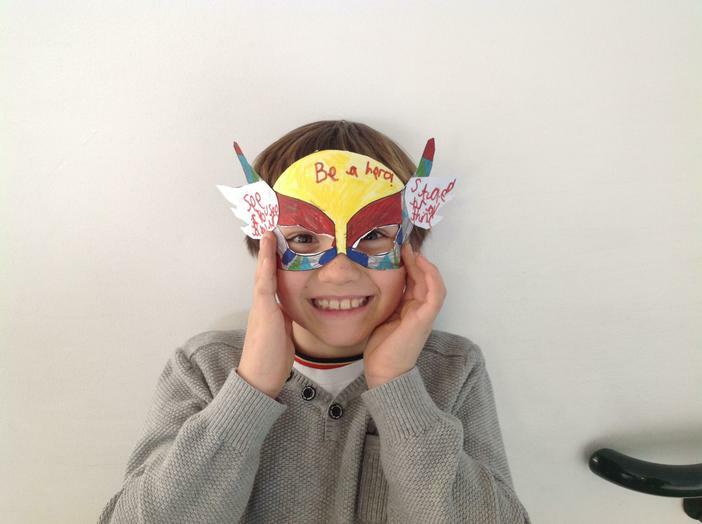 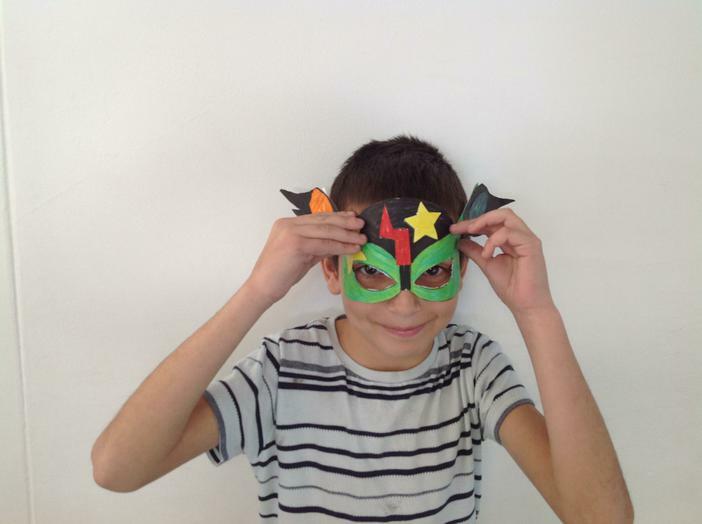 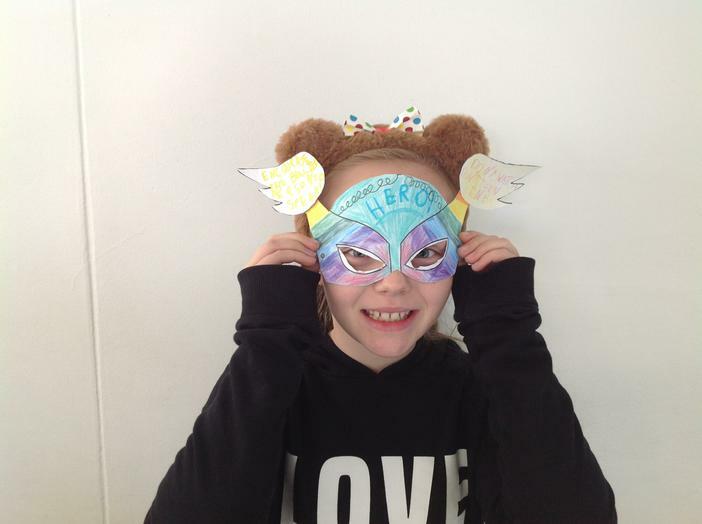 We made super hero masks highlighting the things we would do to stamp out any bullying as part of our anti bullying week - 'All different all equal'. 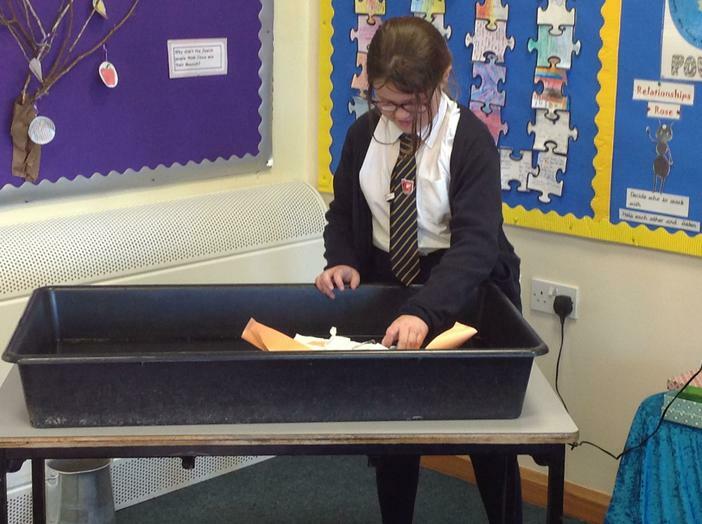 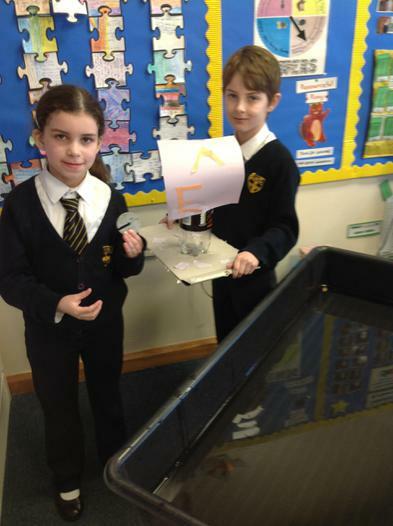 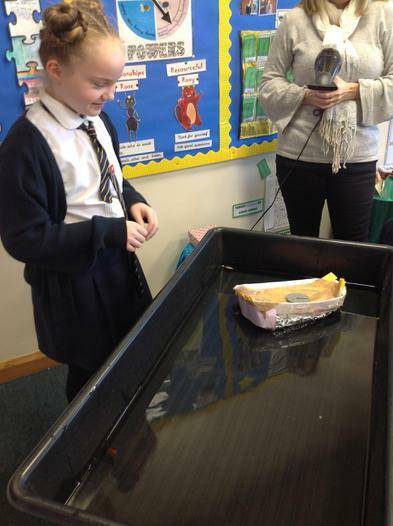 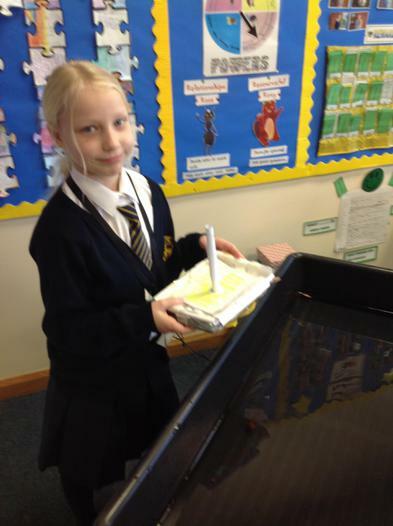 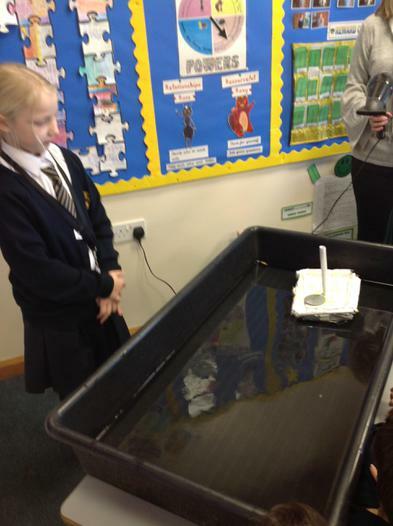 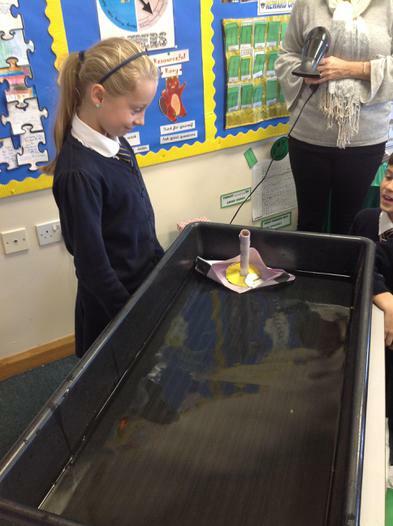 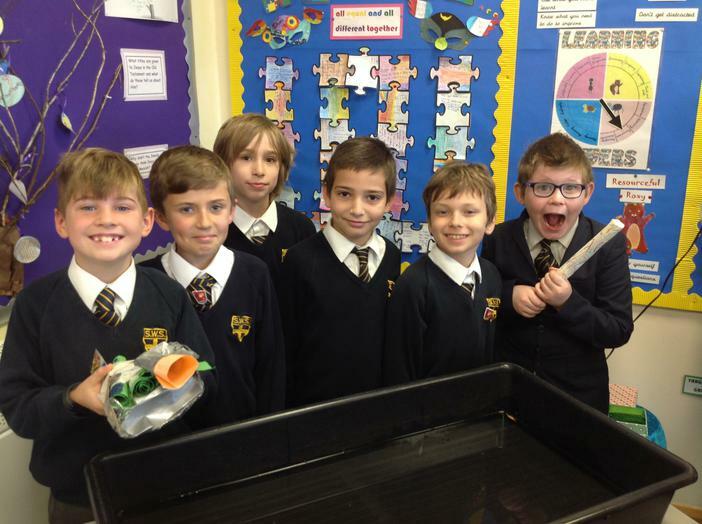 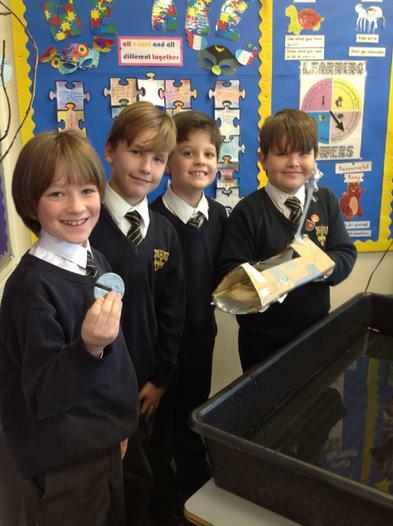 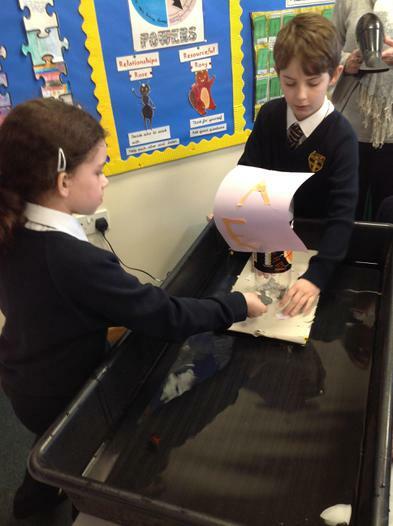 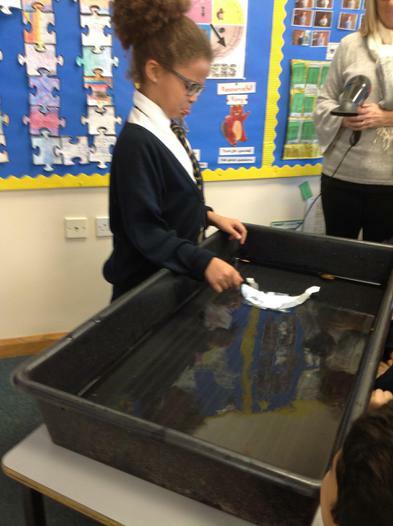 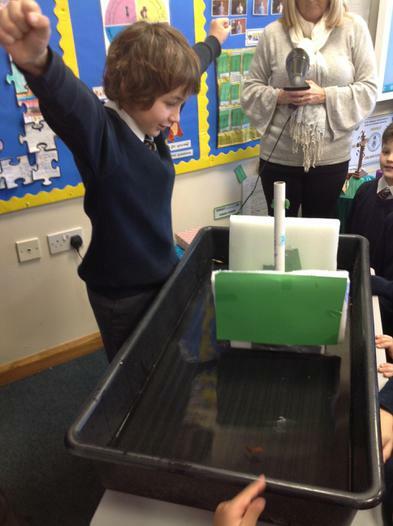 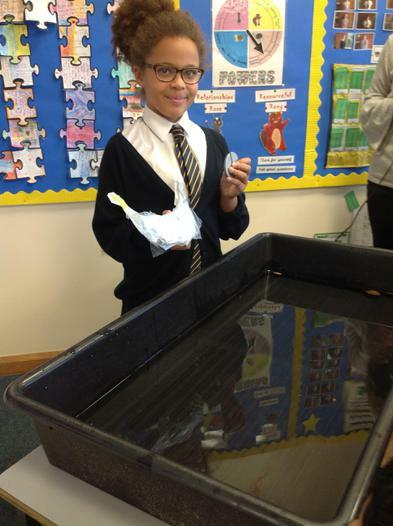 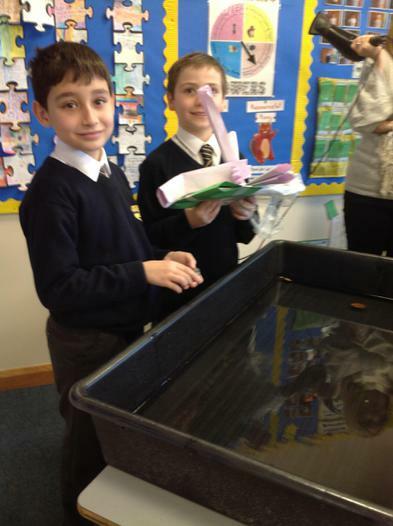 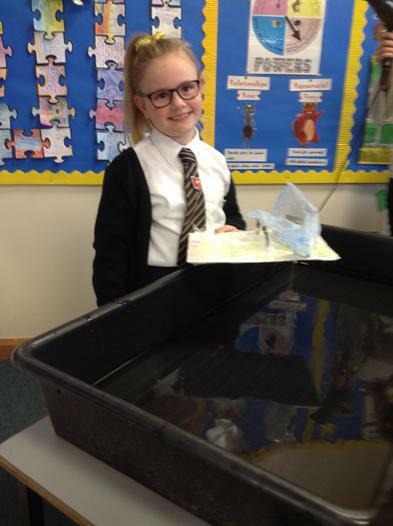 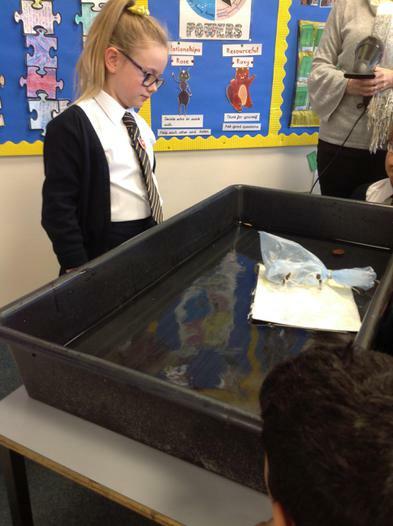 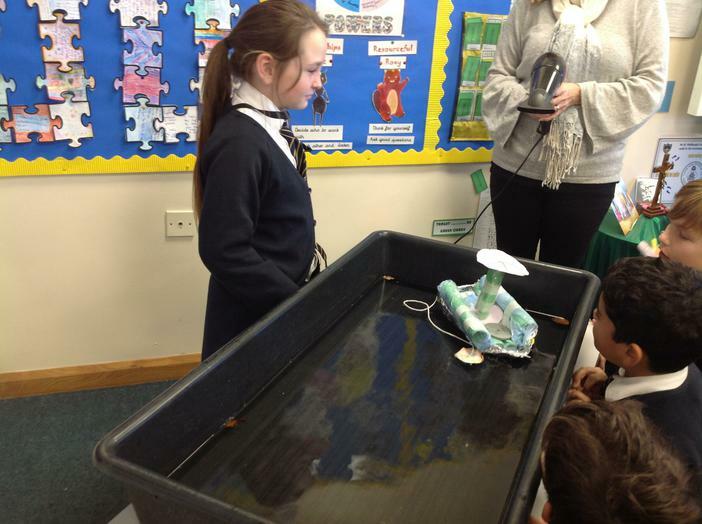 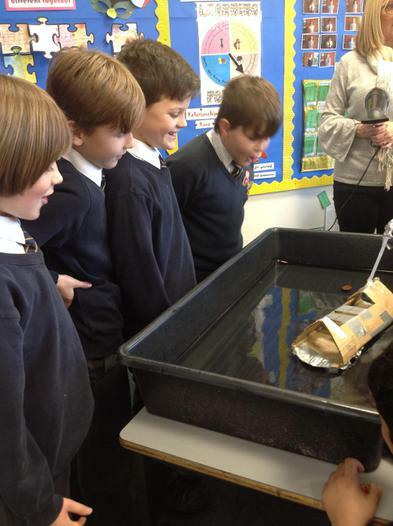 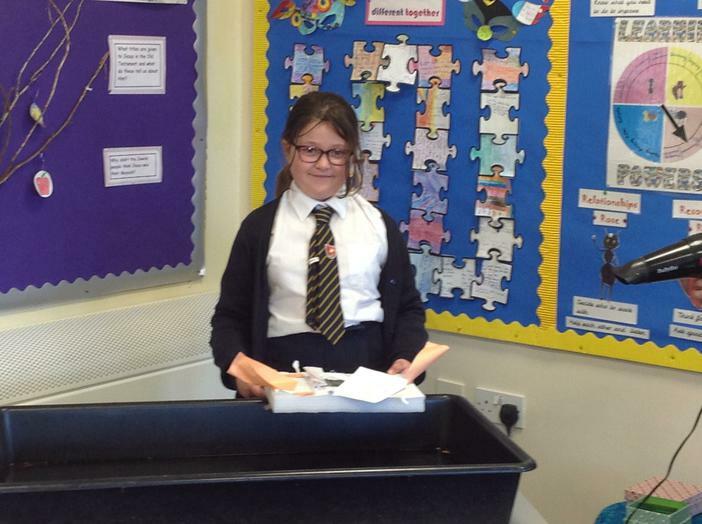 We have had great fun today testing out our Egyptian boats to see if they could carry a load successfully to the pyramids.Some were more buoyant than others! 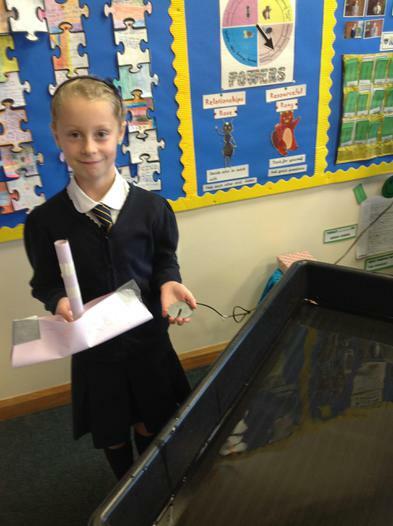 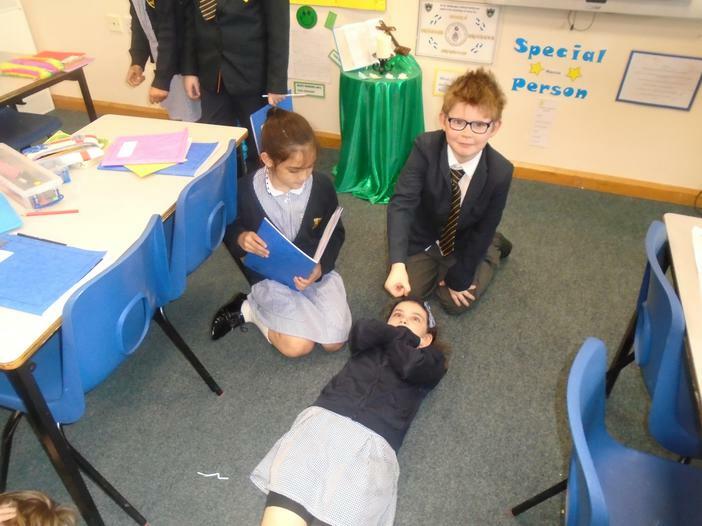 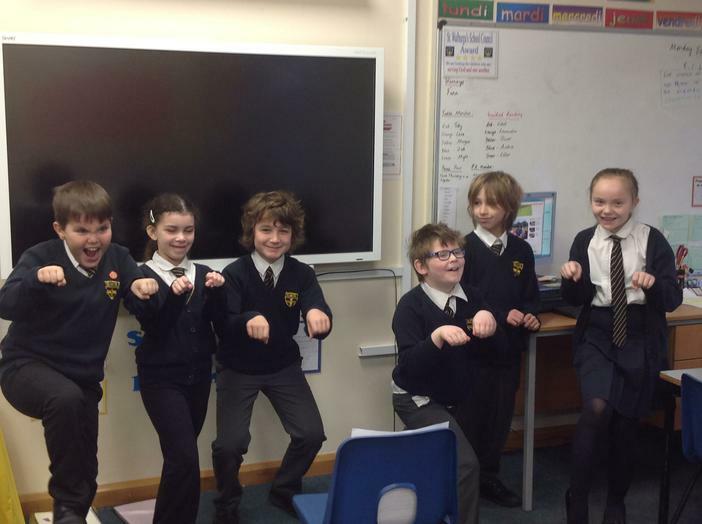 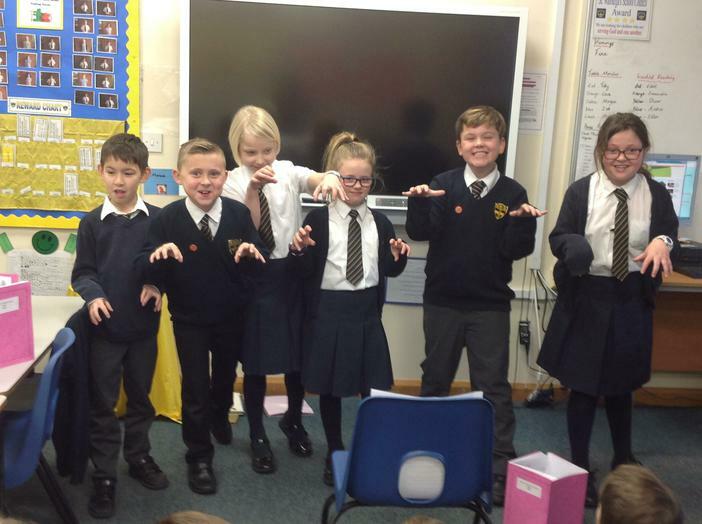 As part of our poetry lessons we performed 'The Magic Box' by Kit Wright. 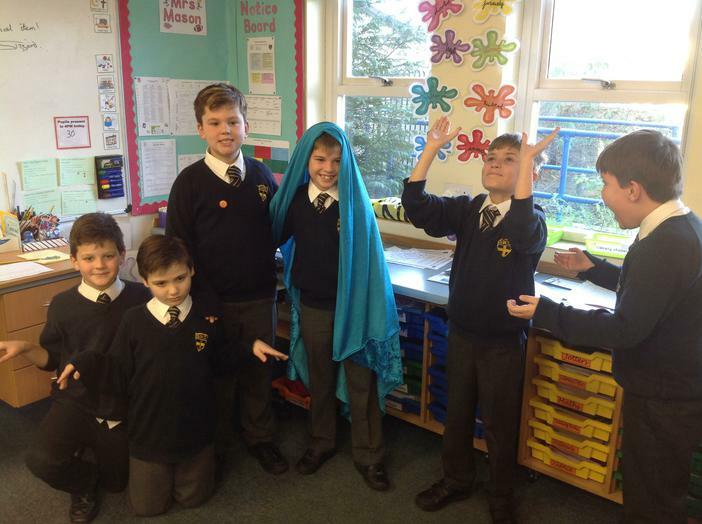 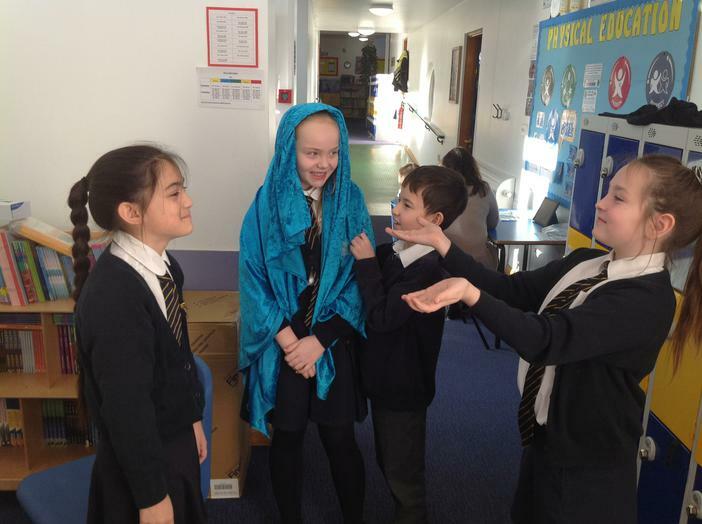 In R.E we thought about how the different people were feeling when Mary and Joseph presented Jesus to Simeon. 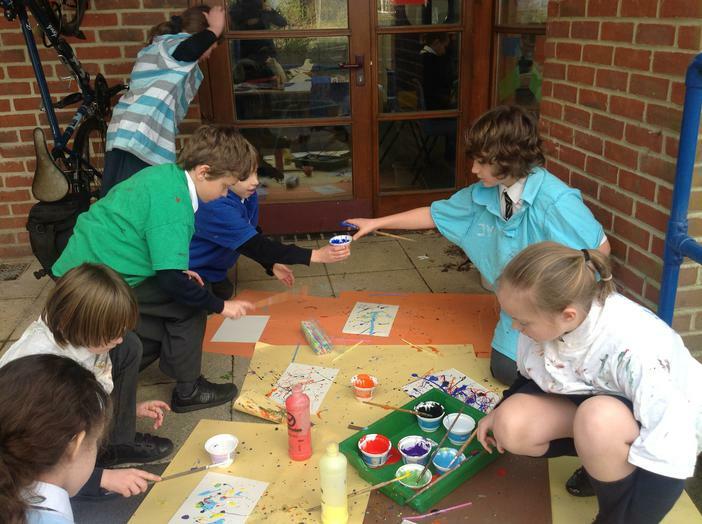 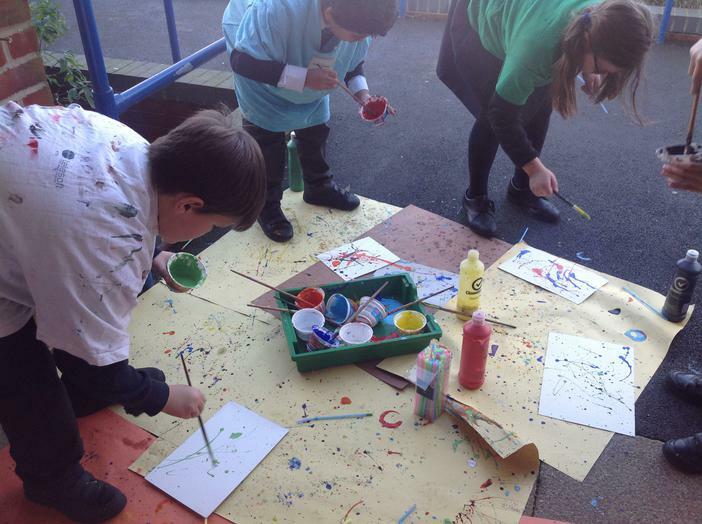 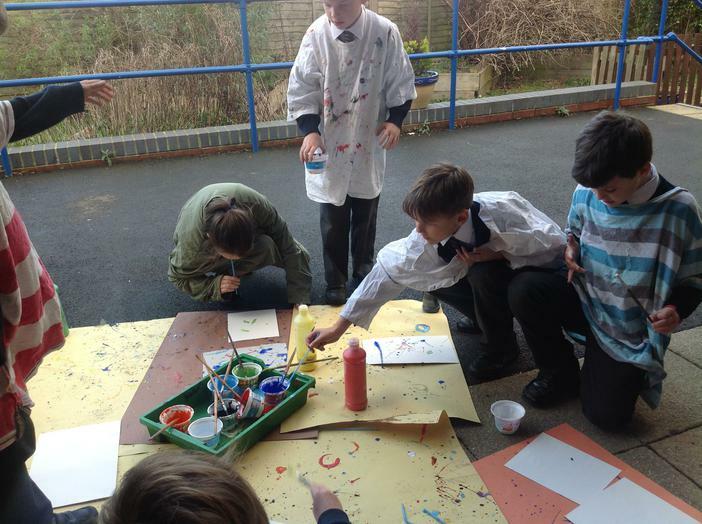 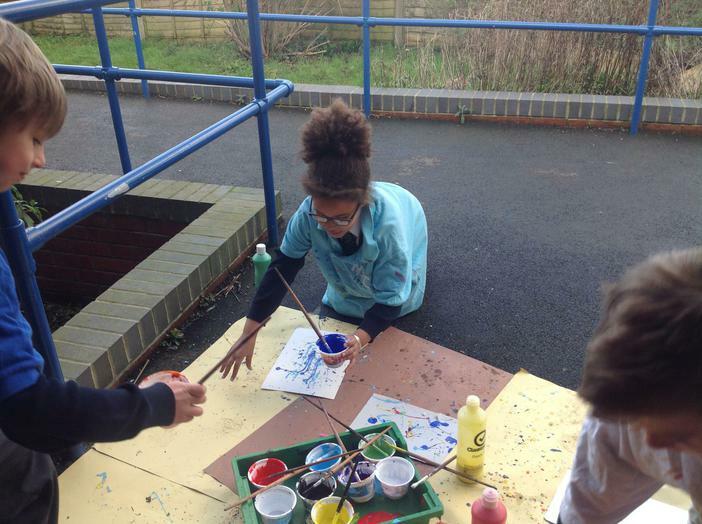 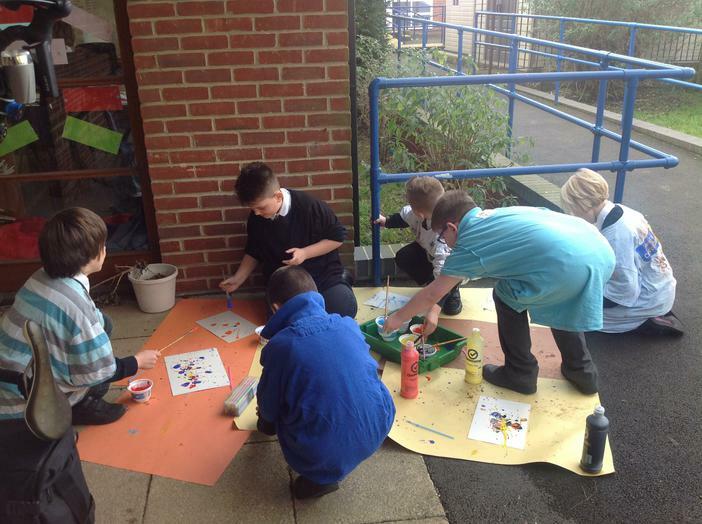 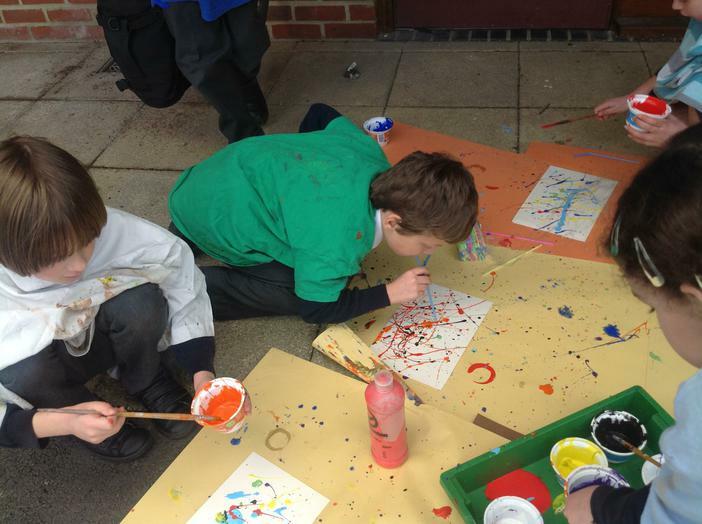 Re-creating Jackson Pollock art work as part of our topic on America. 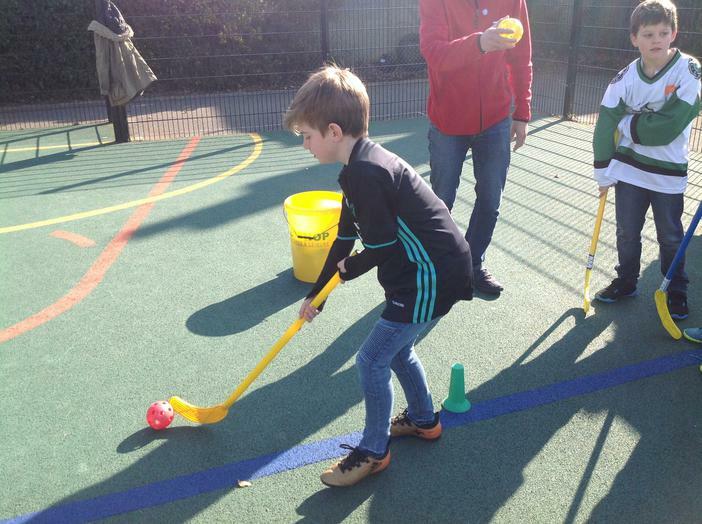 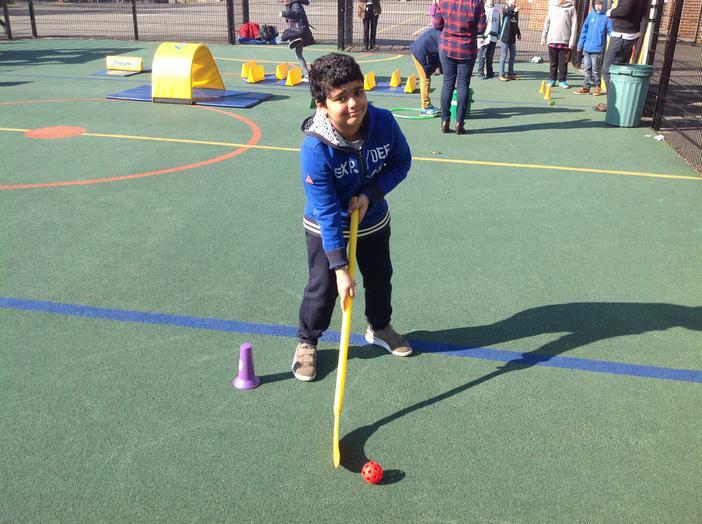 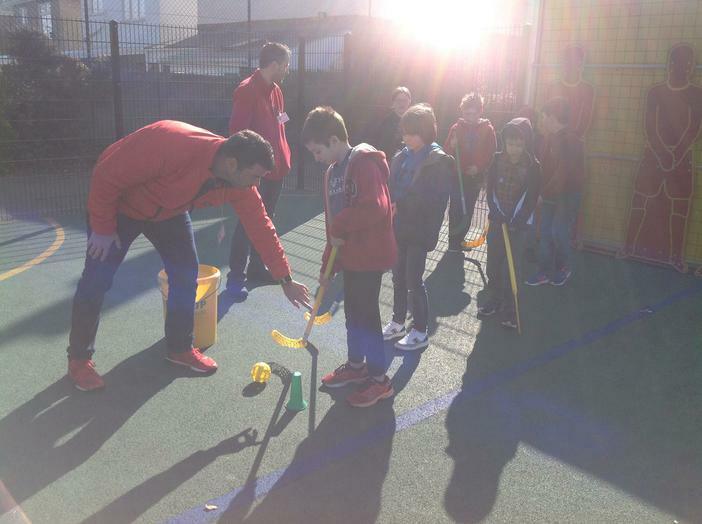 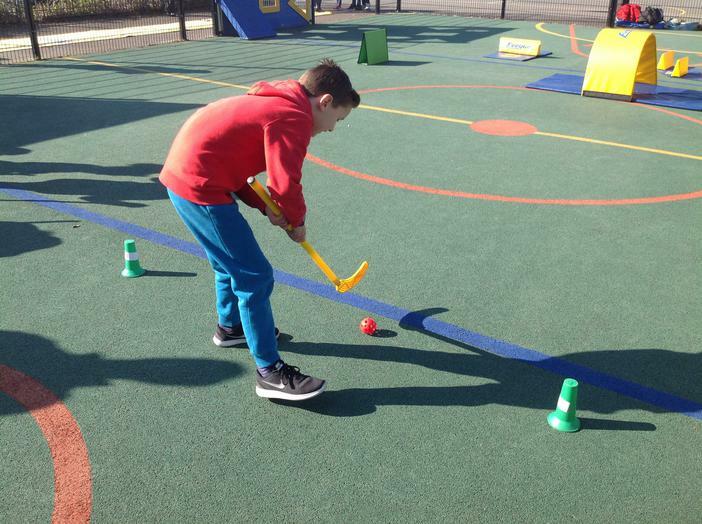 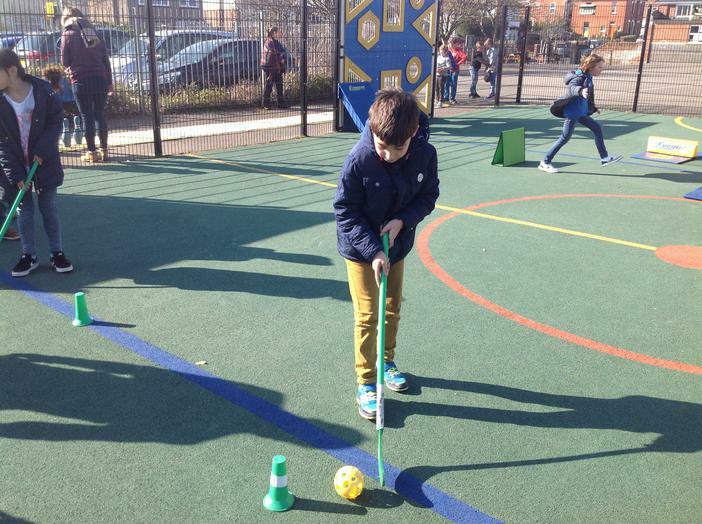 We are learning how to play golf this half term.We are very fortunate that we are being taught by a superb golf coach from Ferndown. 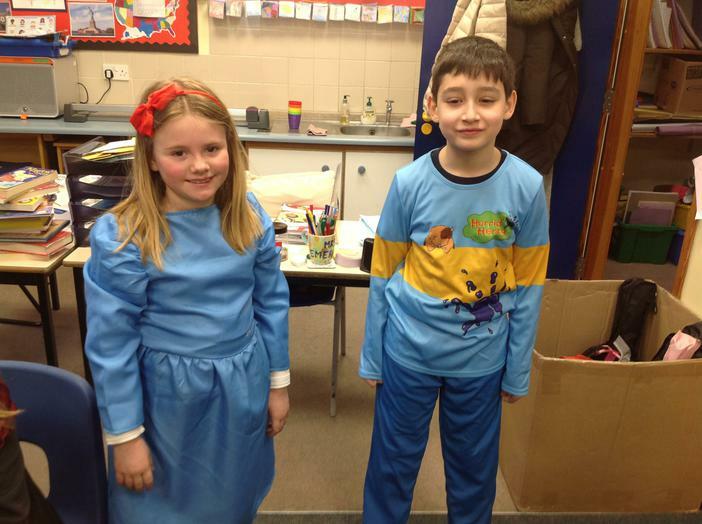 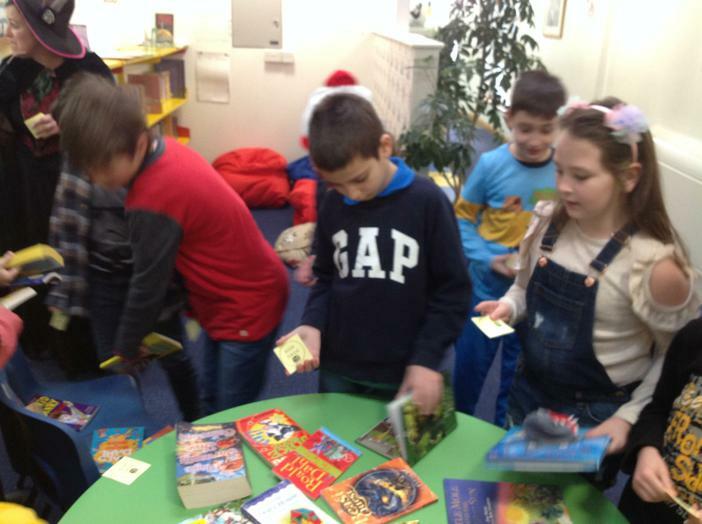 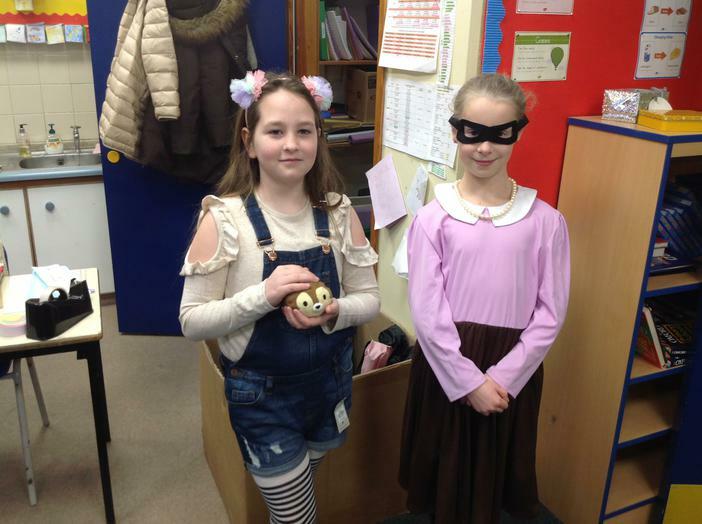 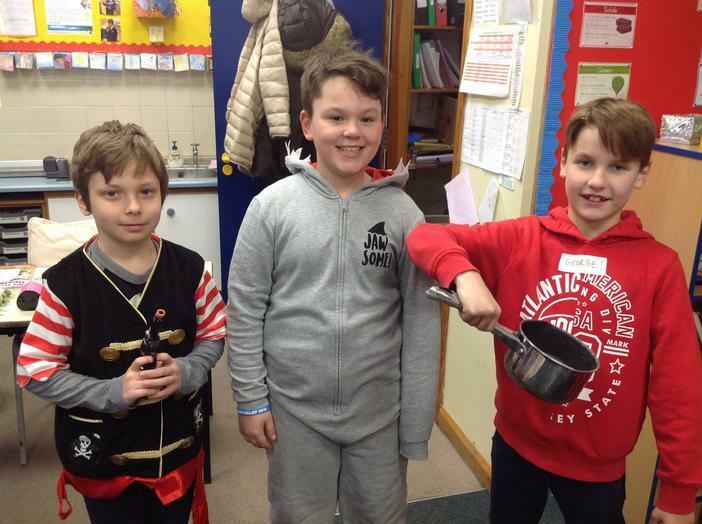 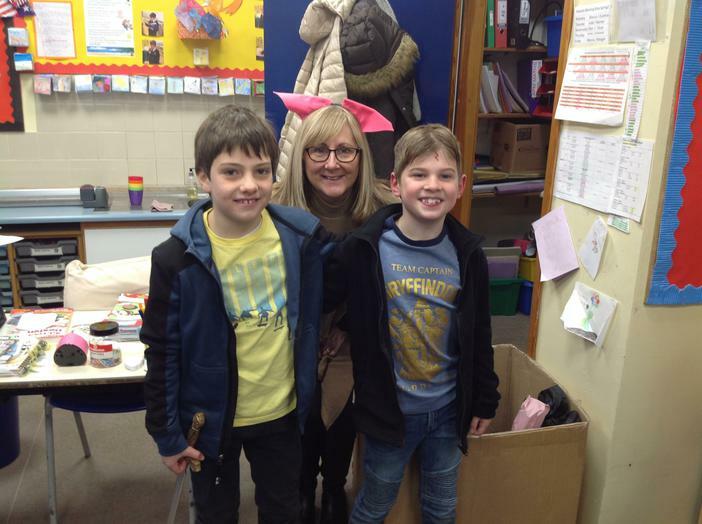 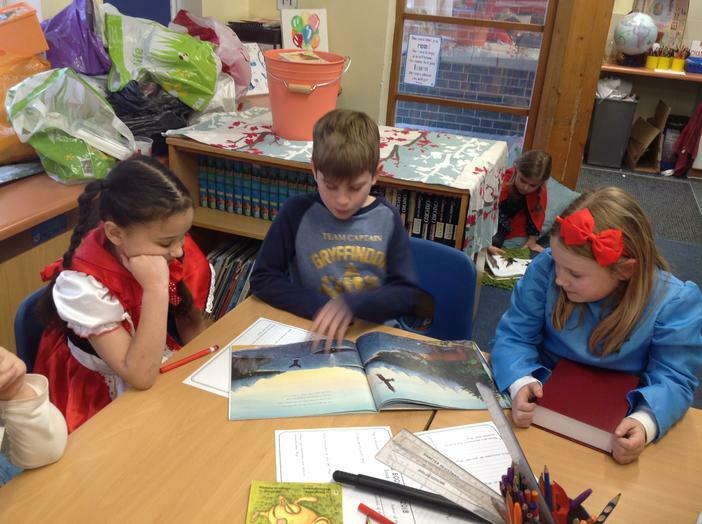 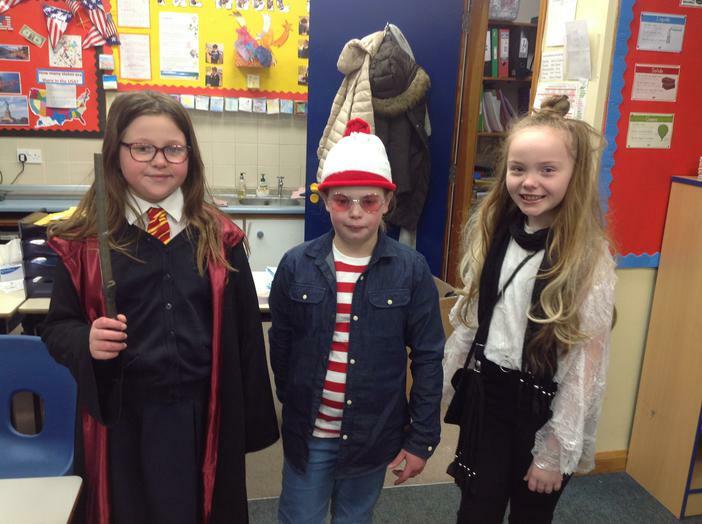 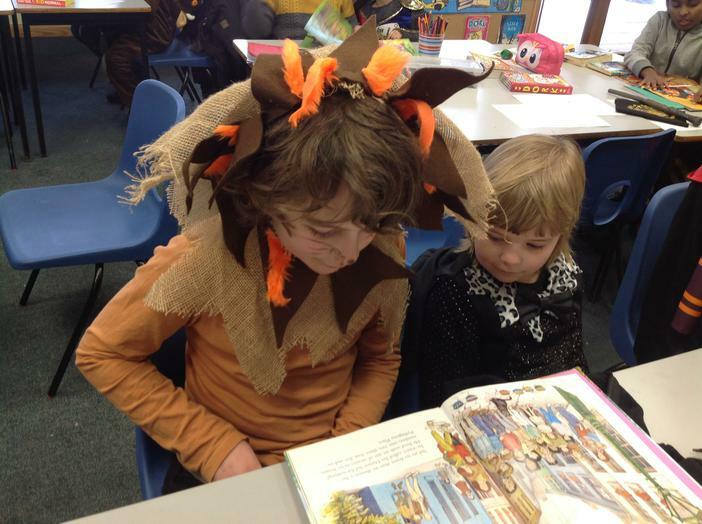 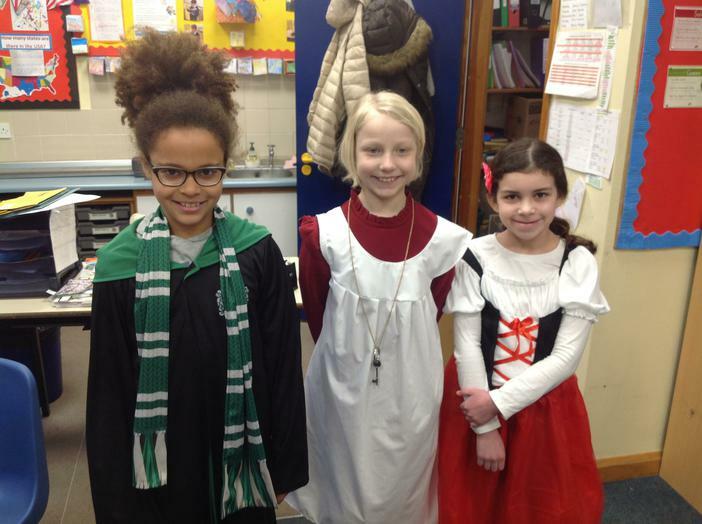 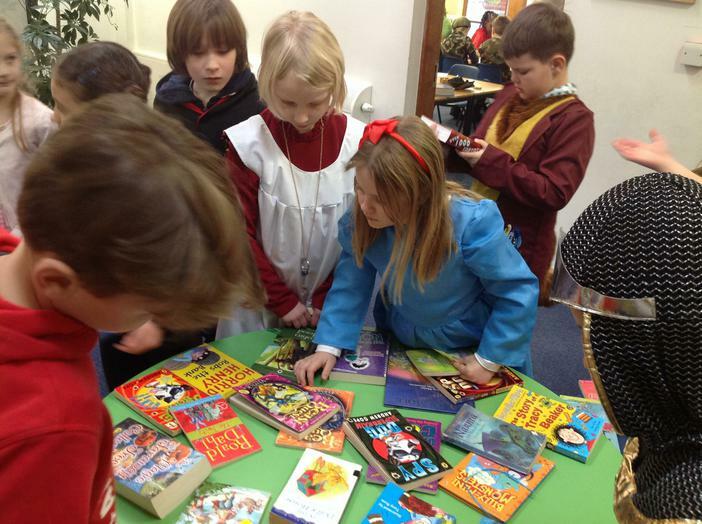 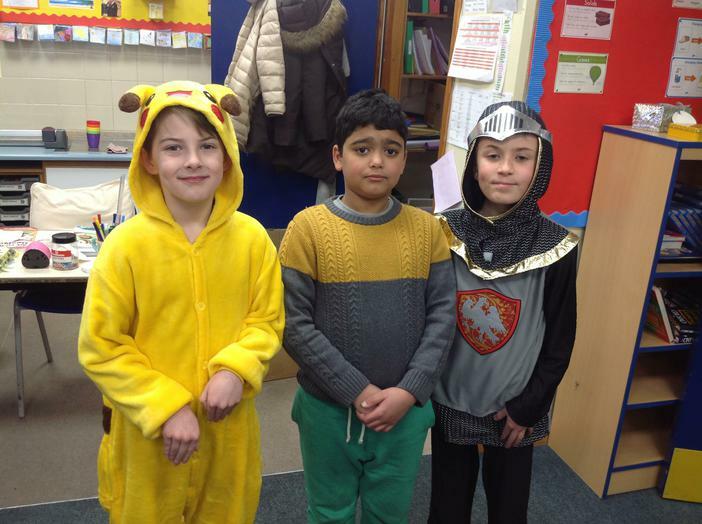 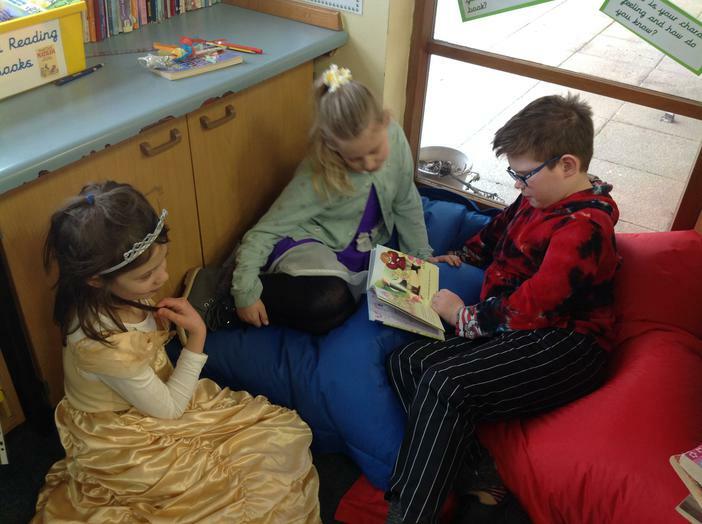 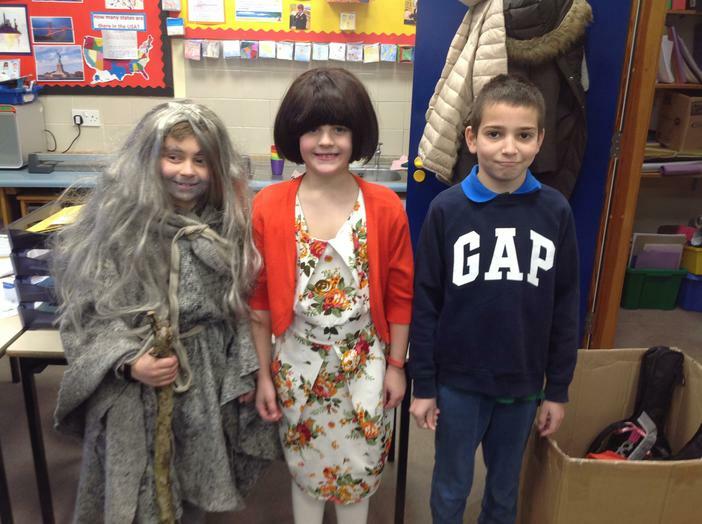 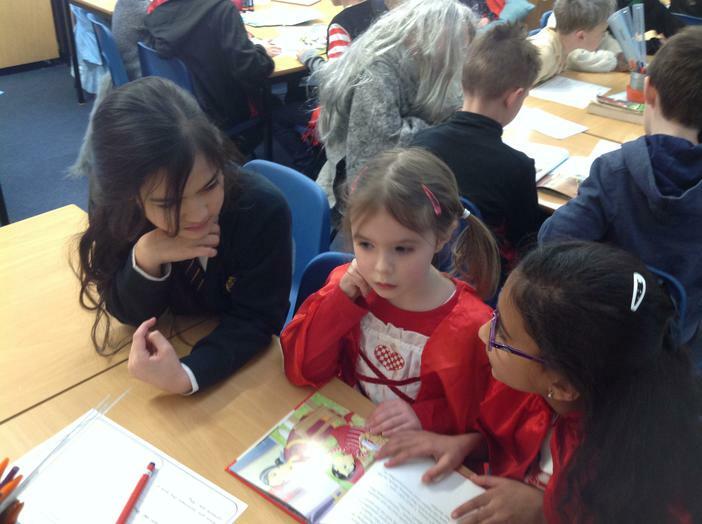 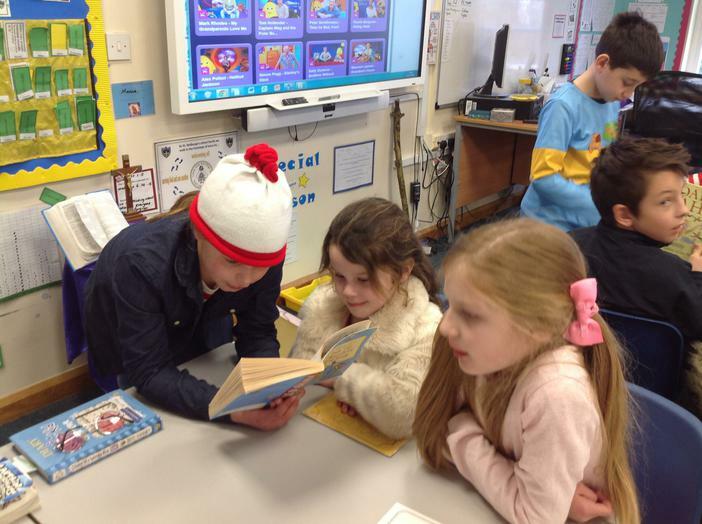 We looked fabulous in our world book day costumes.We brought books from home in to school and swapped them with other children. 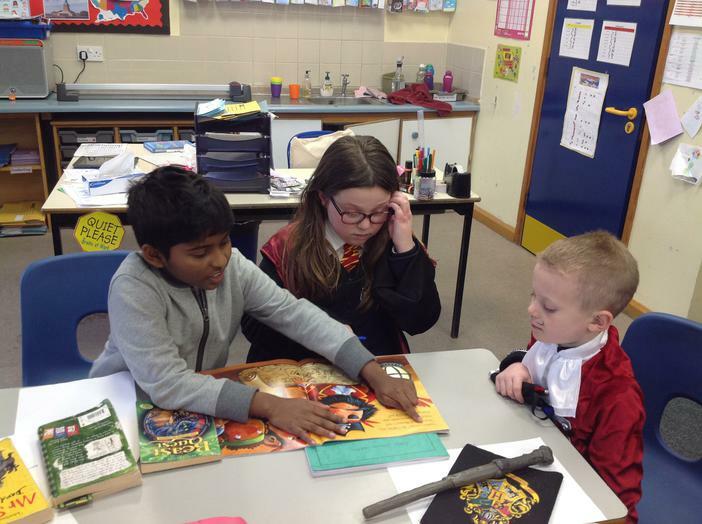 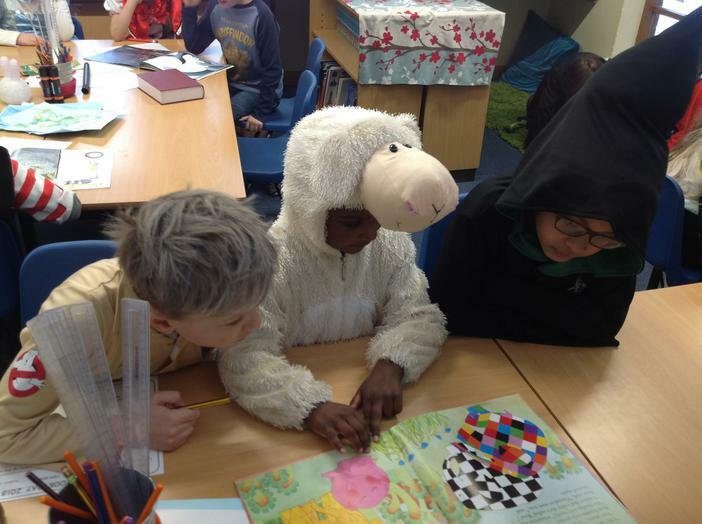 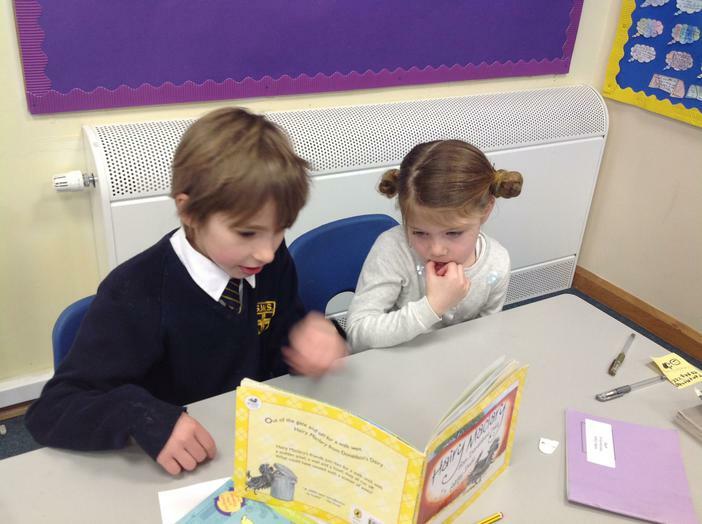 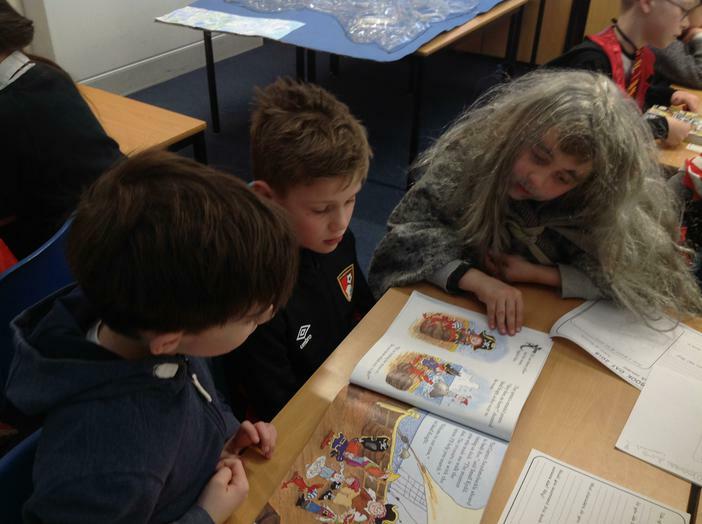 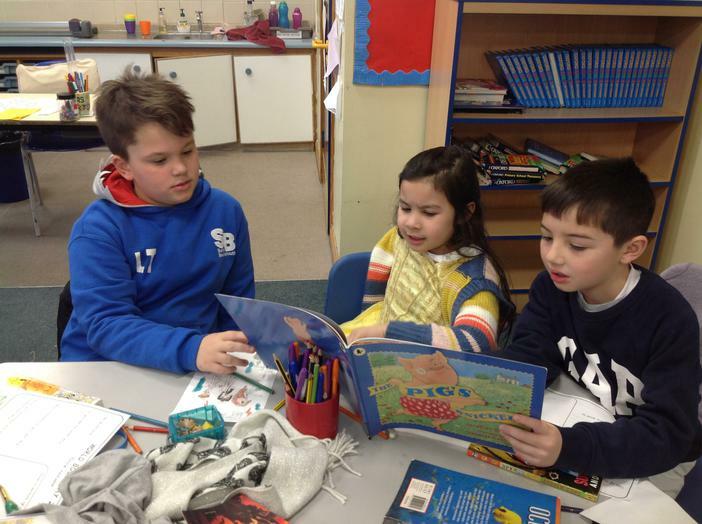 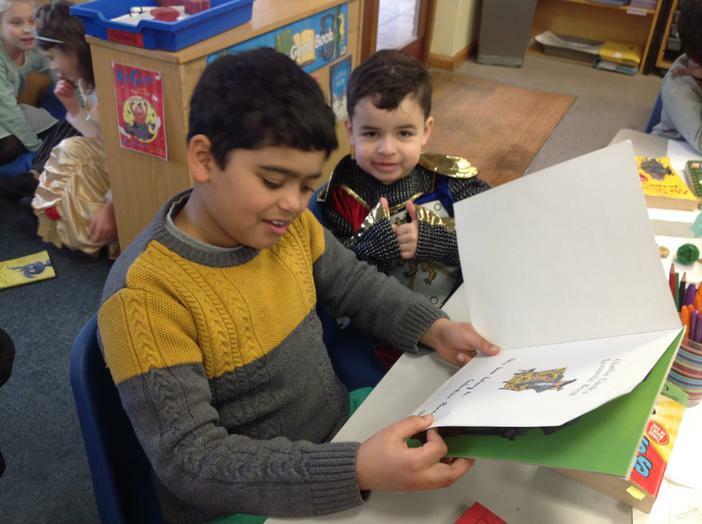 On world book day , we read stories to our prayer buddies. 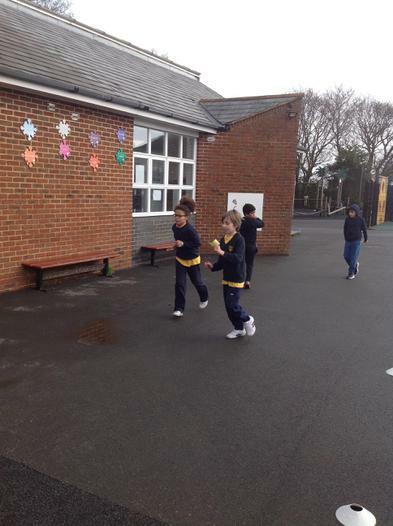 Today we completed our ' Shine Together, ' two mile sponsored run/walk . 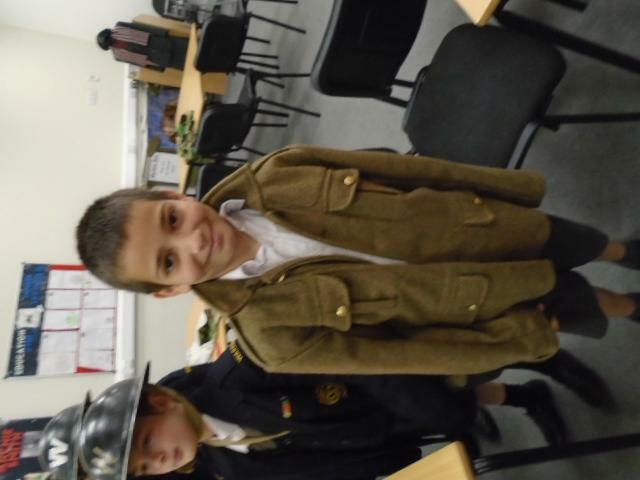 Have a look at the photos!! 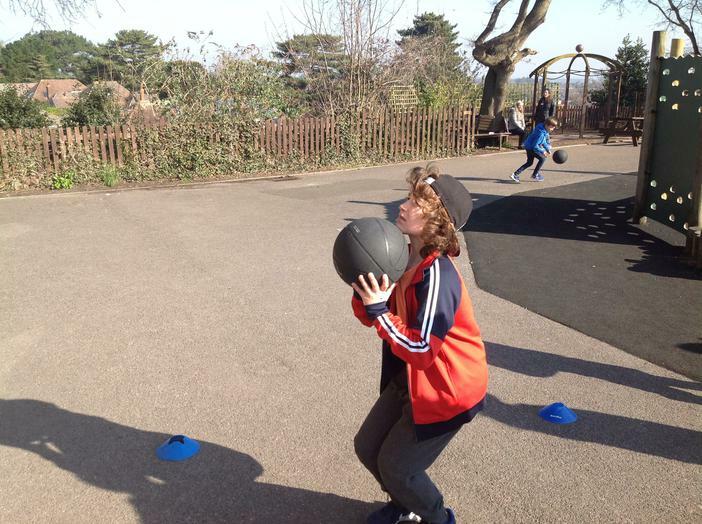 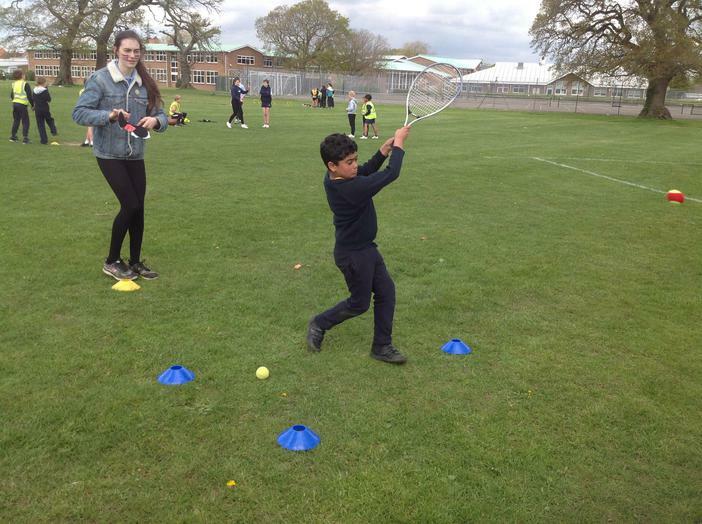 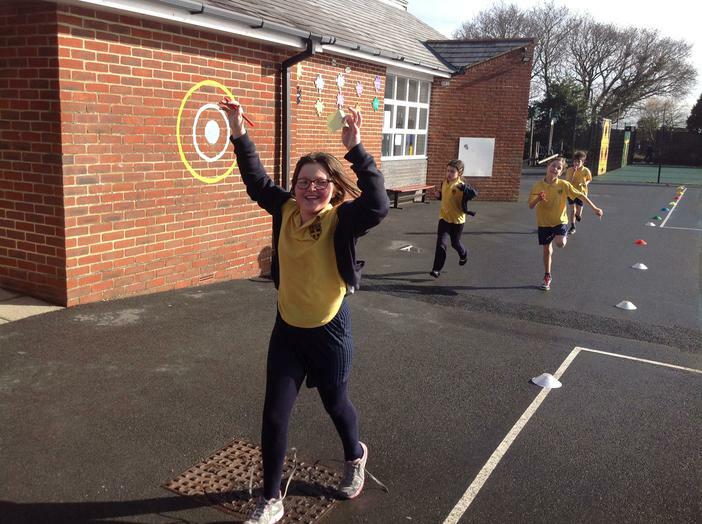 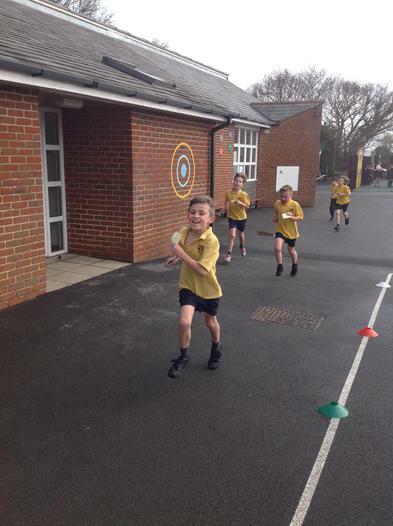 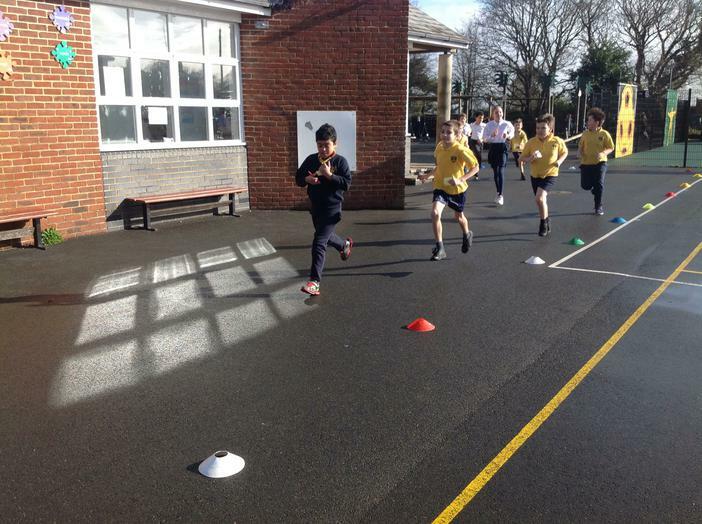 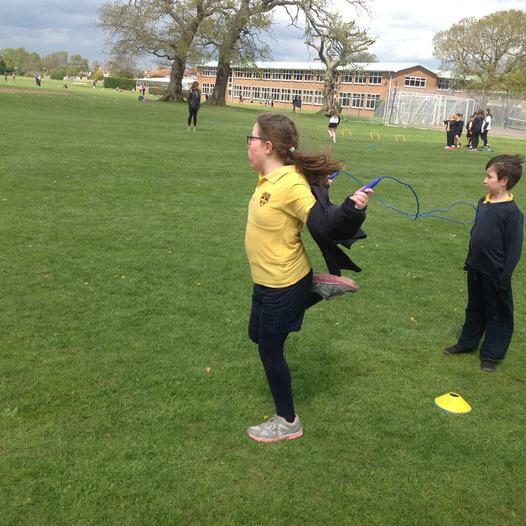 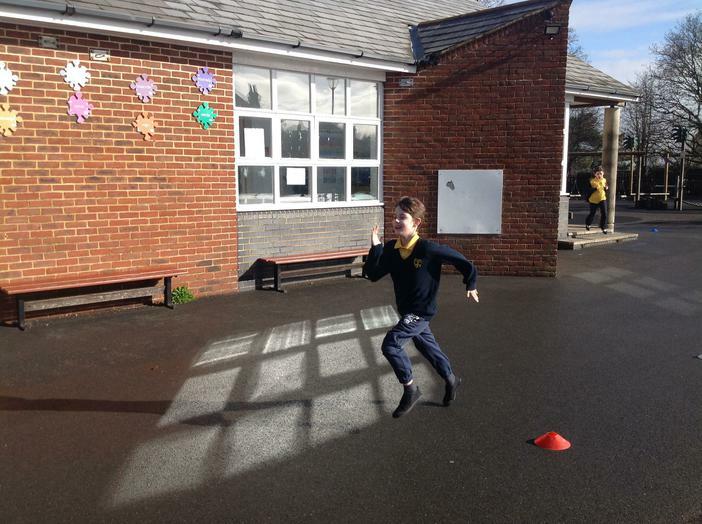 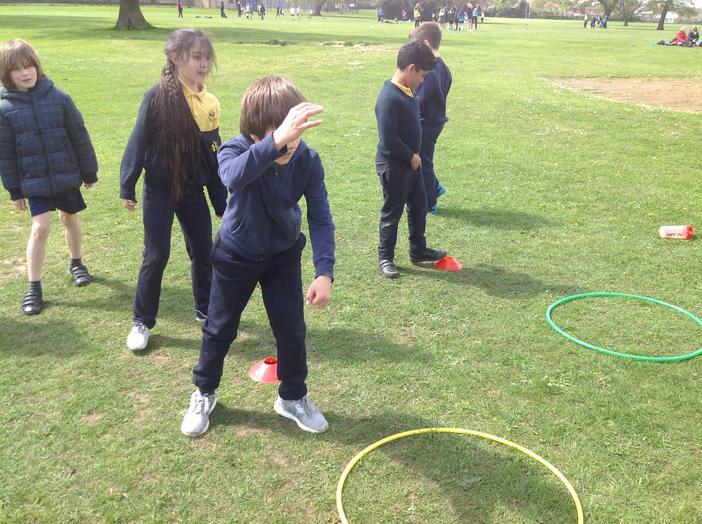 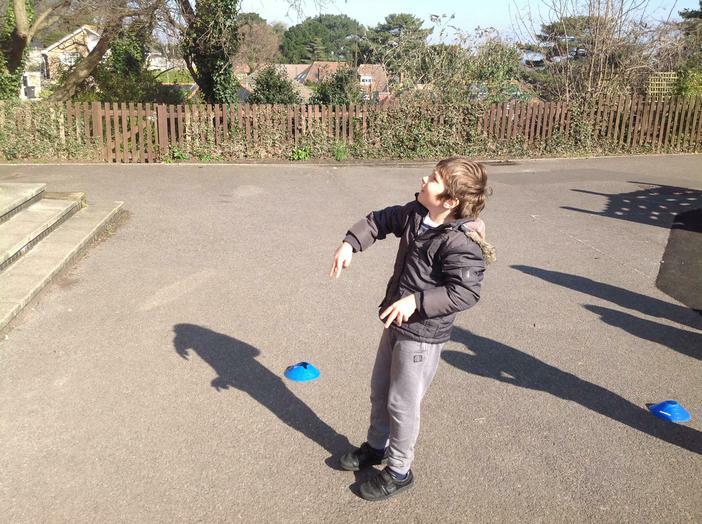 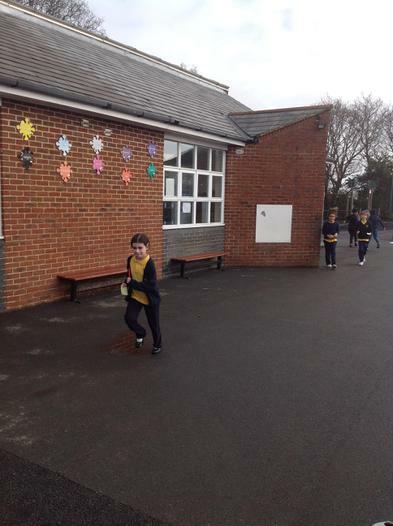 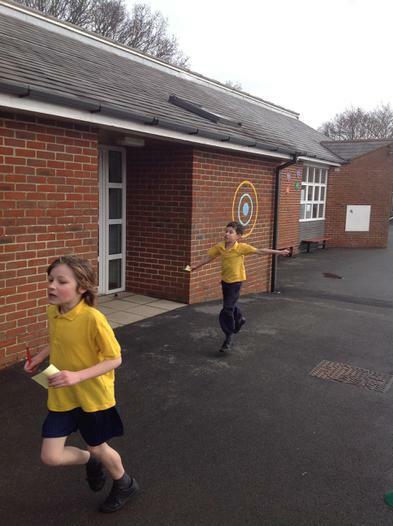 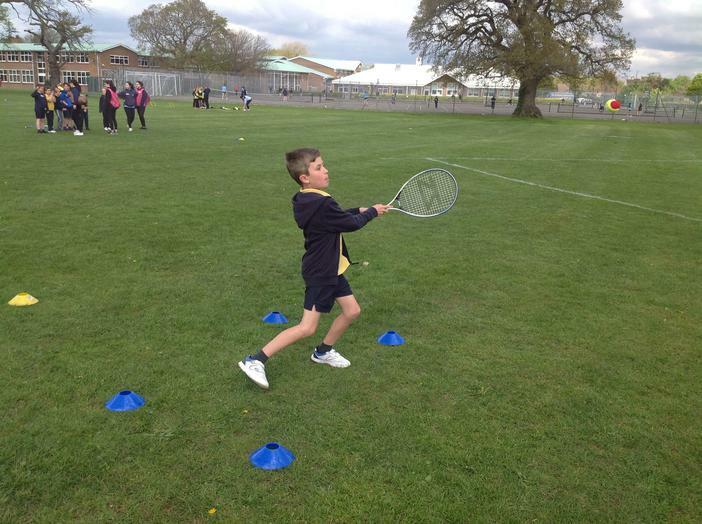 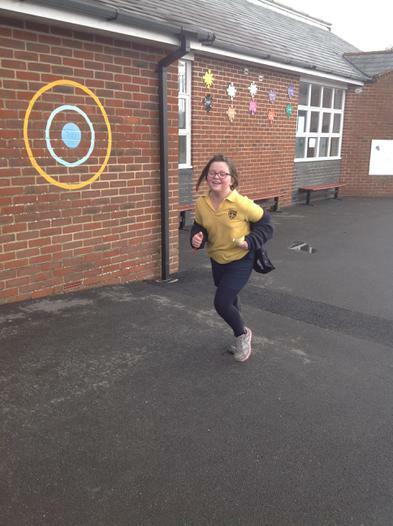 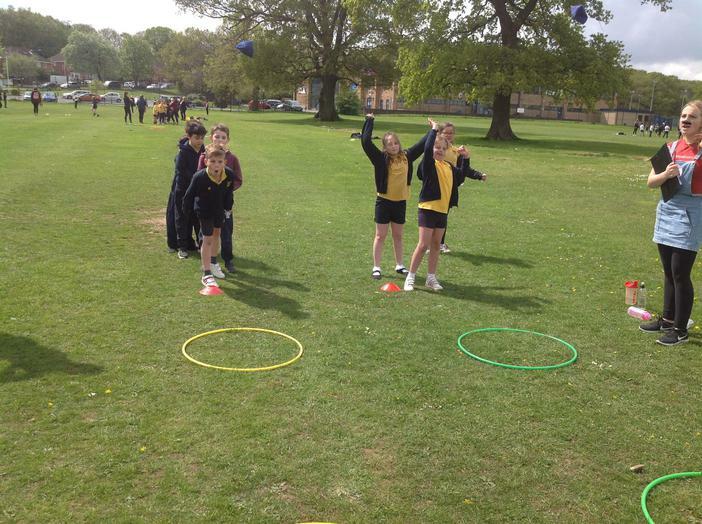 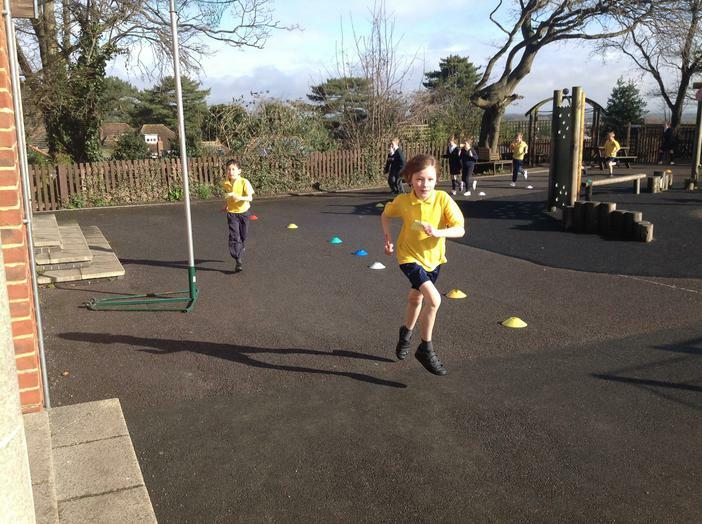 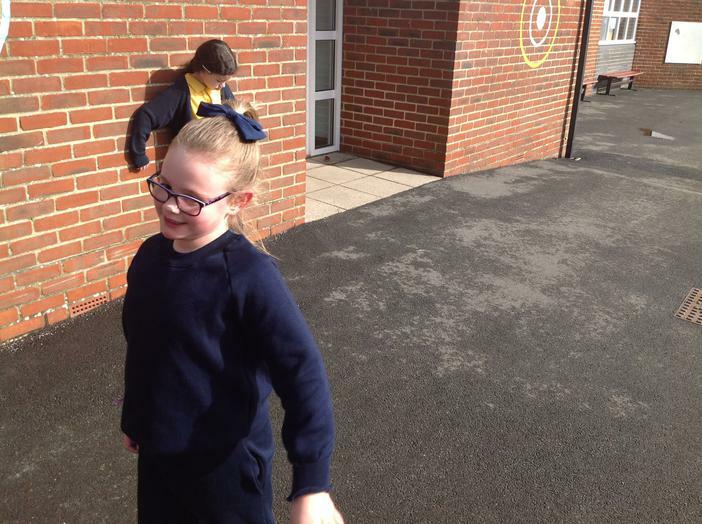 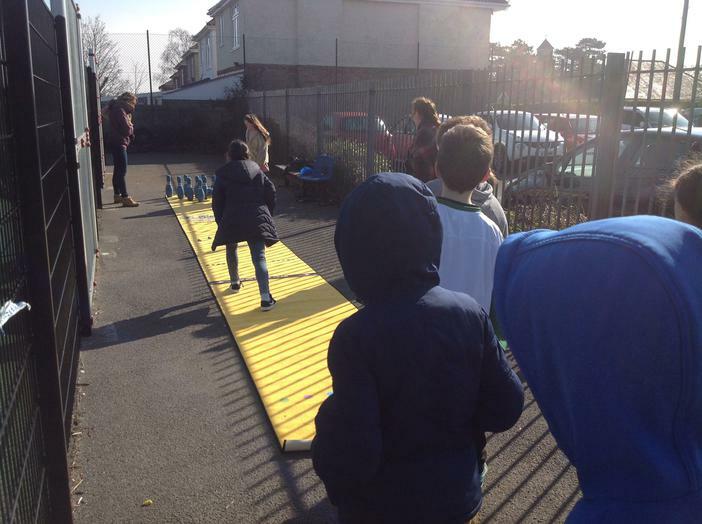 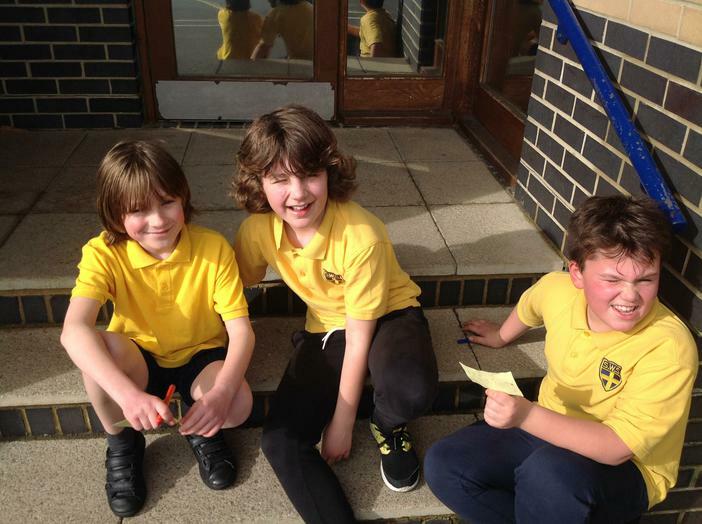 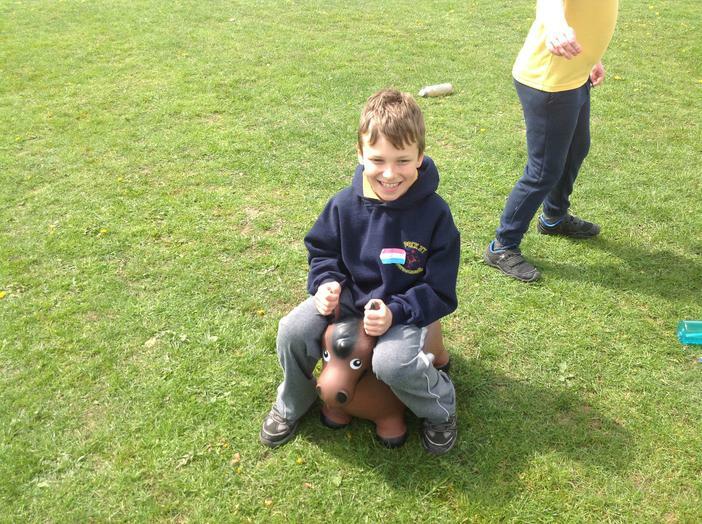 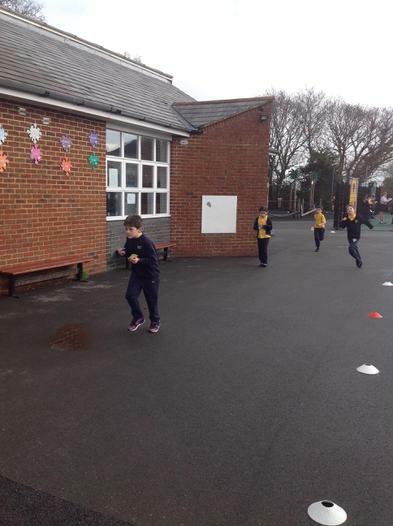 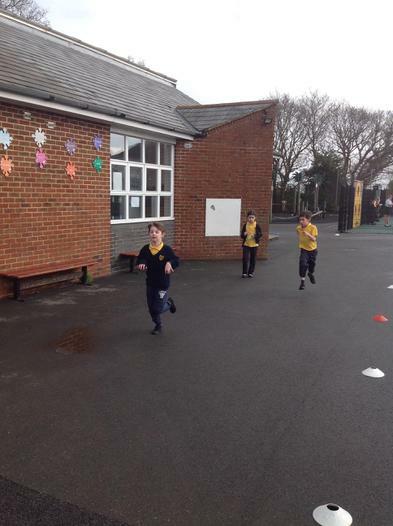 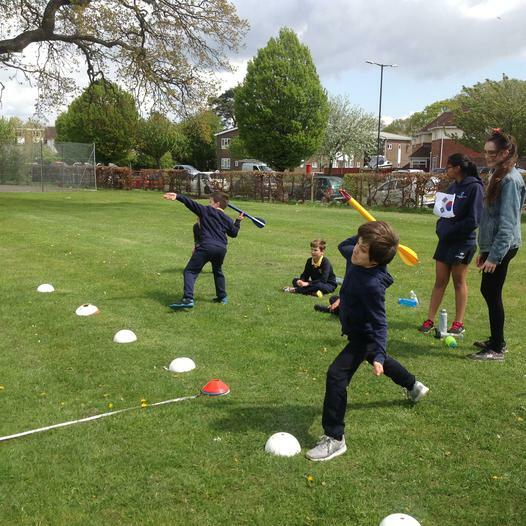 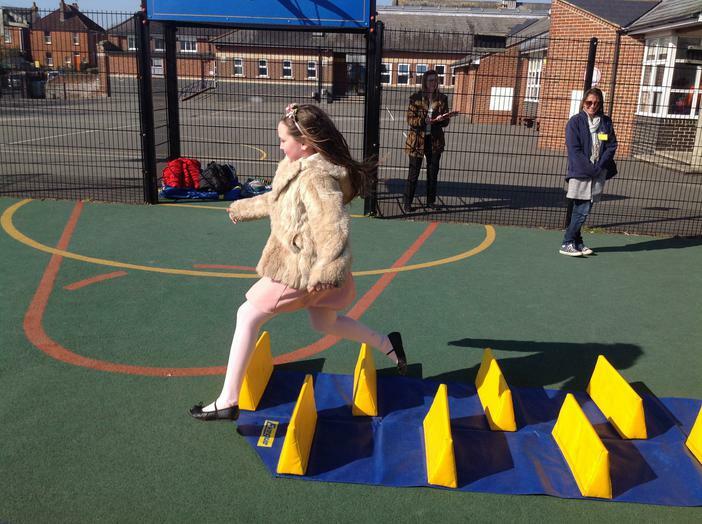 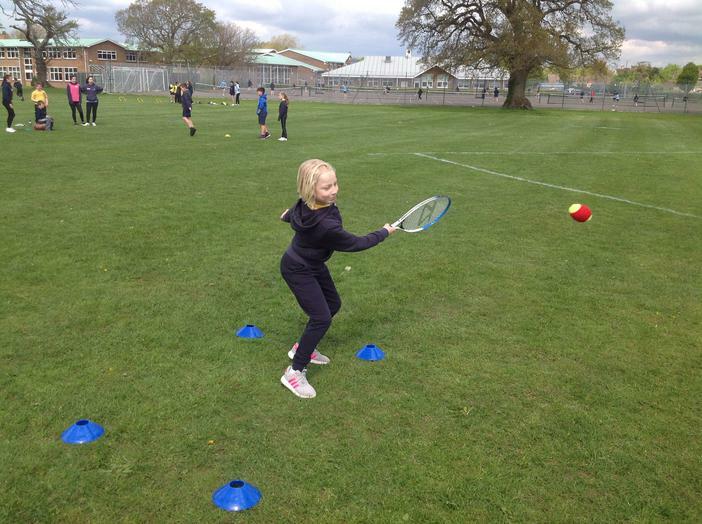 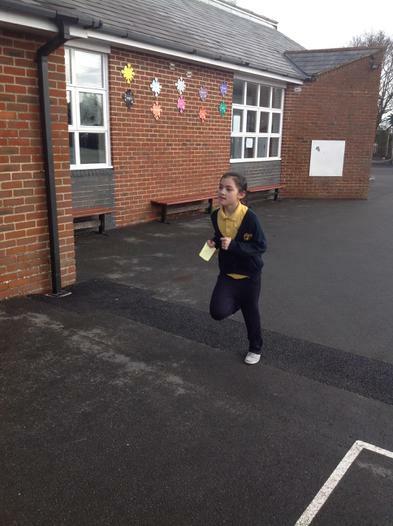 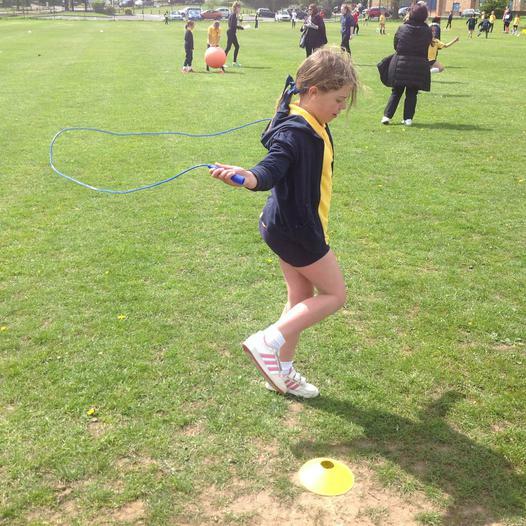 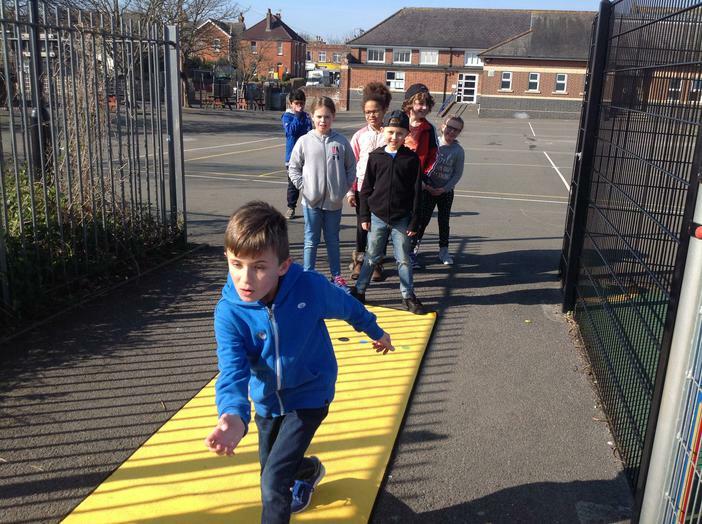 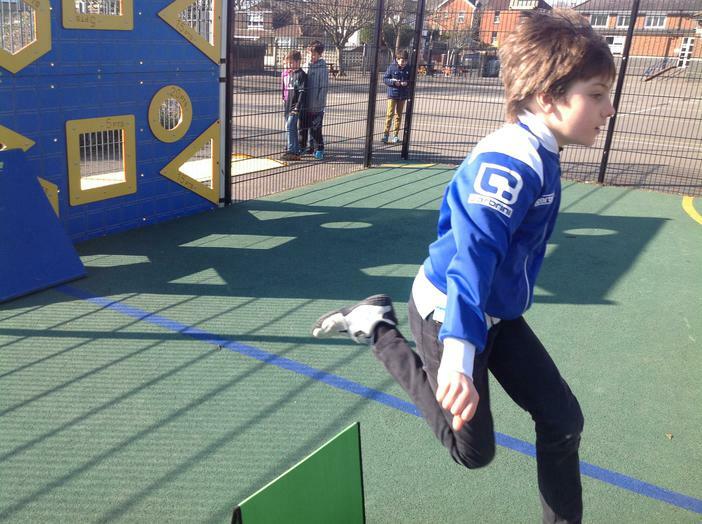 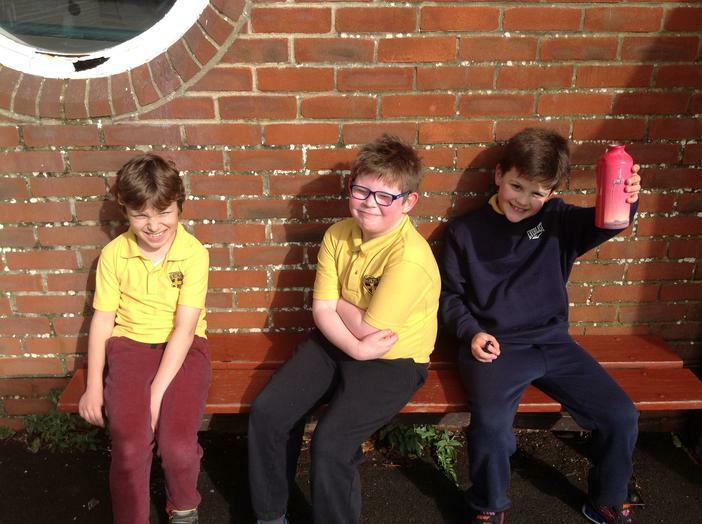 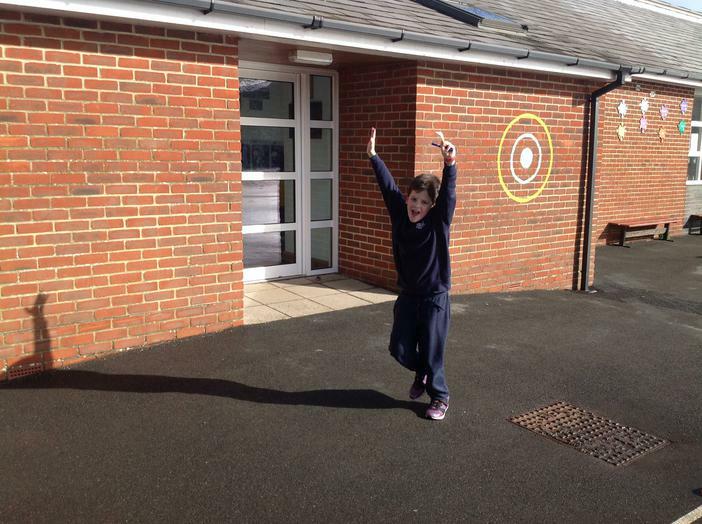 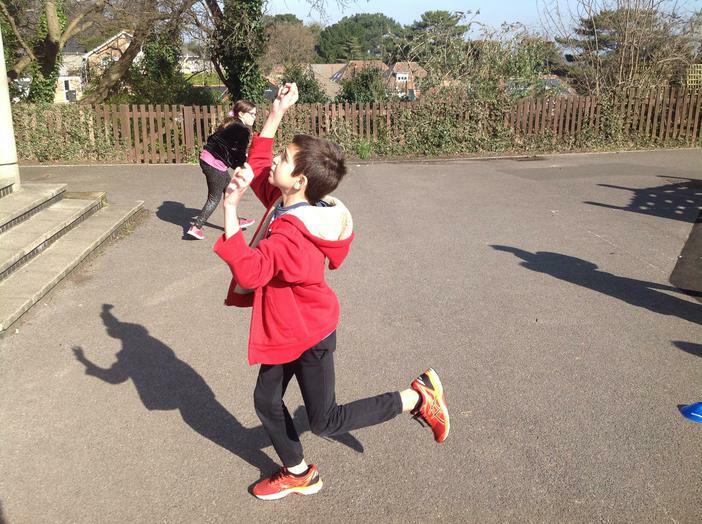 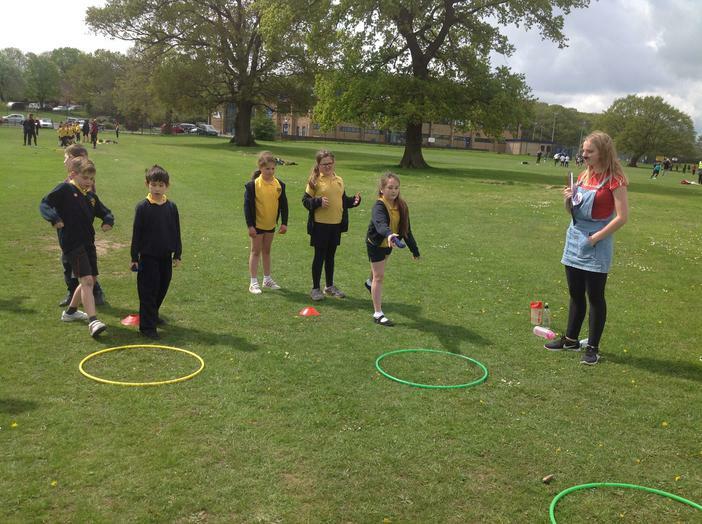 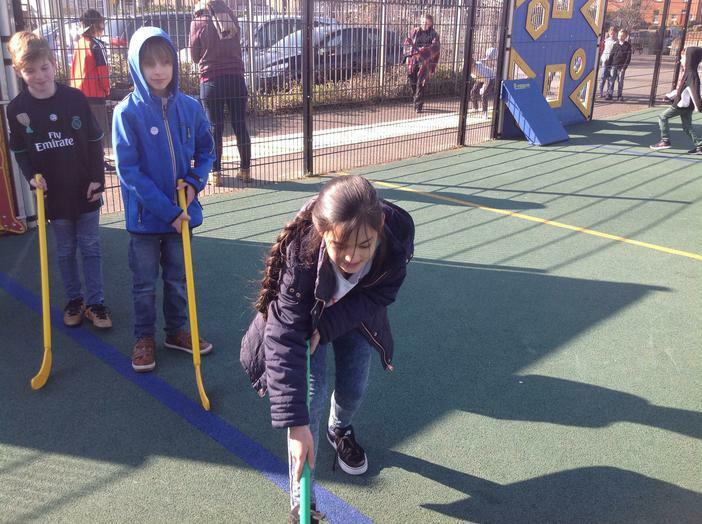 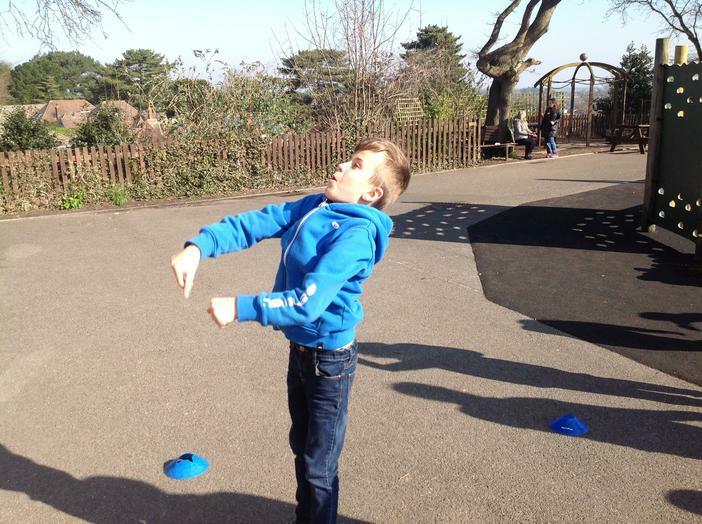 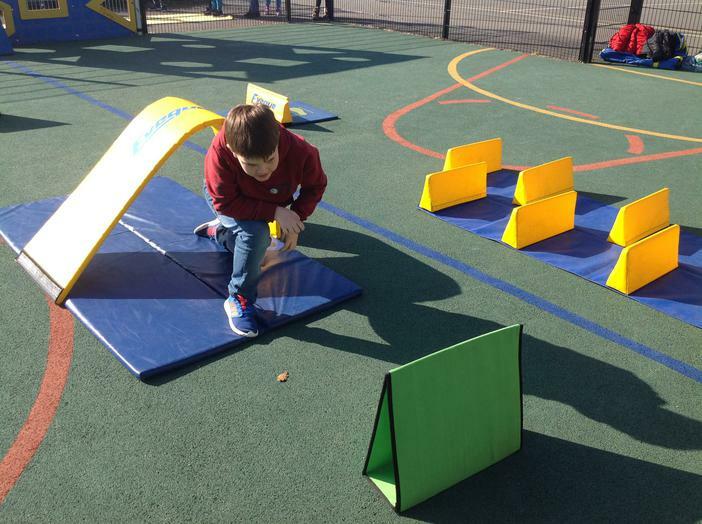 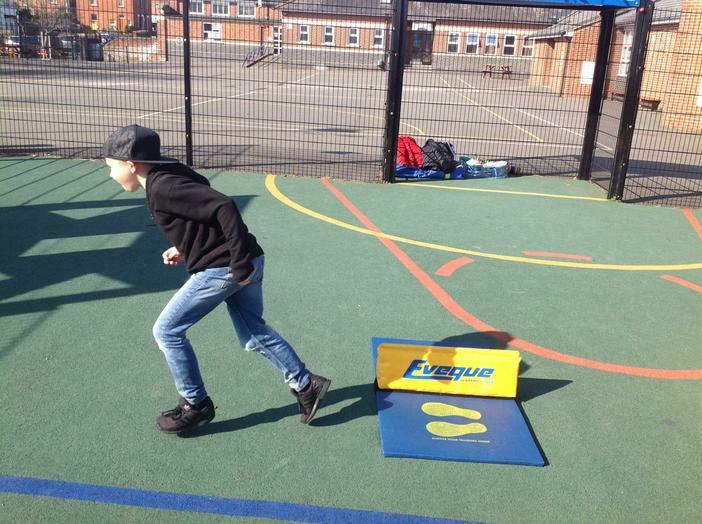 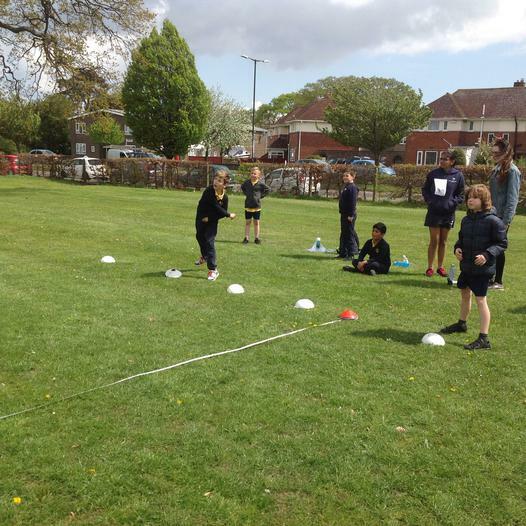 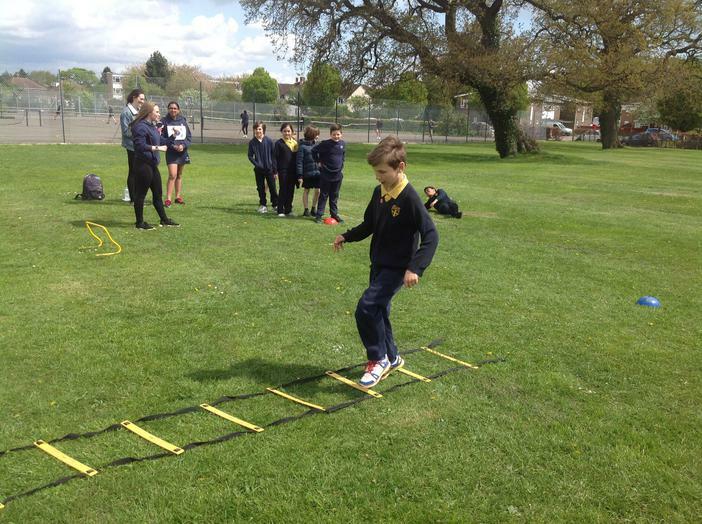 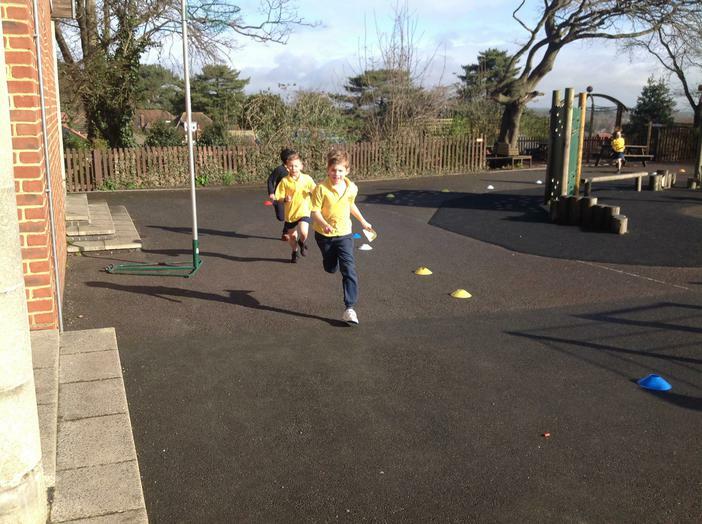 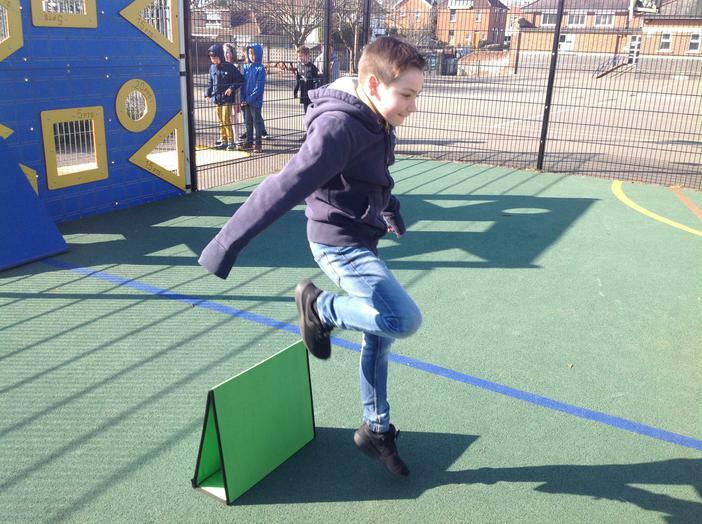 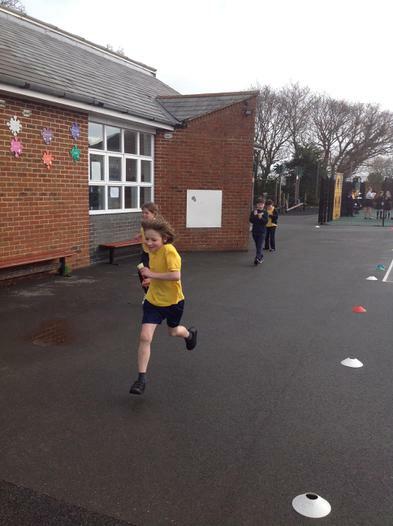 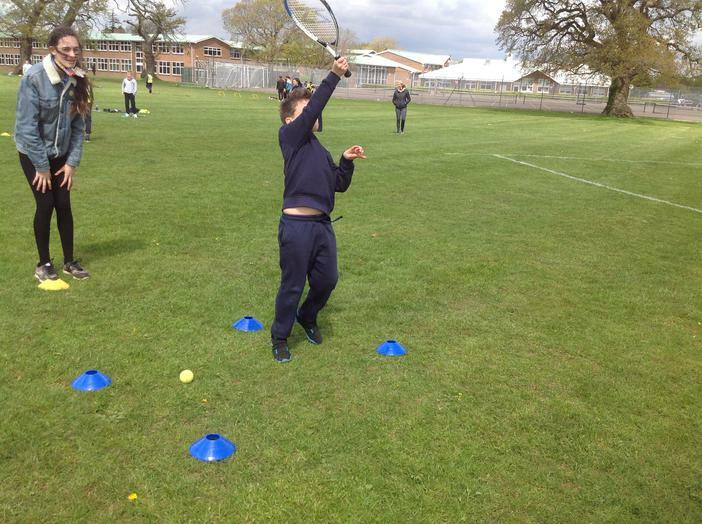 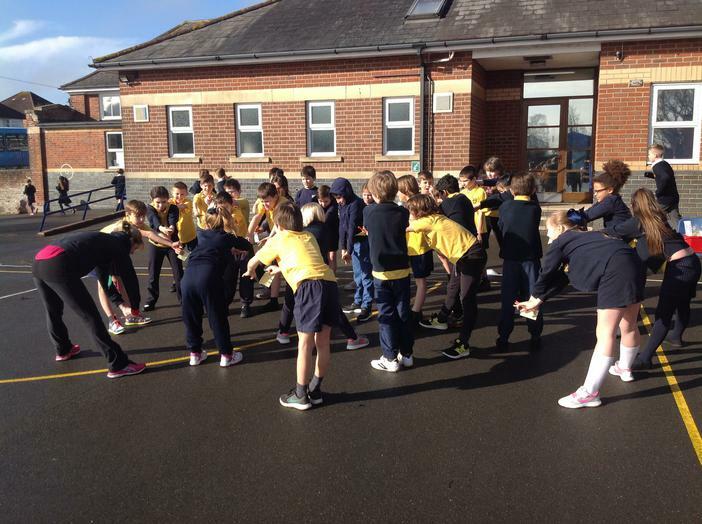 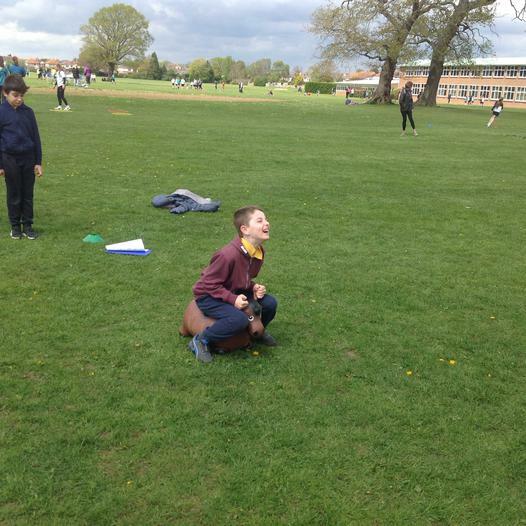 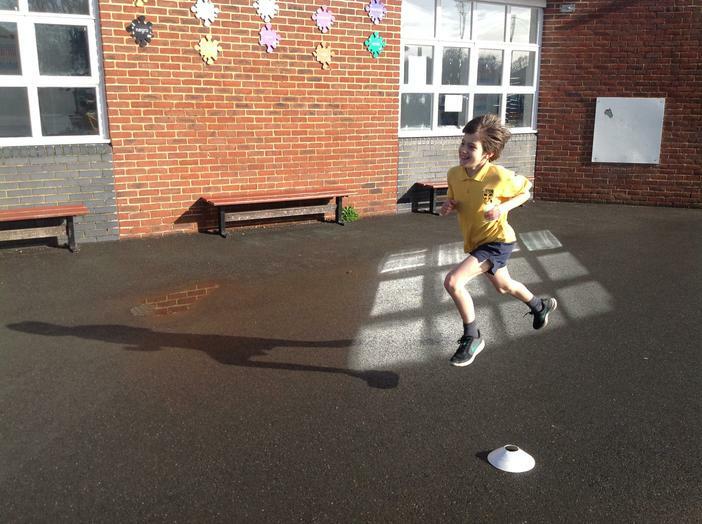 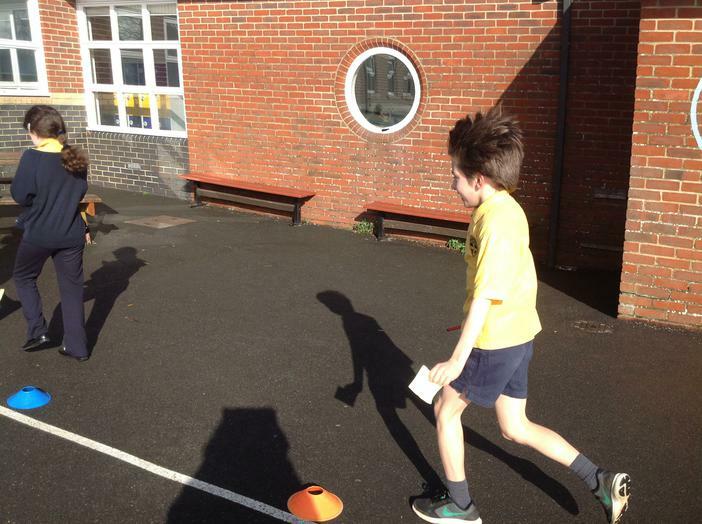 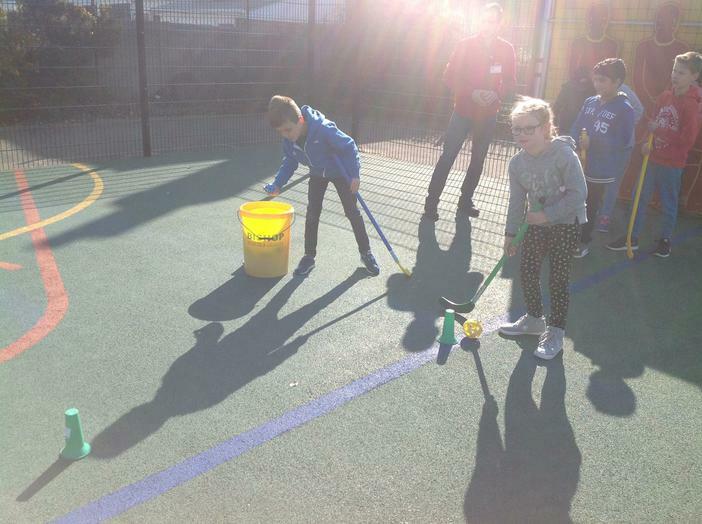 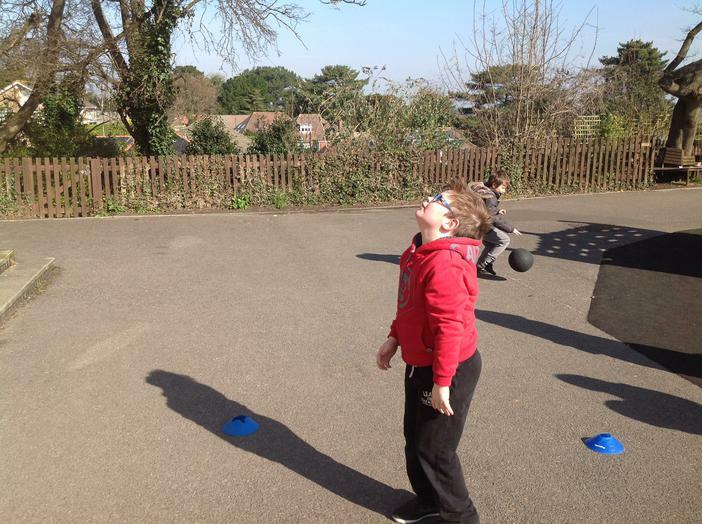 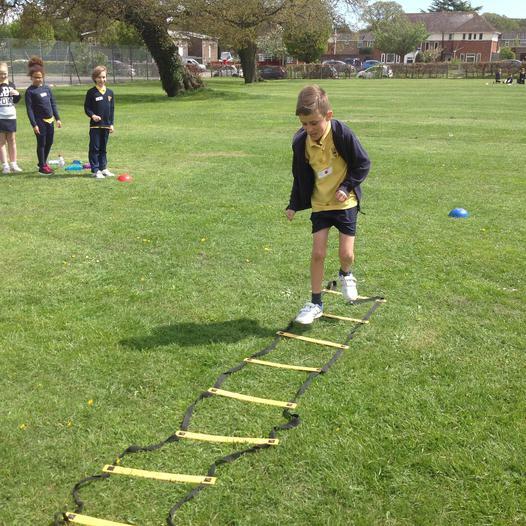 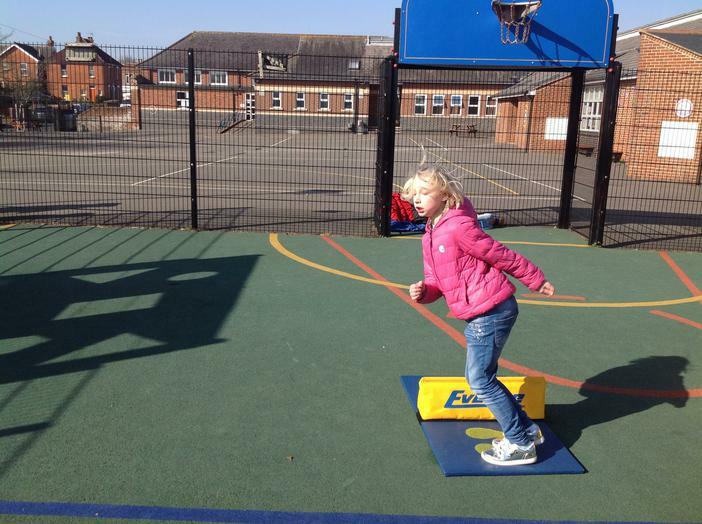 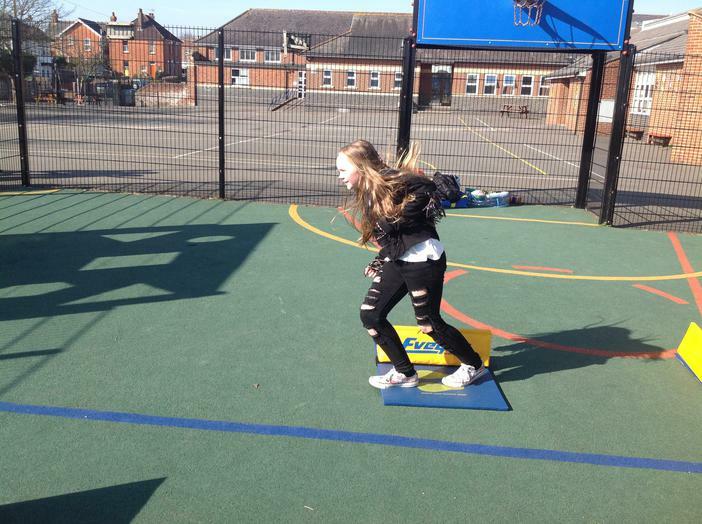 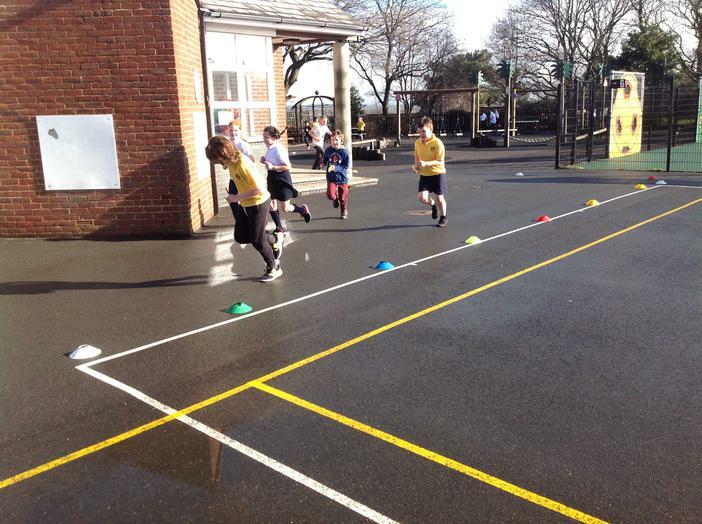 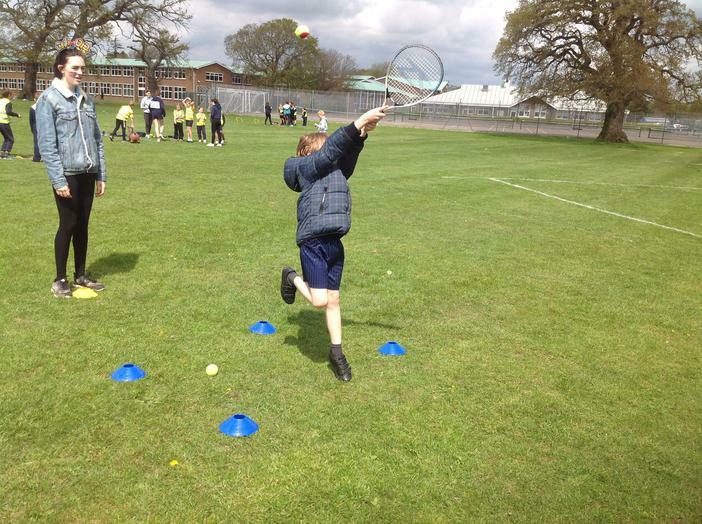 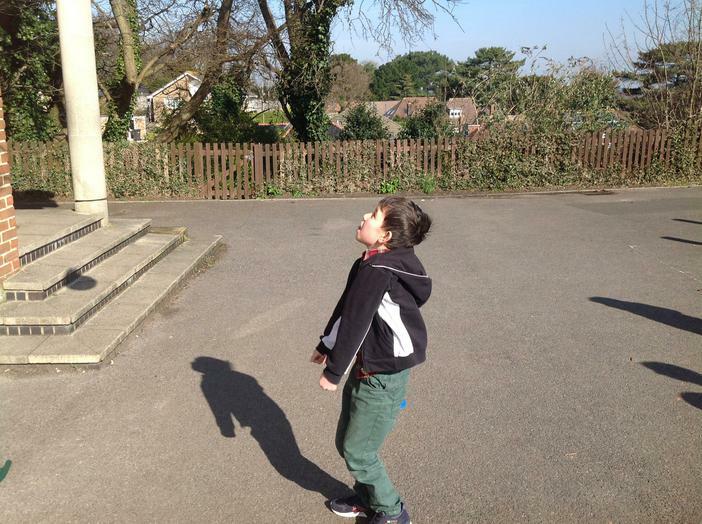 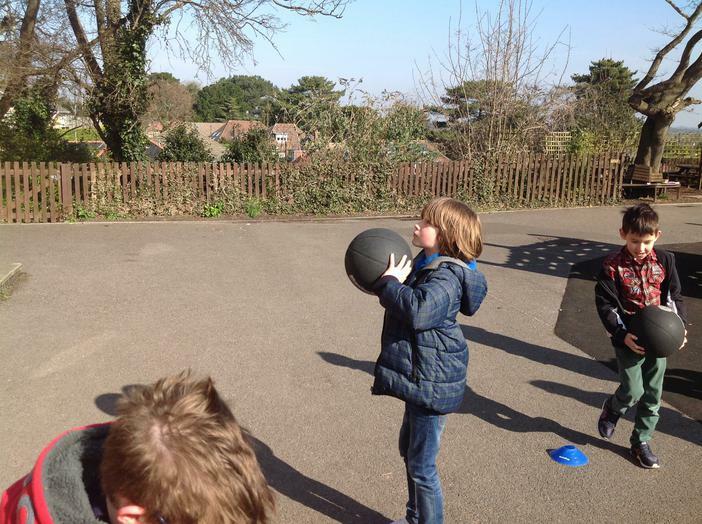 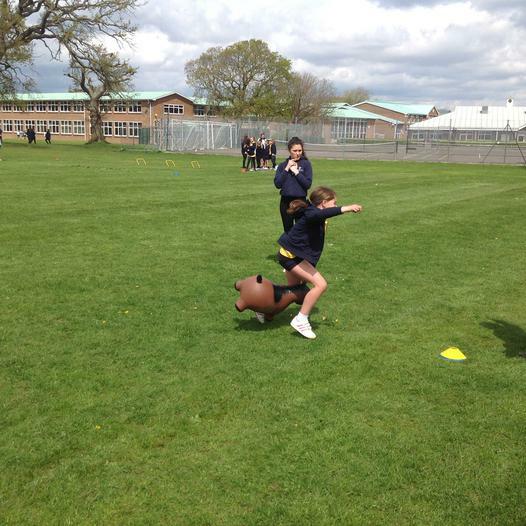 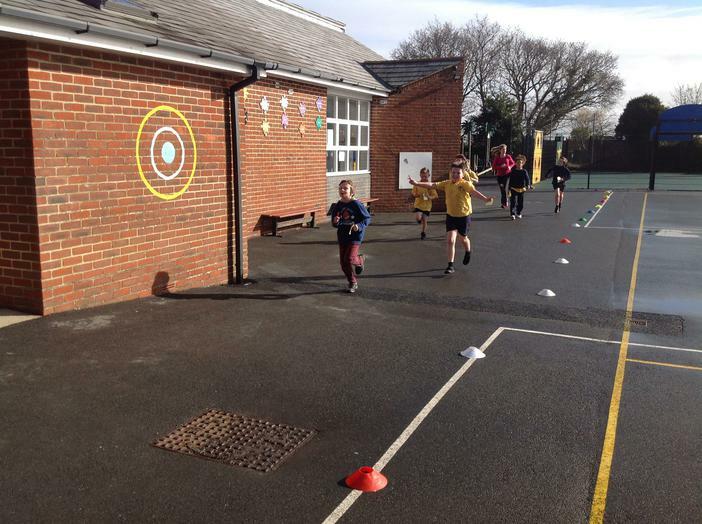 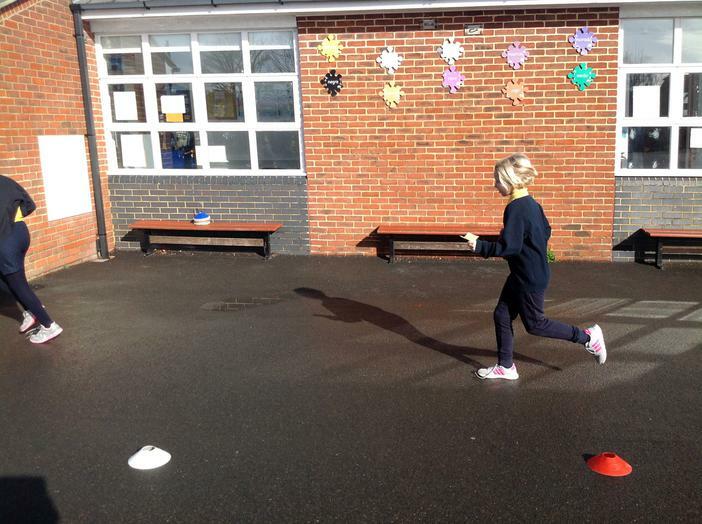 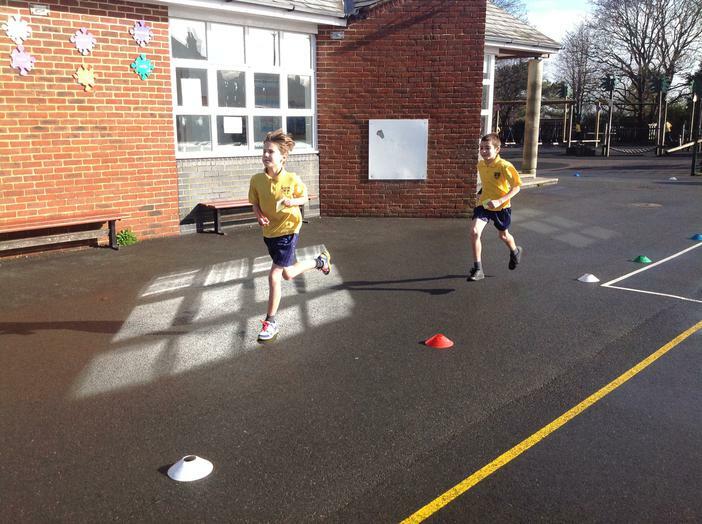 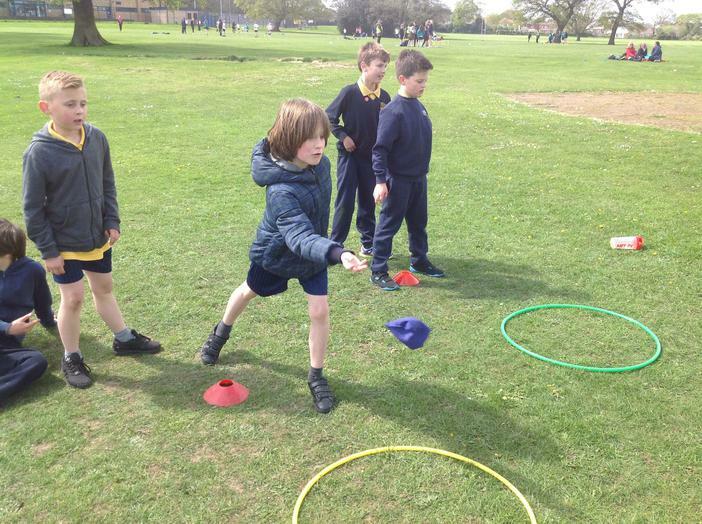 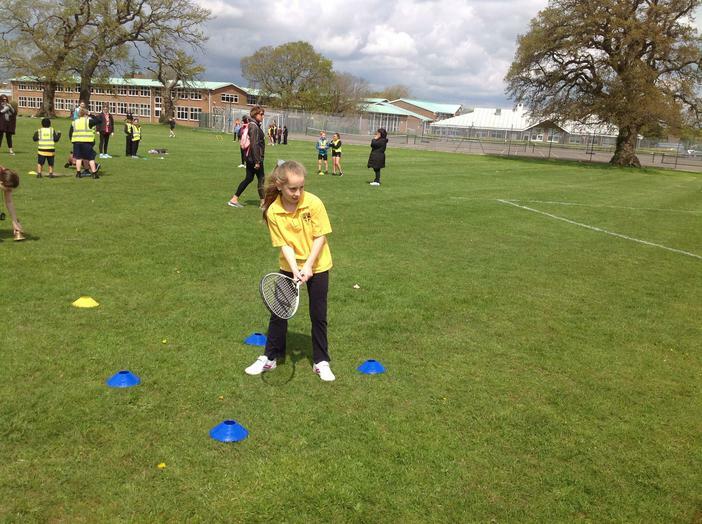 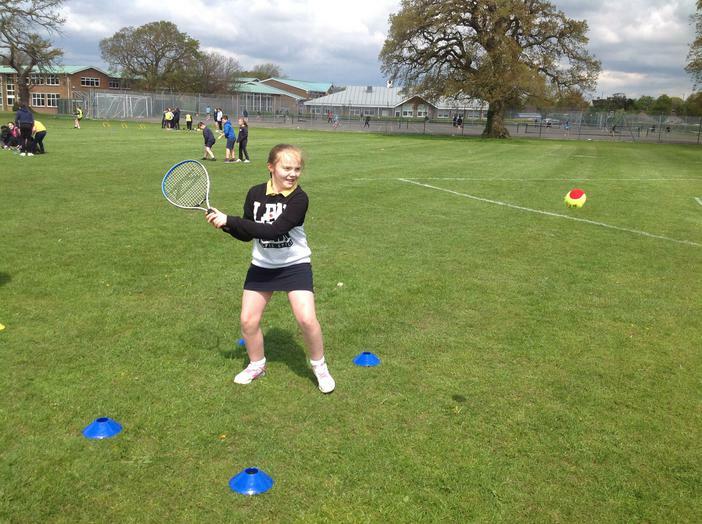 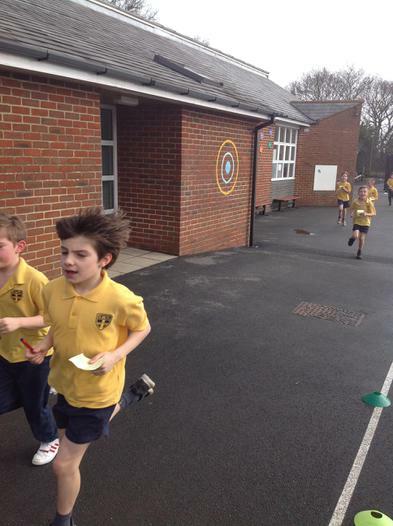 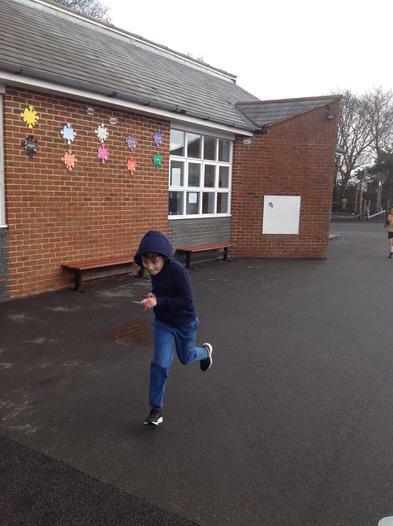 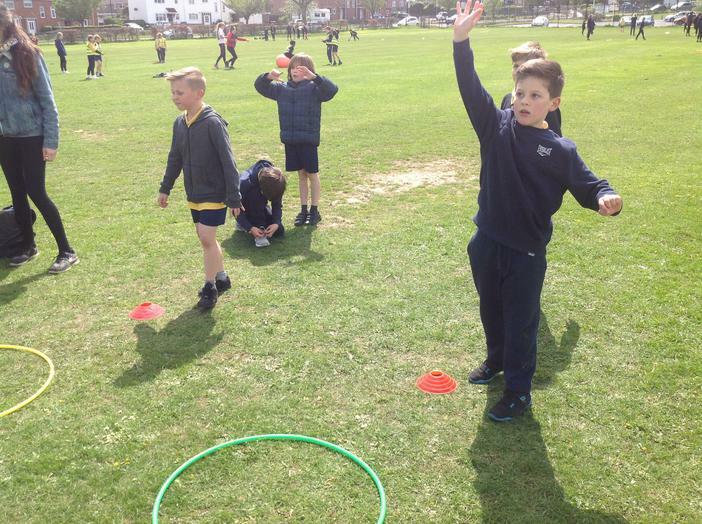 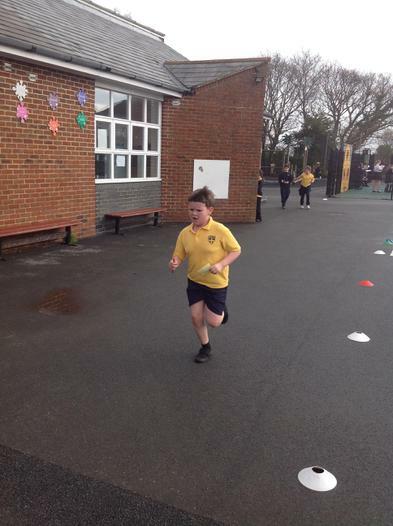 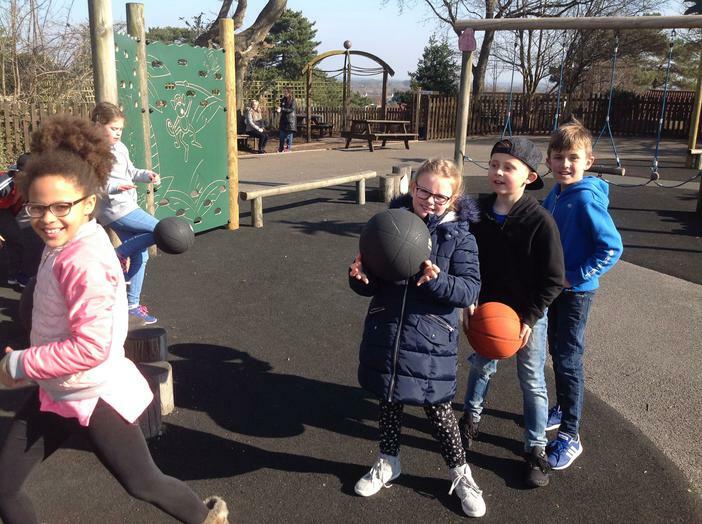 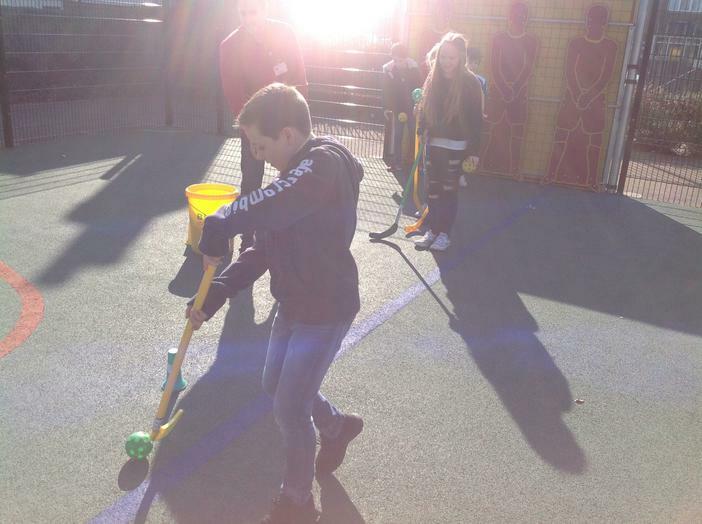 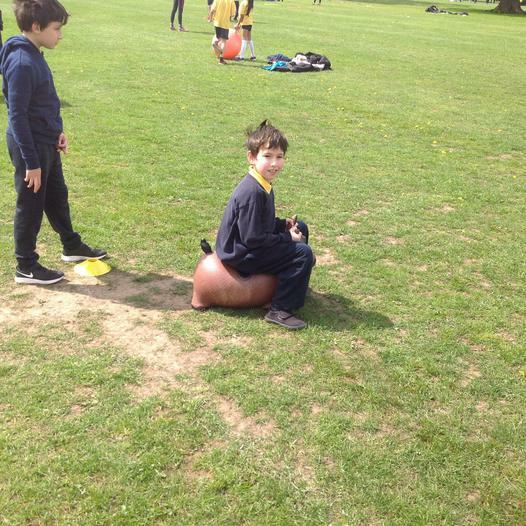 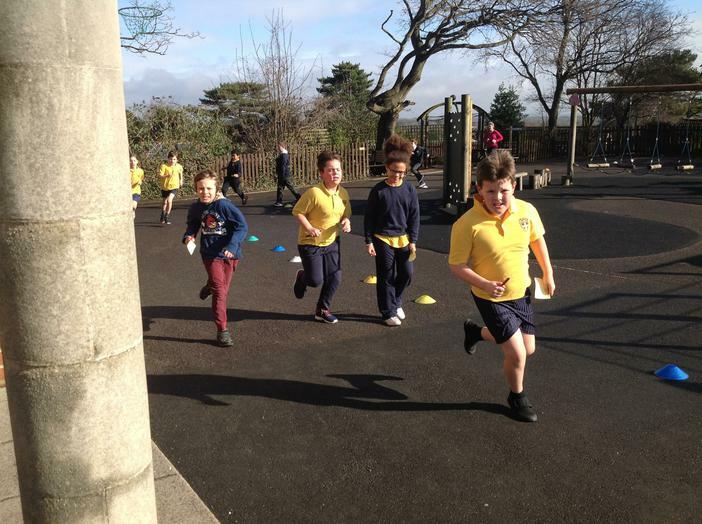 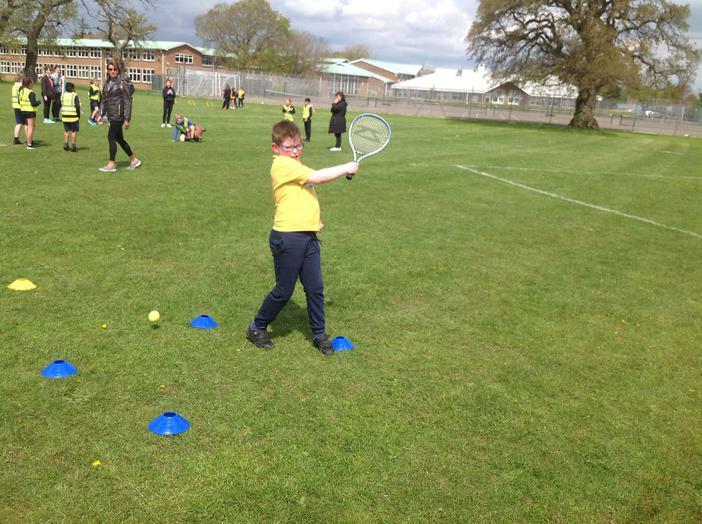 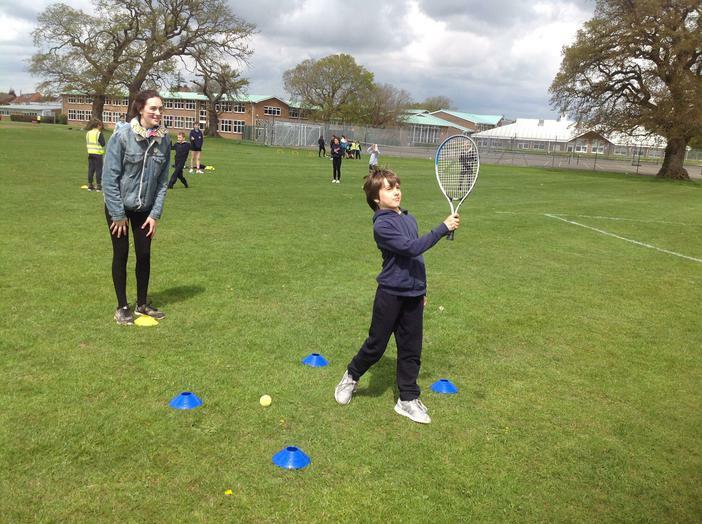 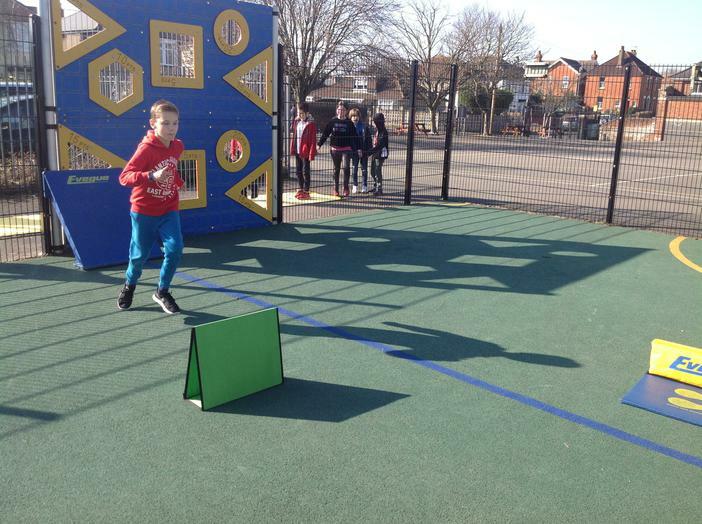 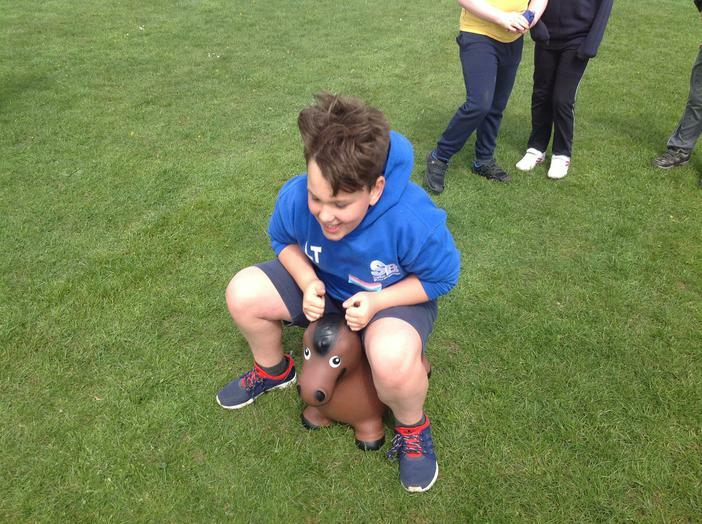 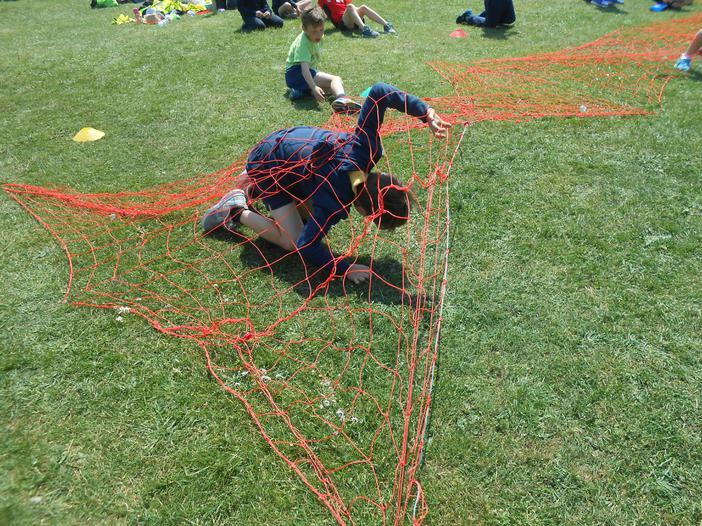 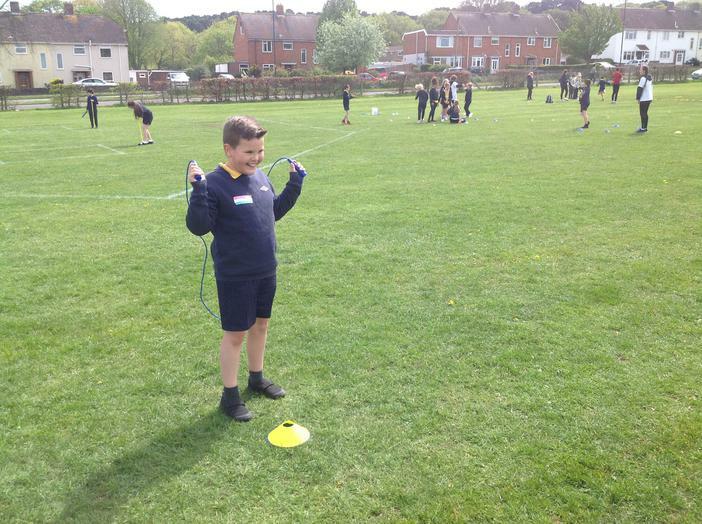 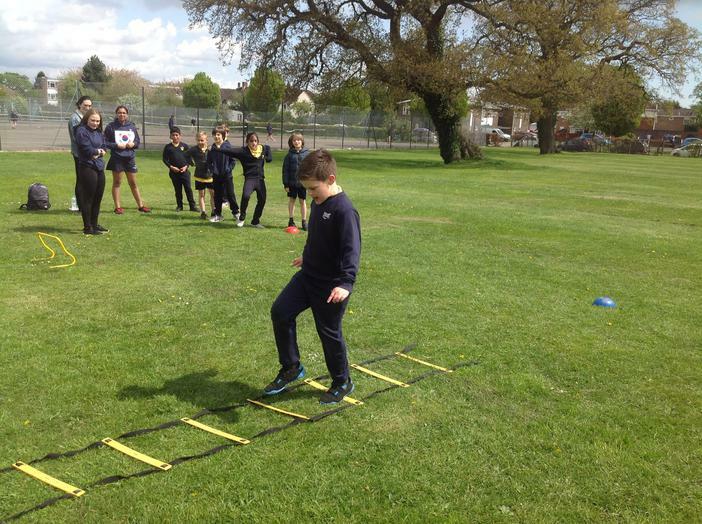 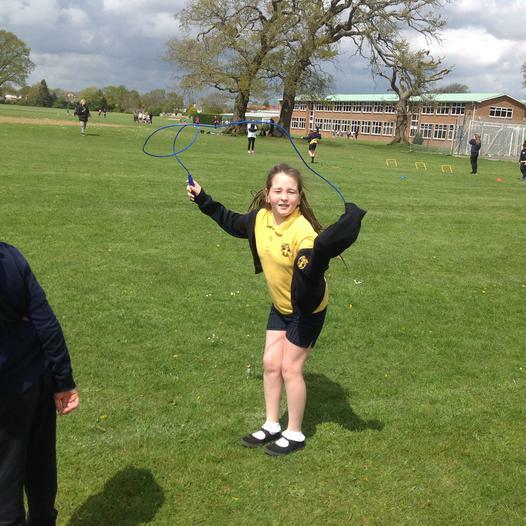 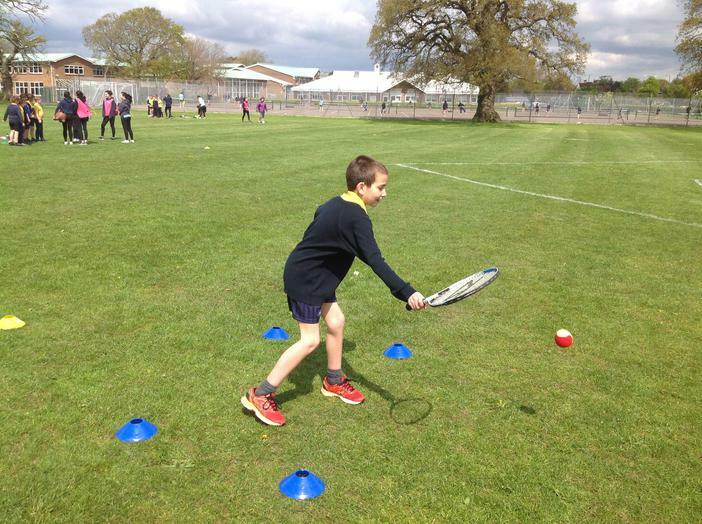 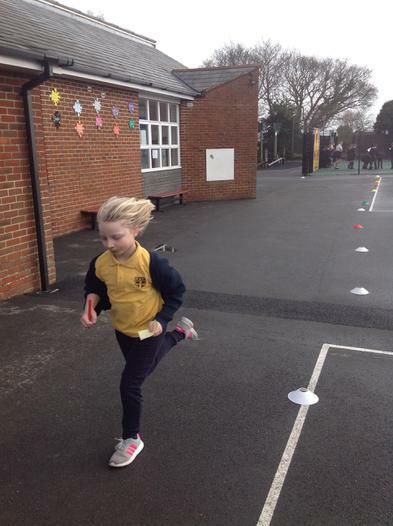 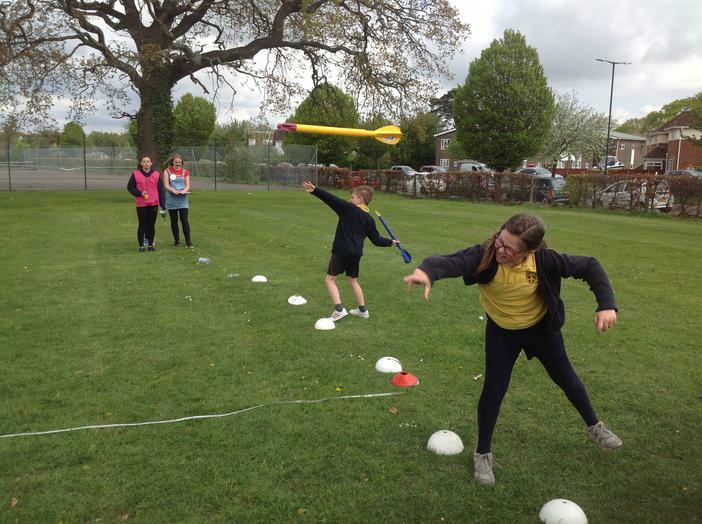 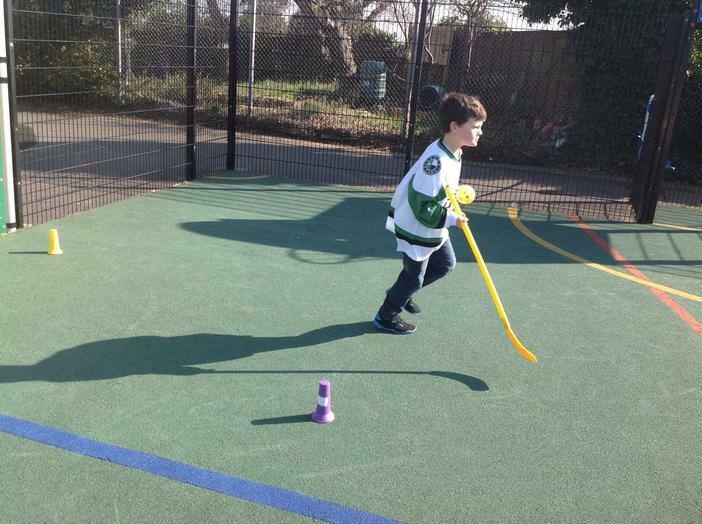 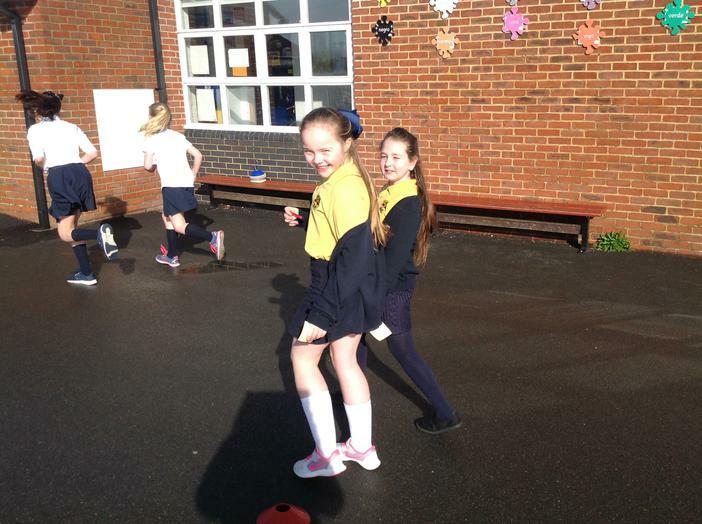 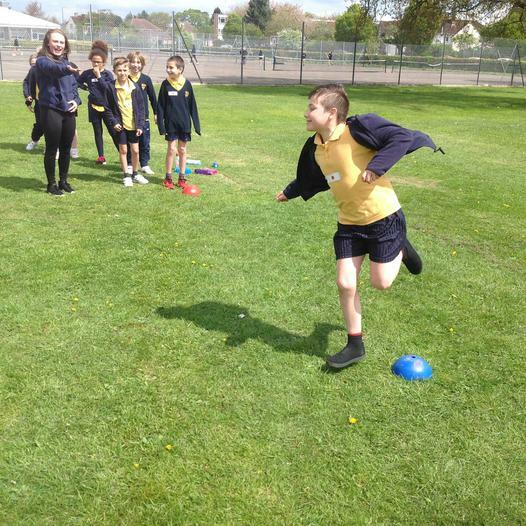 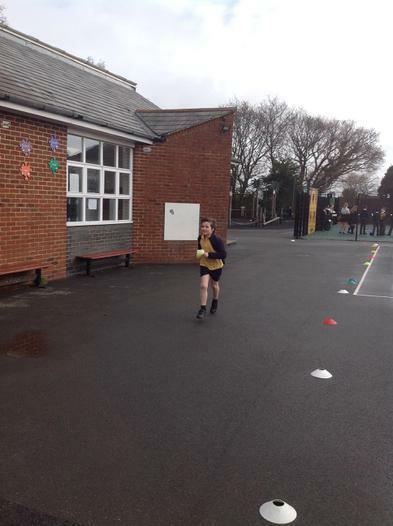 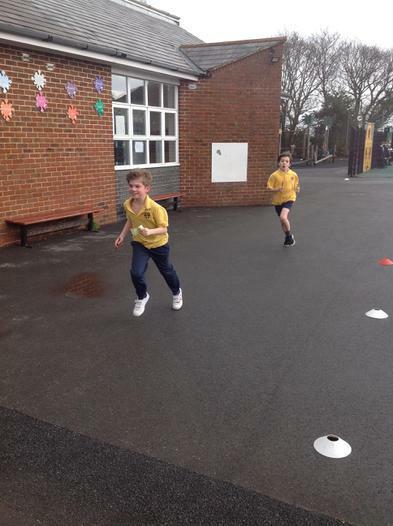 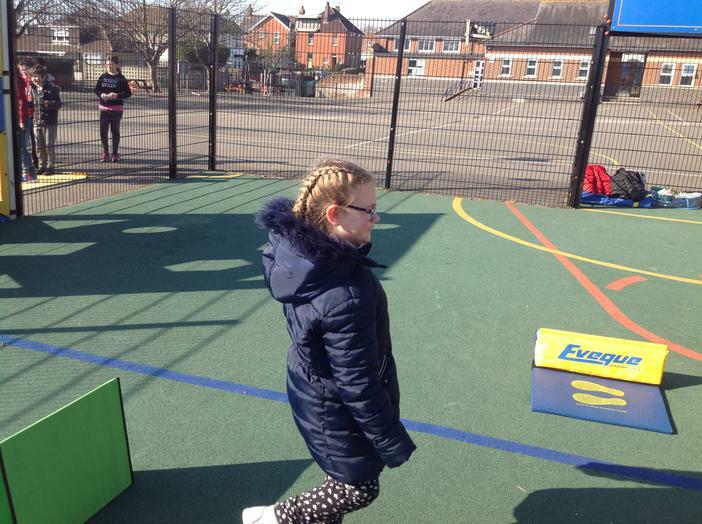 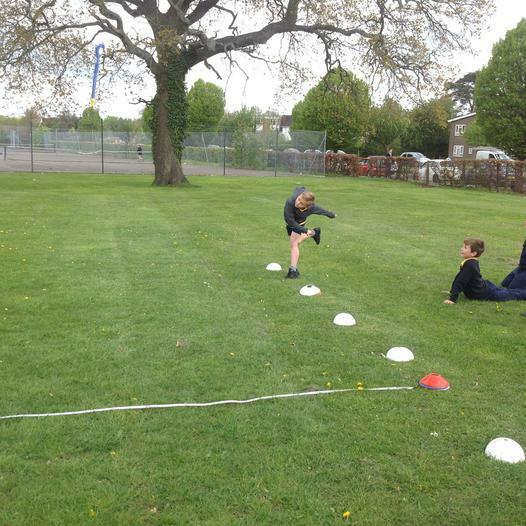 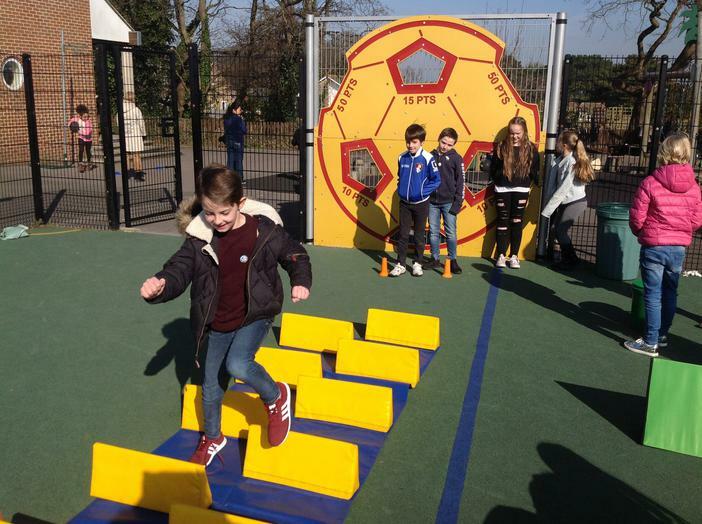 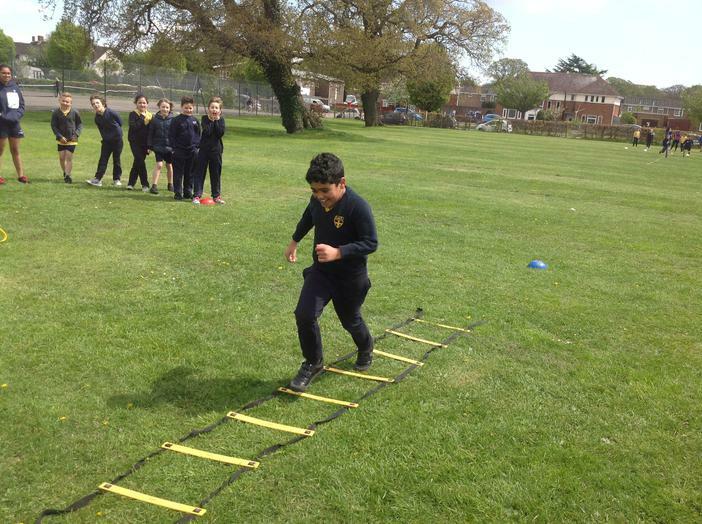 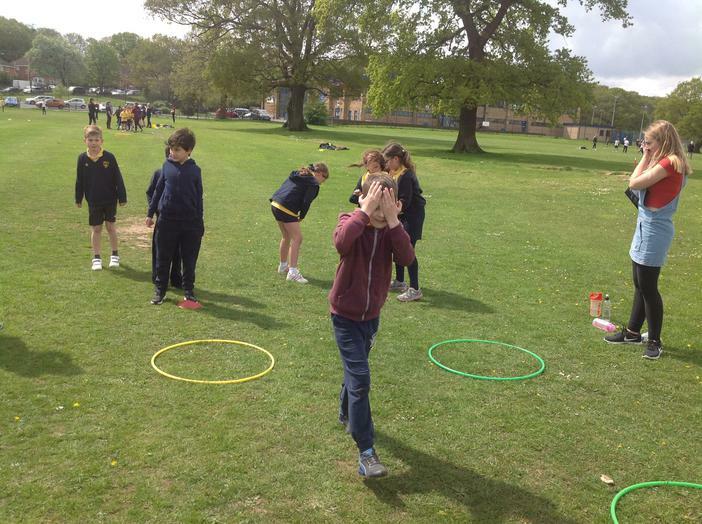 We enjoyed taking part in some activities outside on Easter Treat Day ! 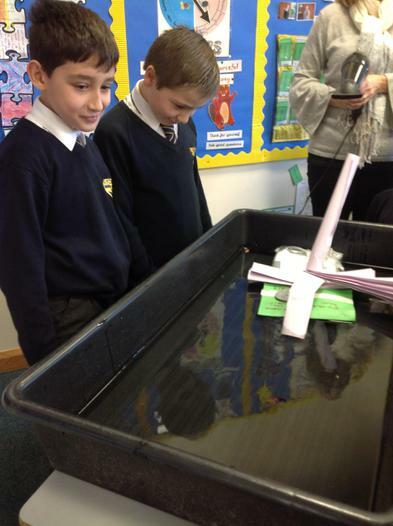 Today we had great fun building bridges with straws. 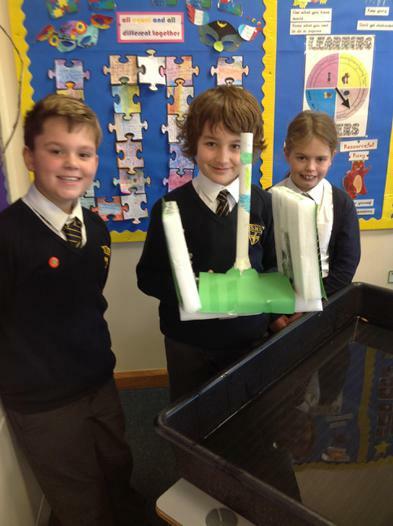 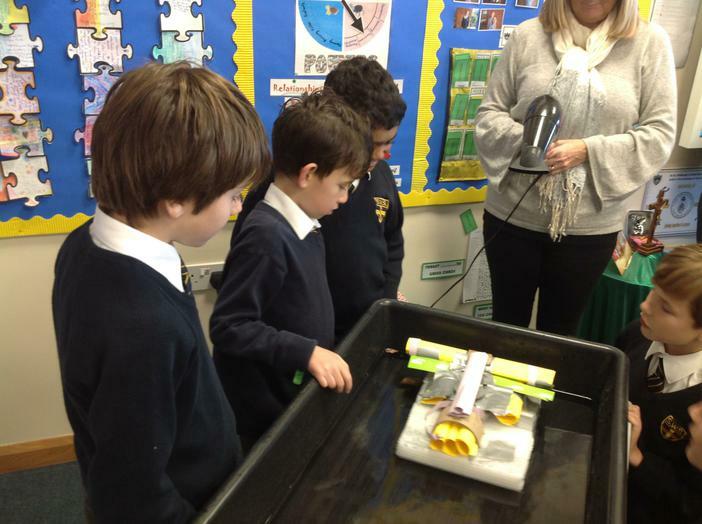 We worked well together and our bridges were strong and well designed. 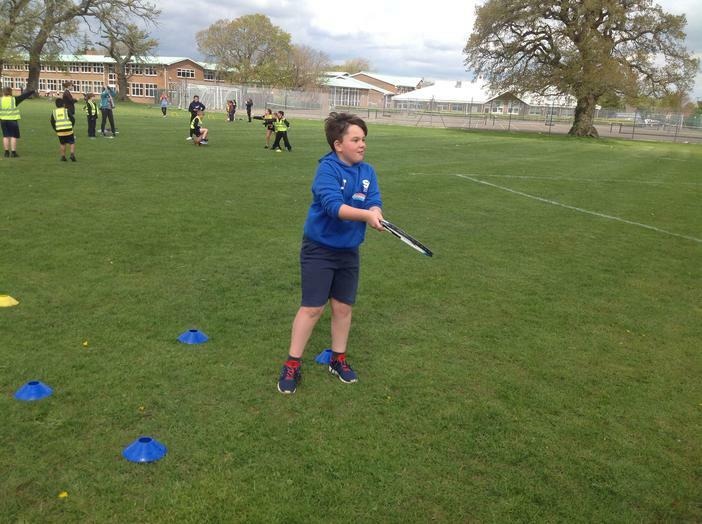 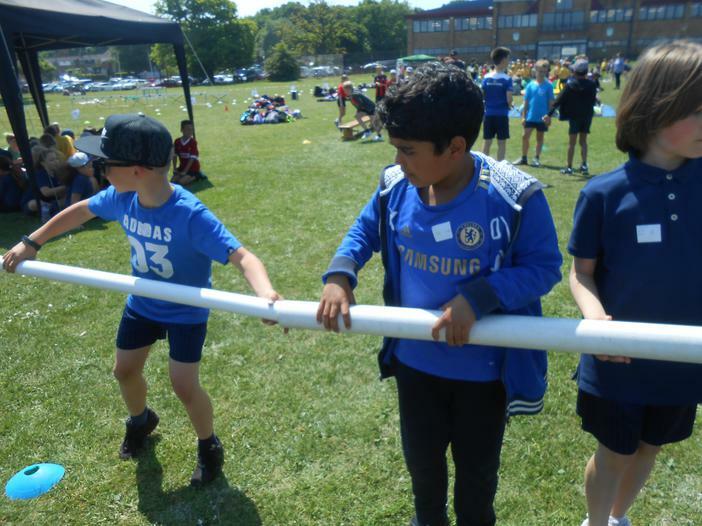 Today we had a fantastic afternoon at the BSG Sports Festival. 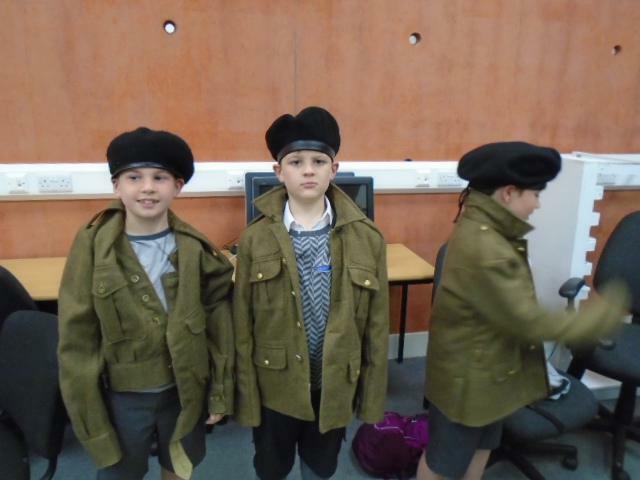 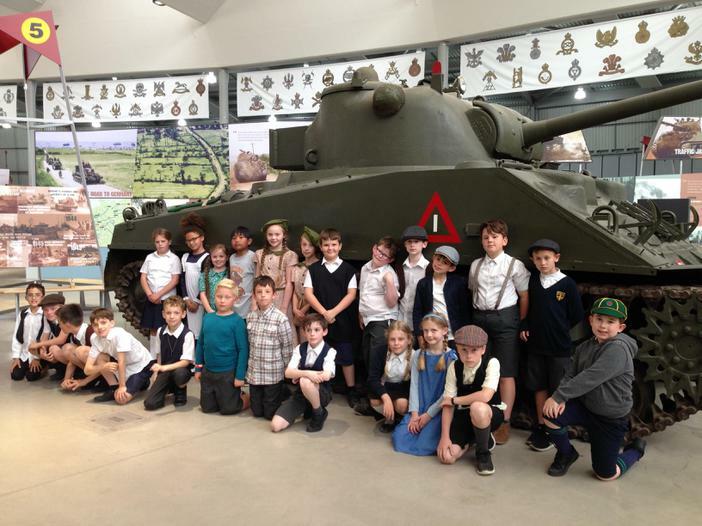 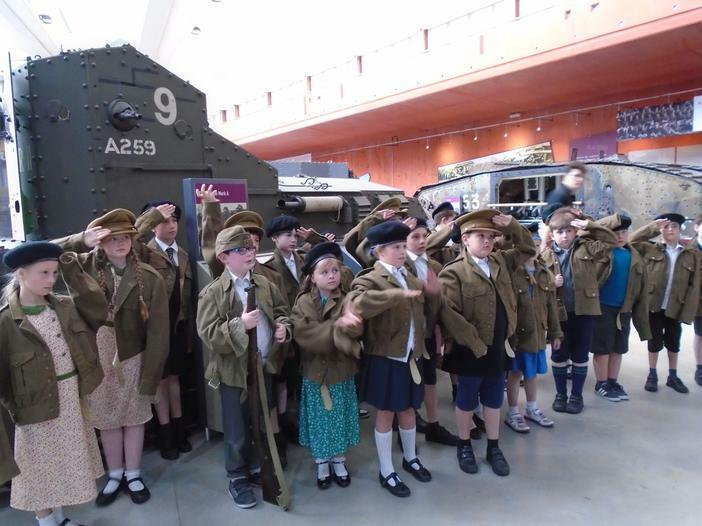 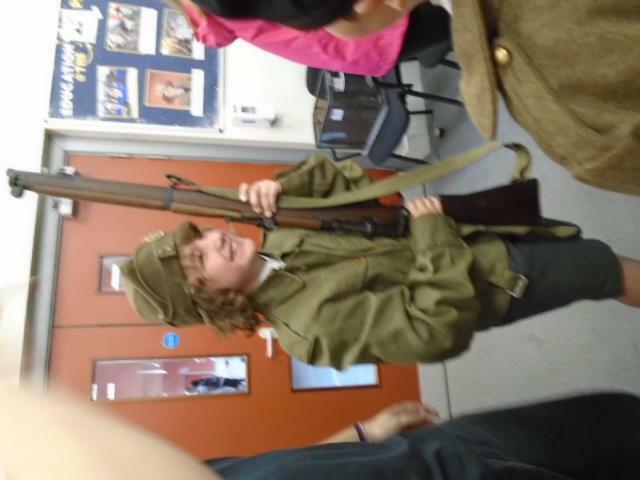 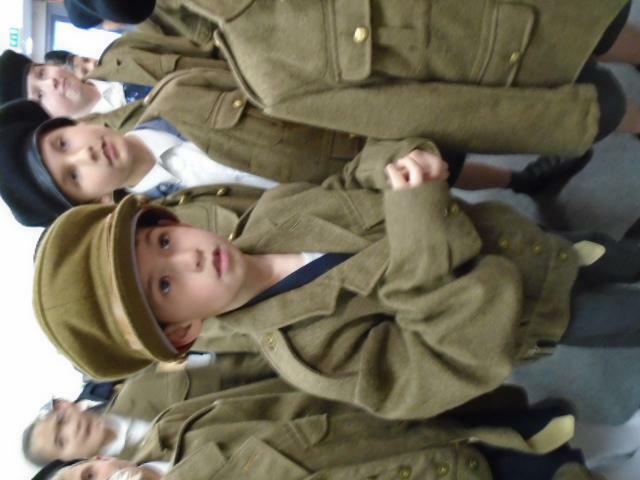 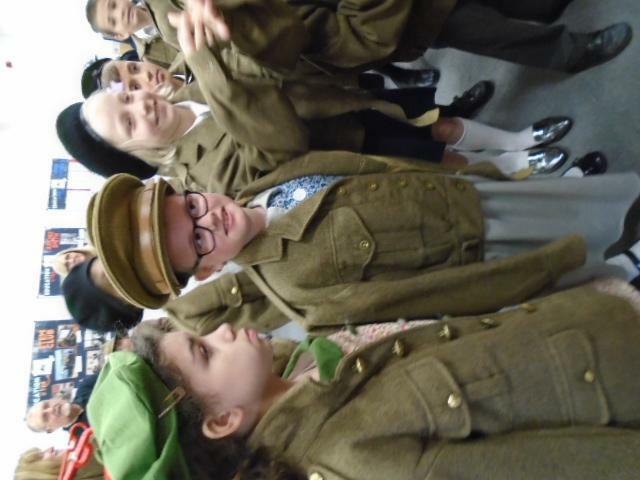 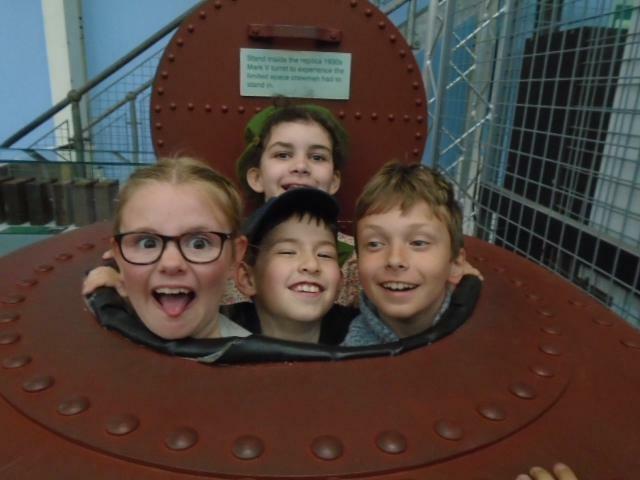 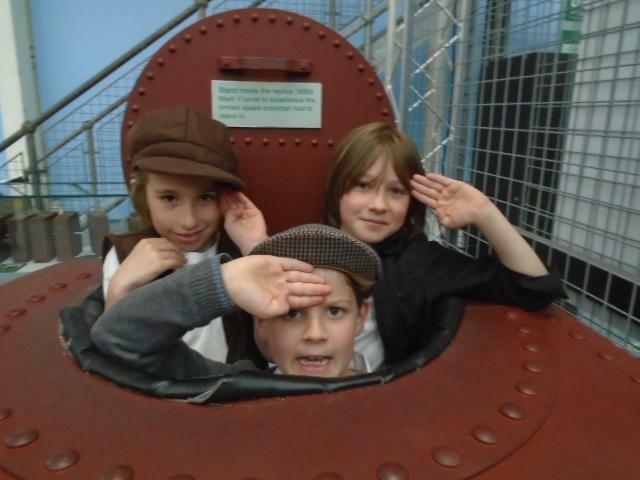 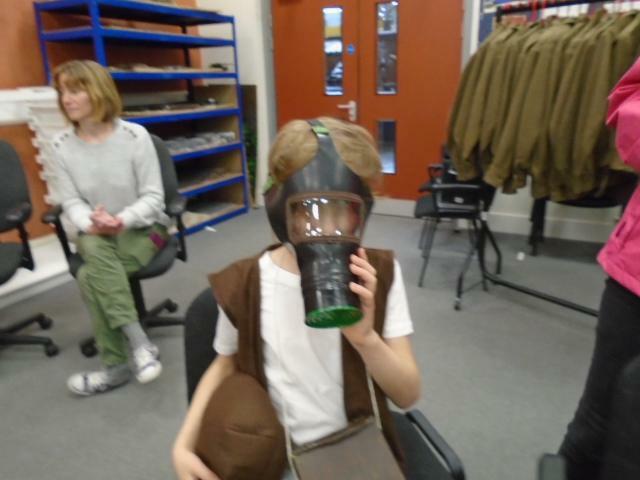 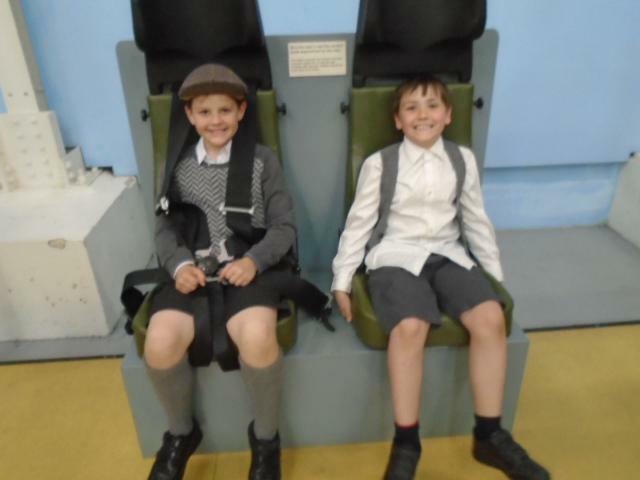 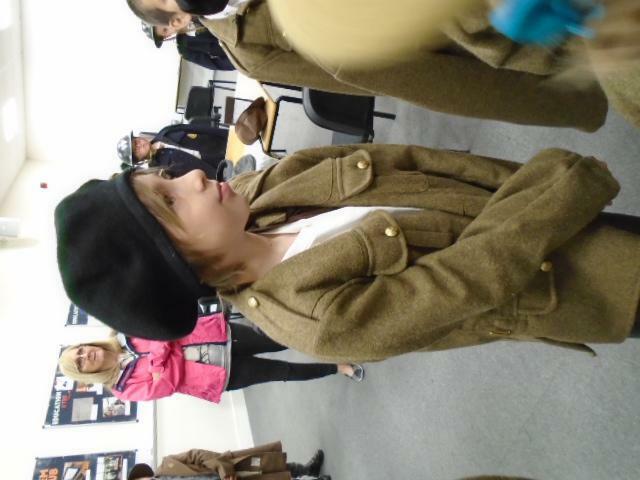 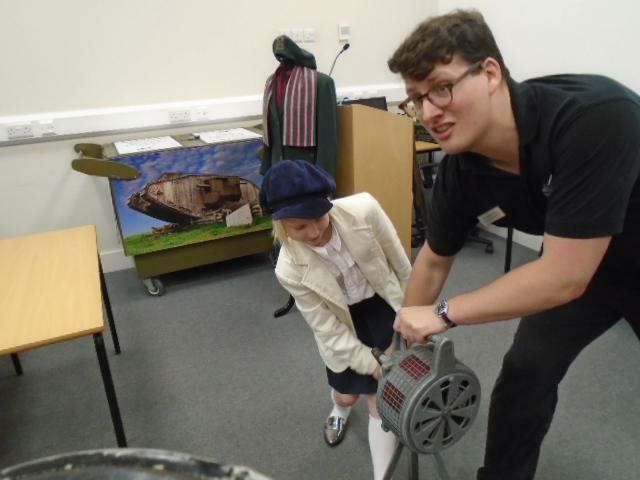 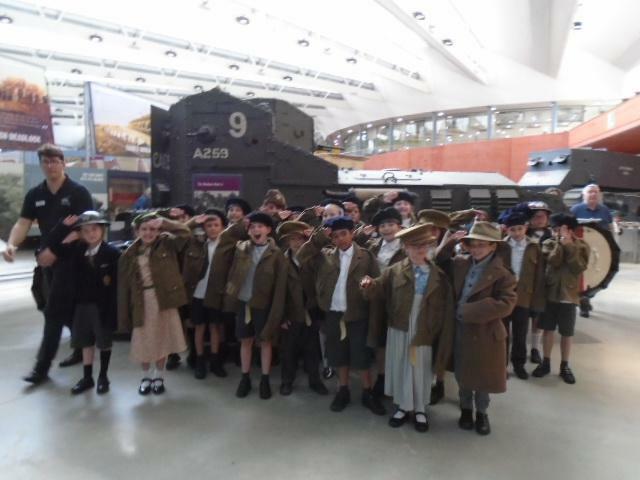 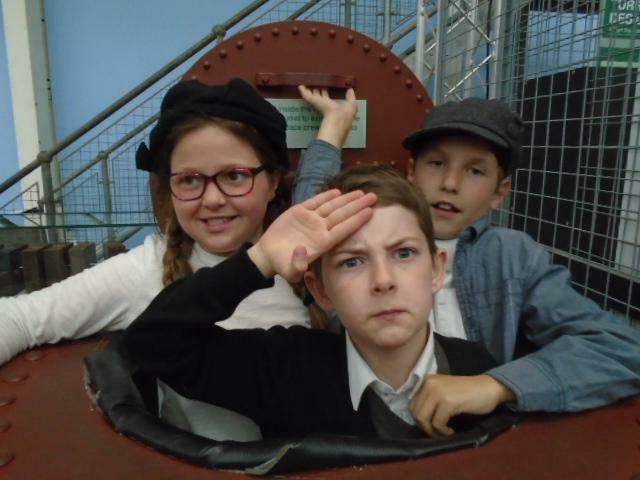 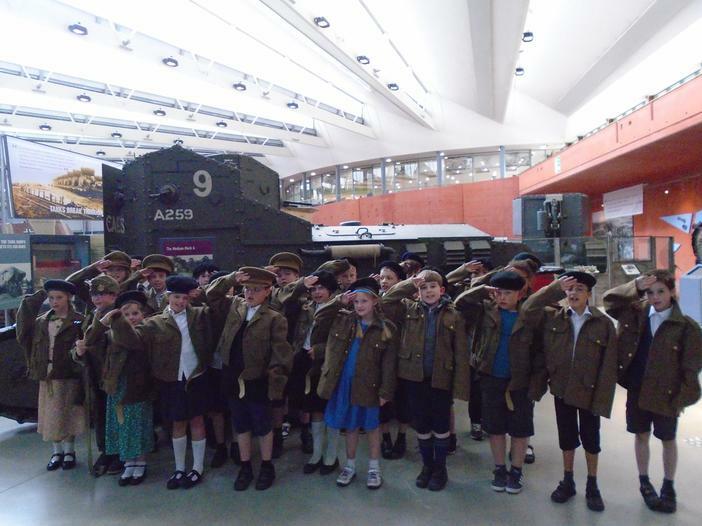 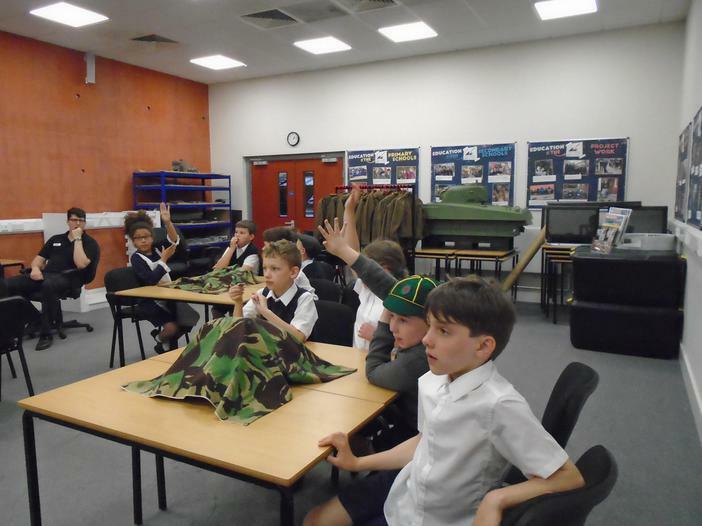 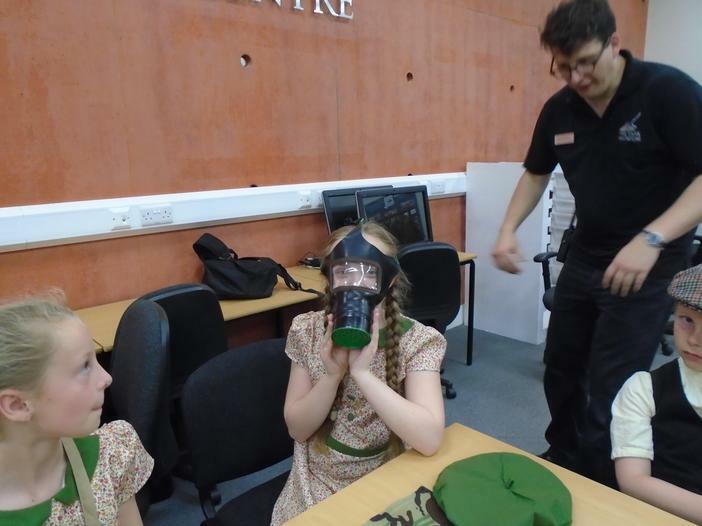 We had a fantastic day out at the tank museum. 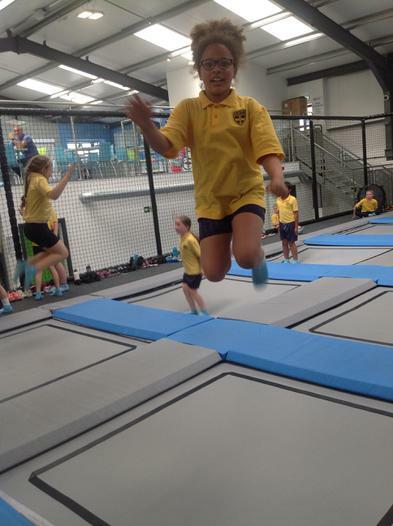 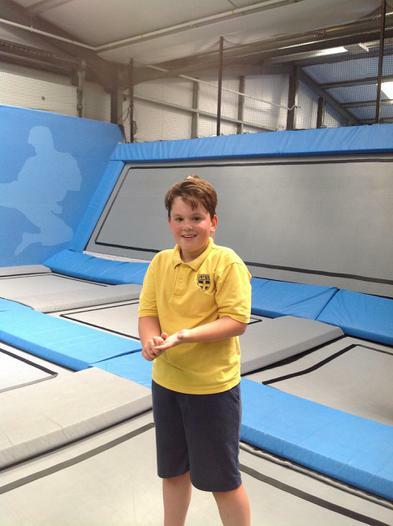 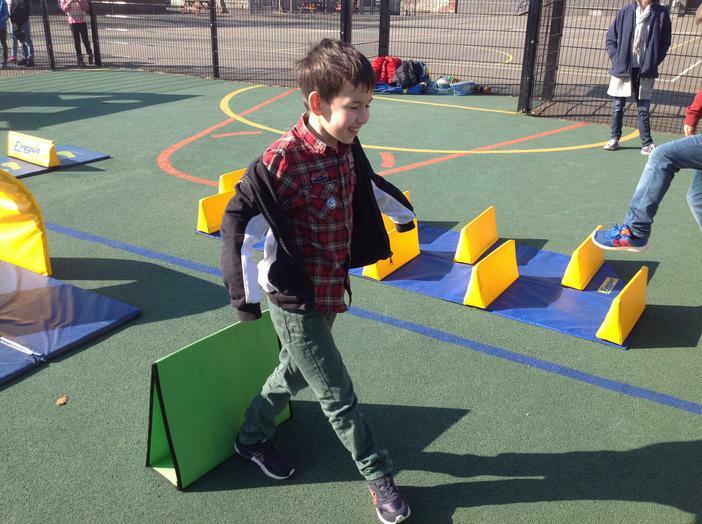 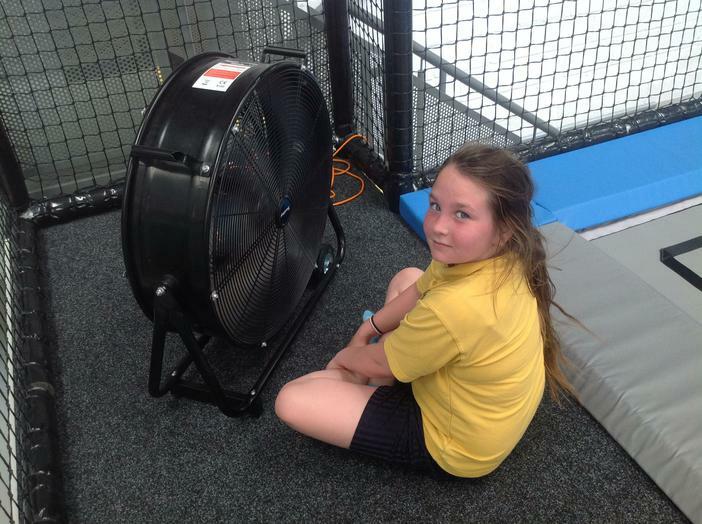 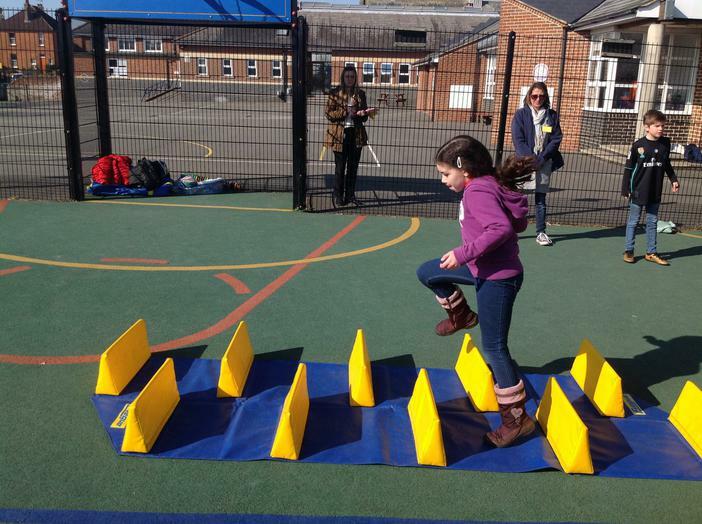 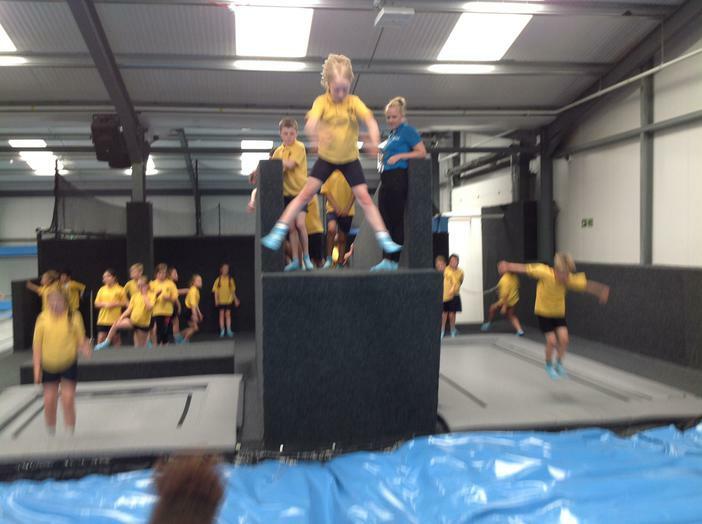 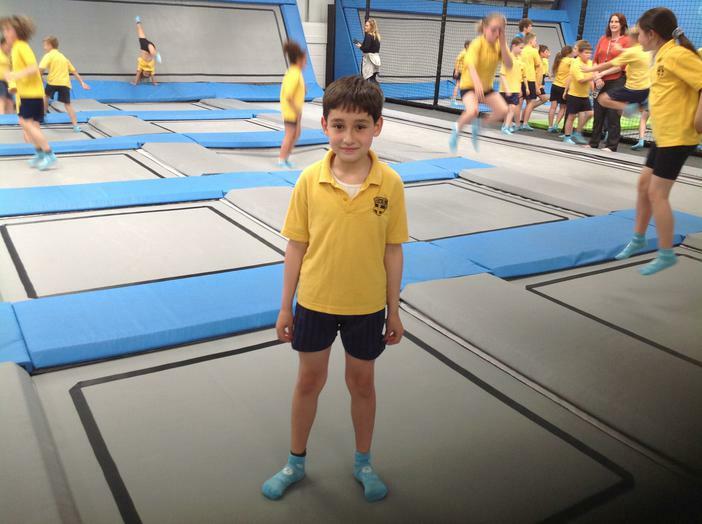 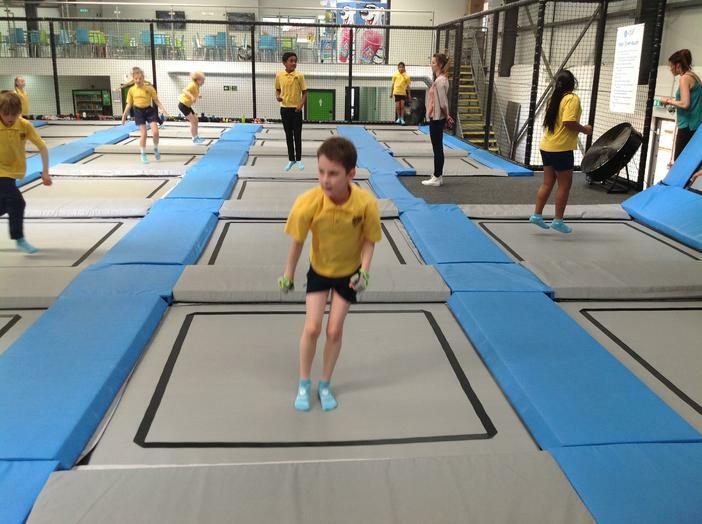 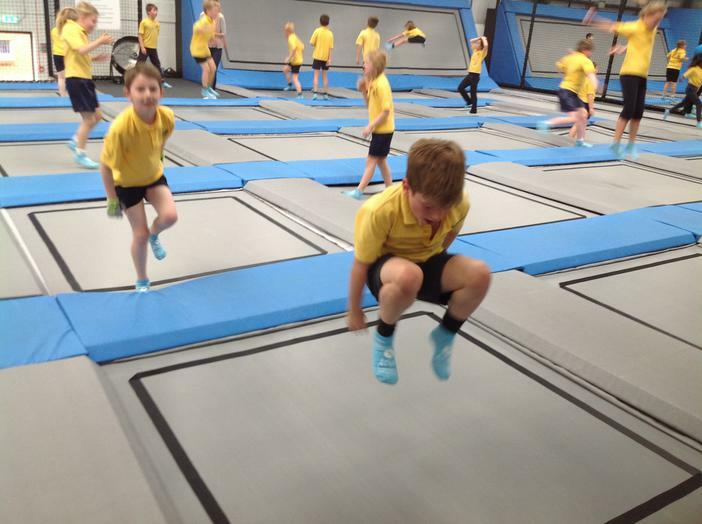 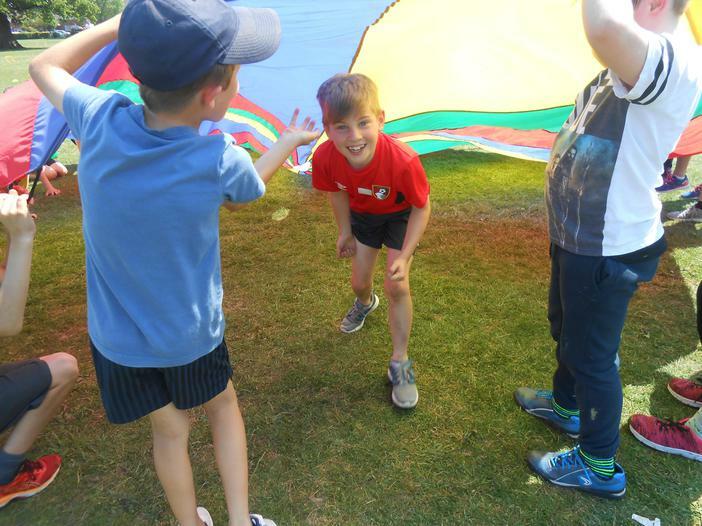 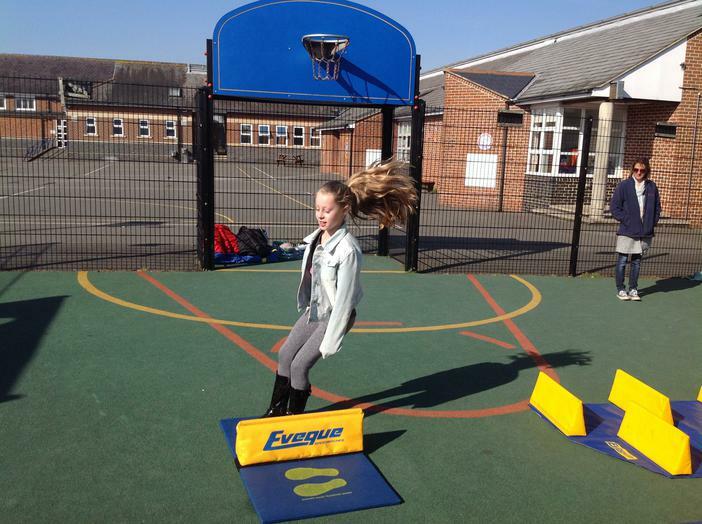 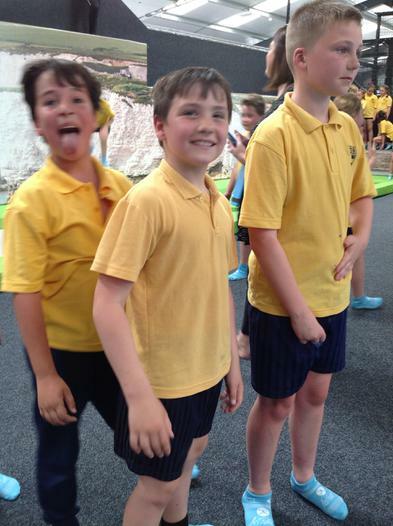 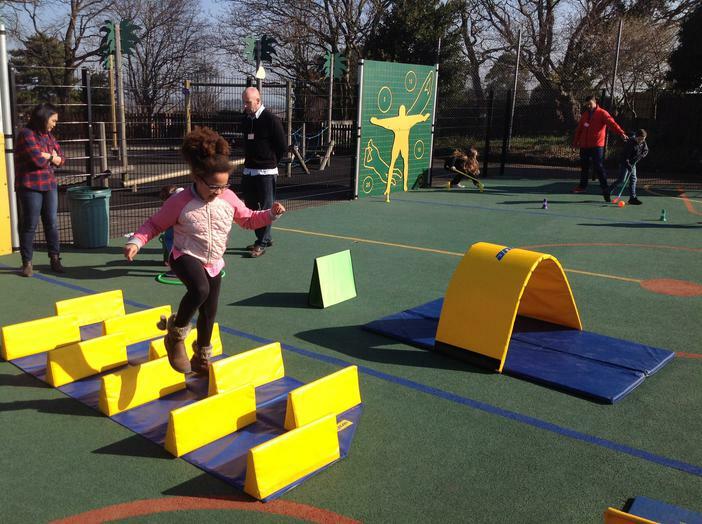 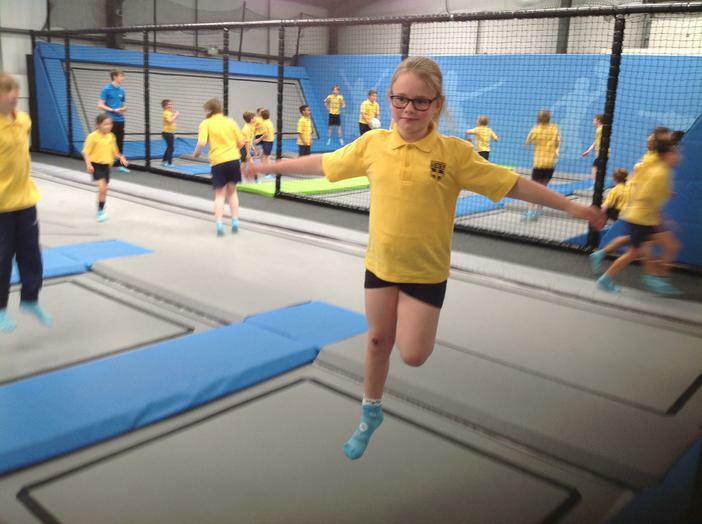 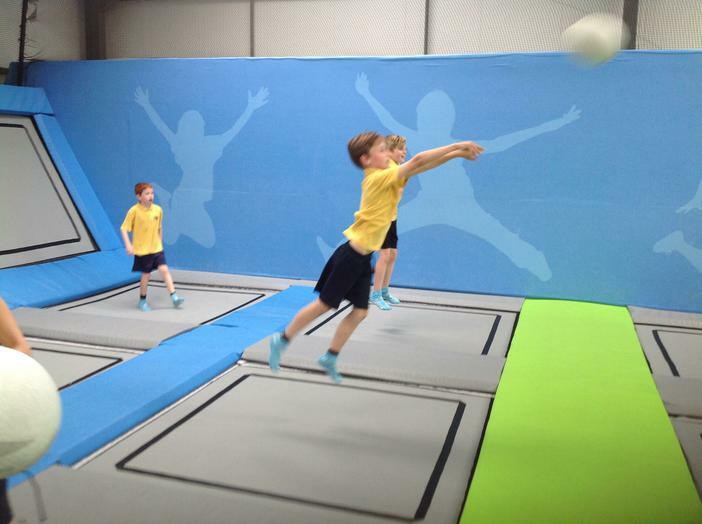 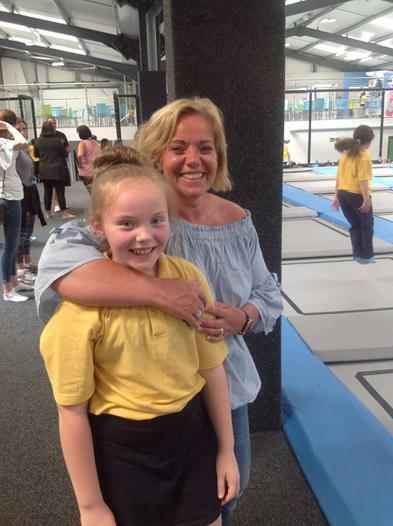 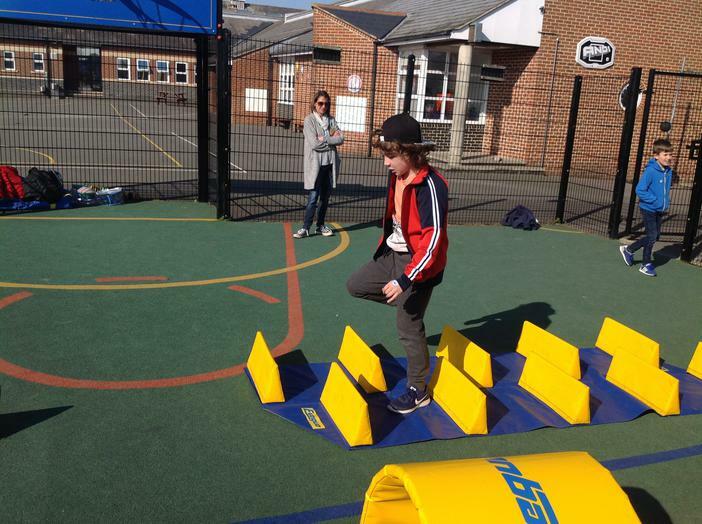 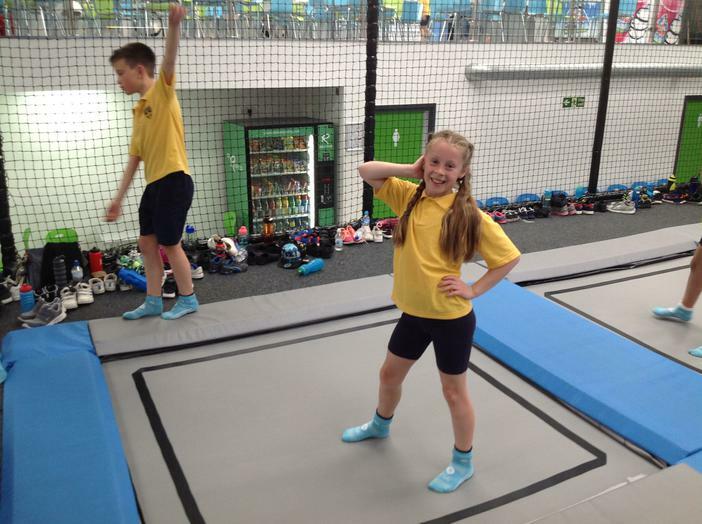 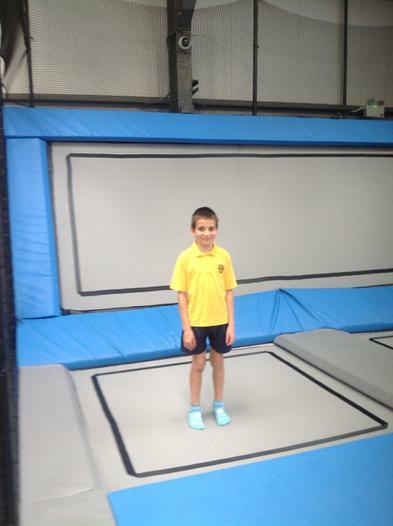 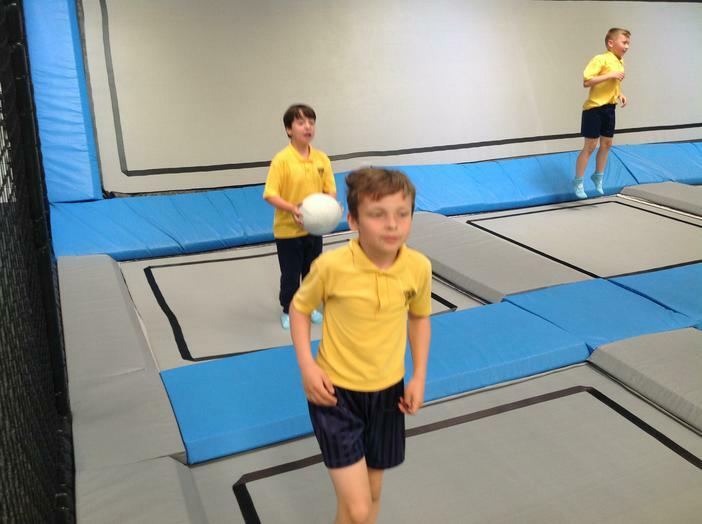 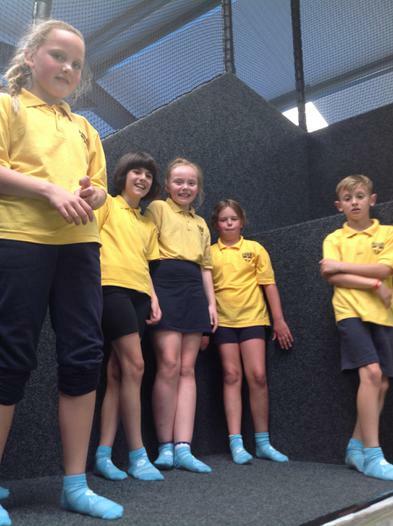 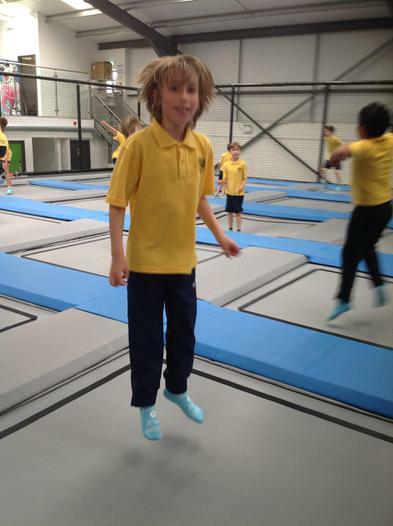 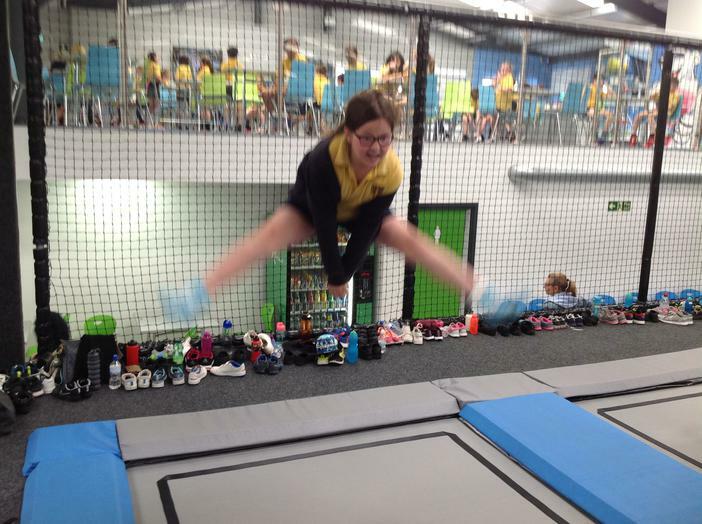 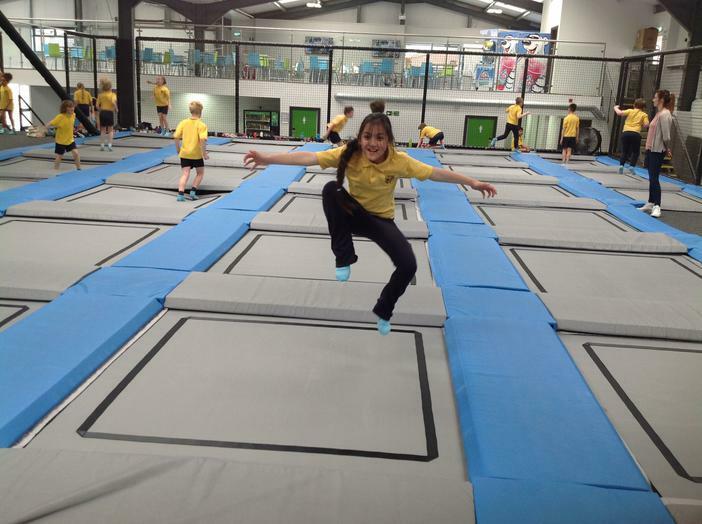 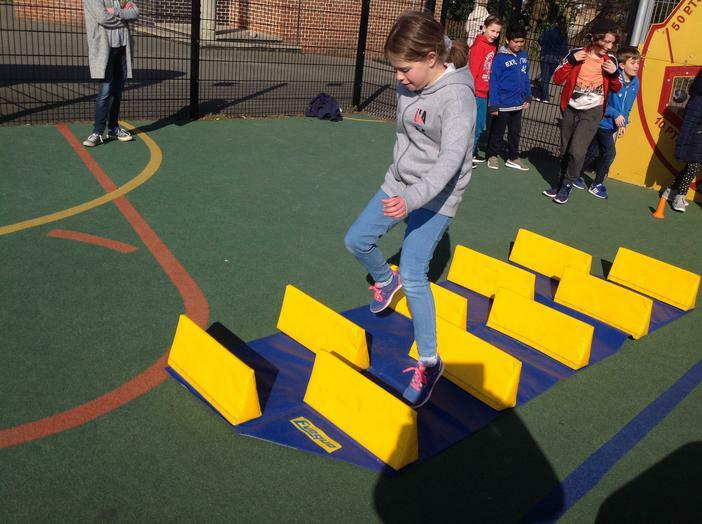 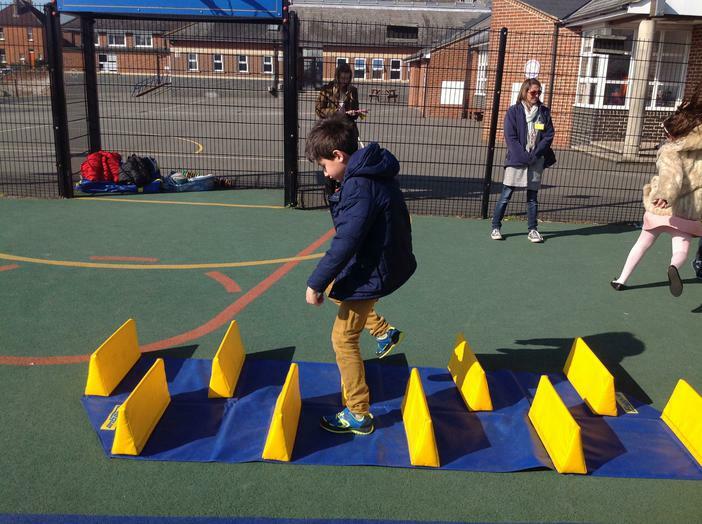 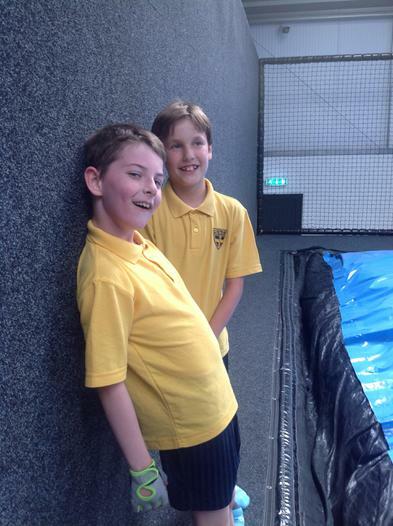 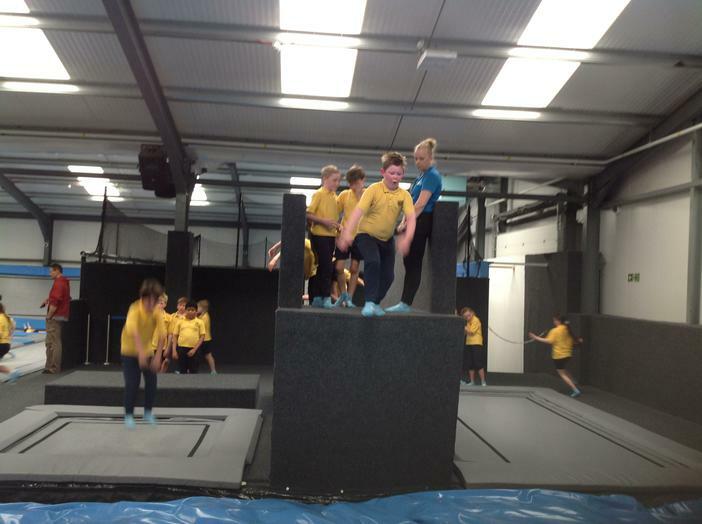 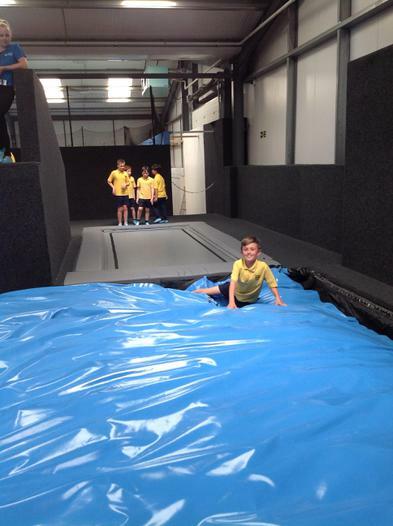 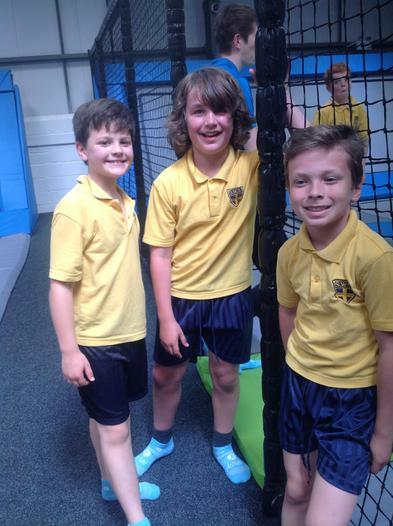 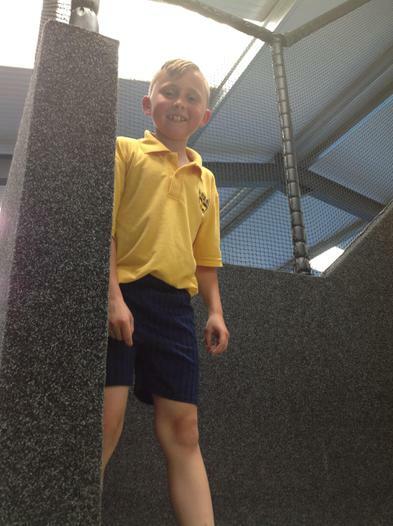 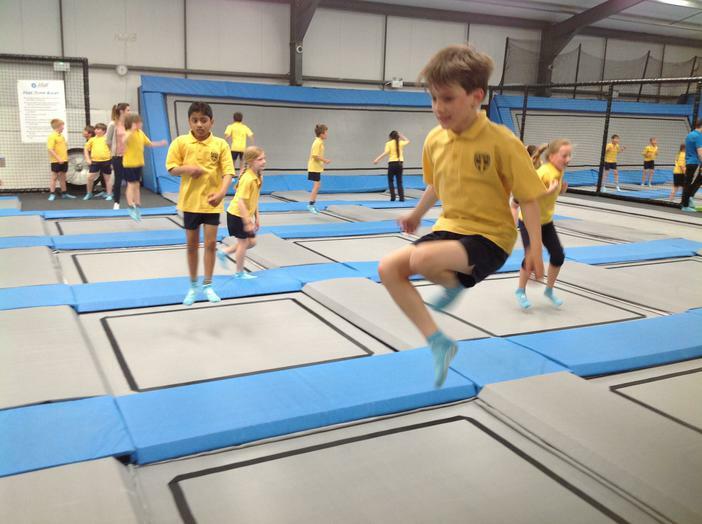 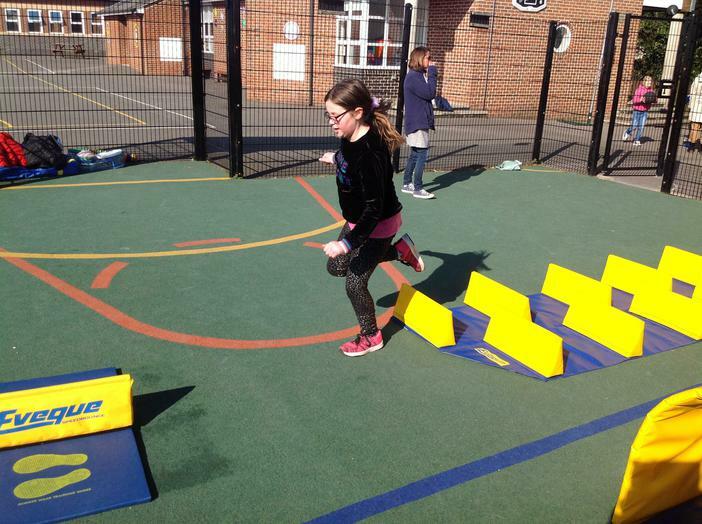 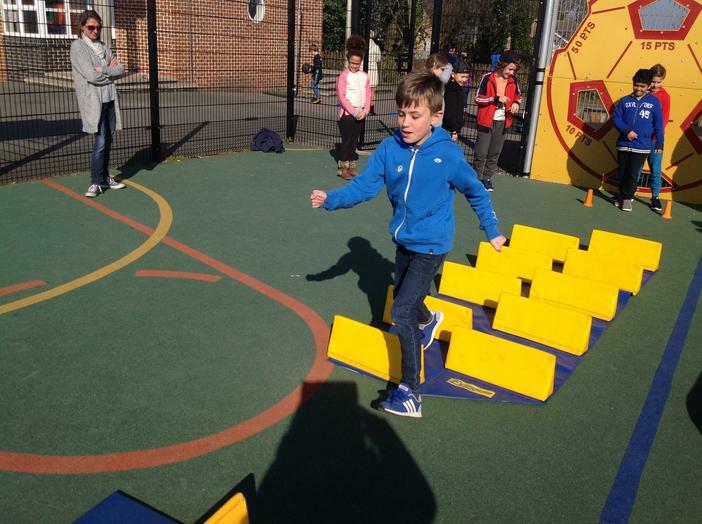 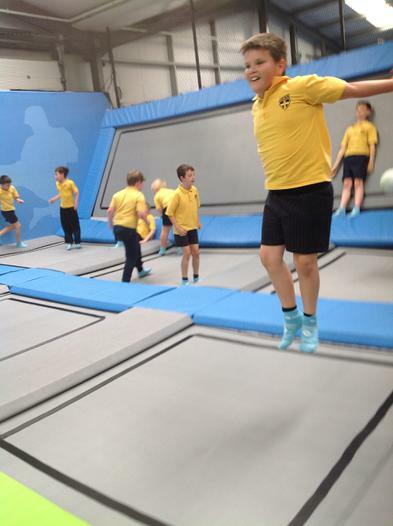 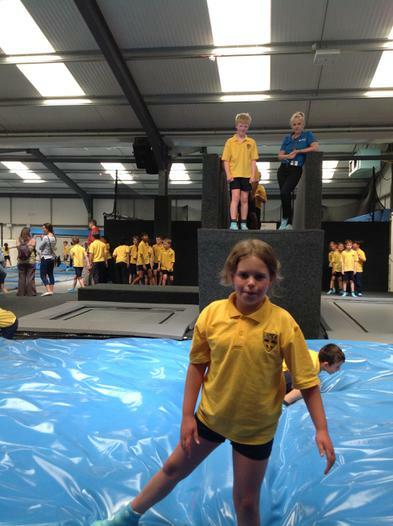 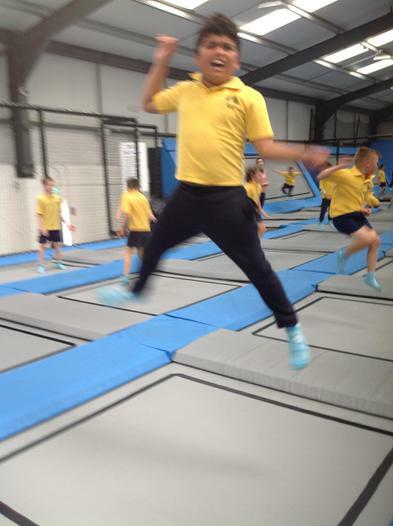 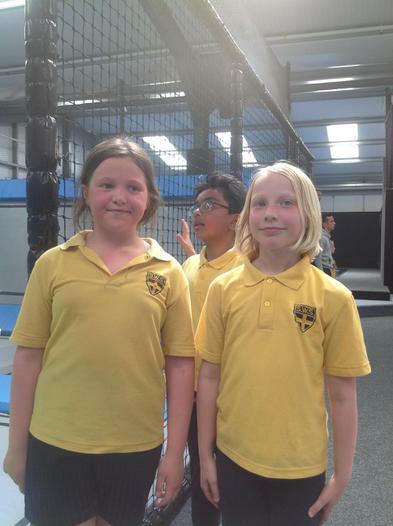 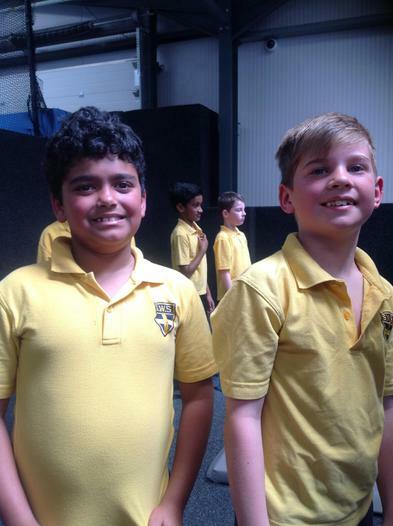 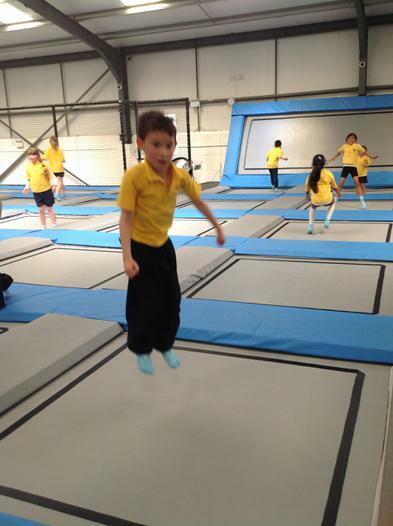 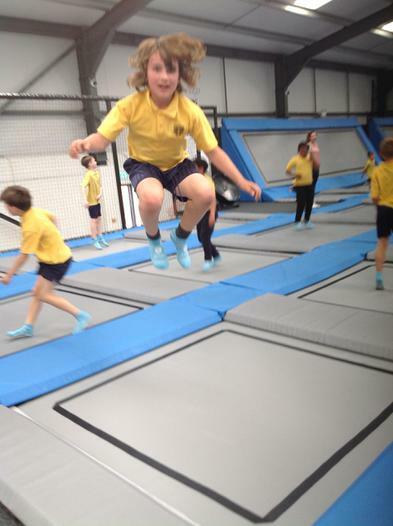 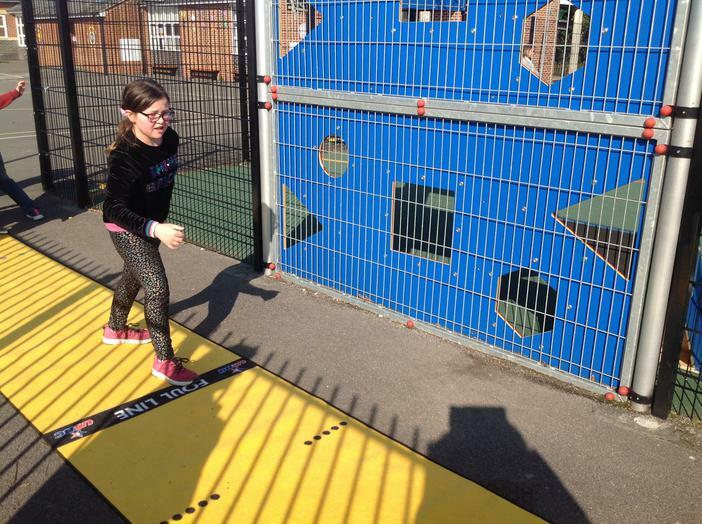 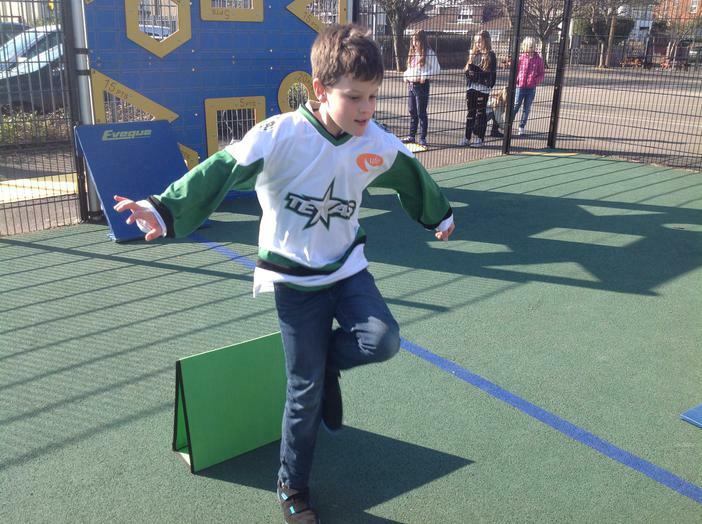 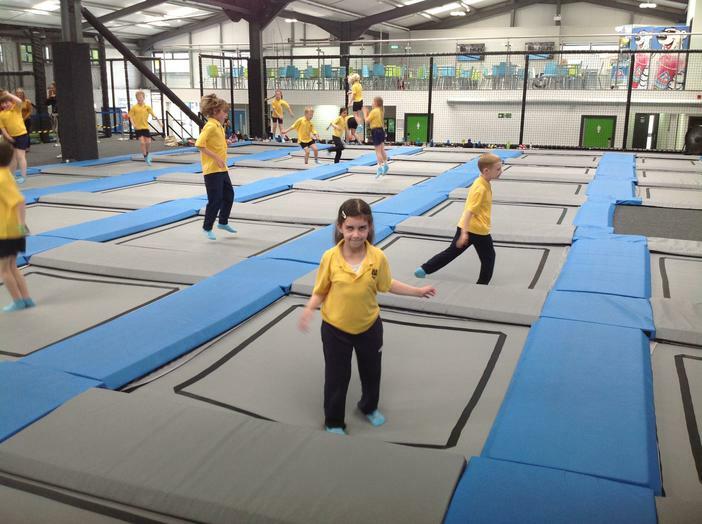 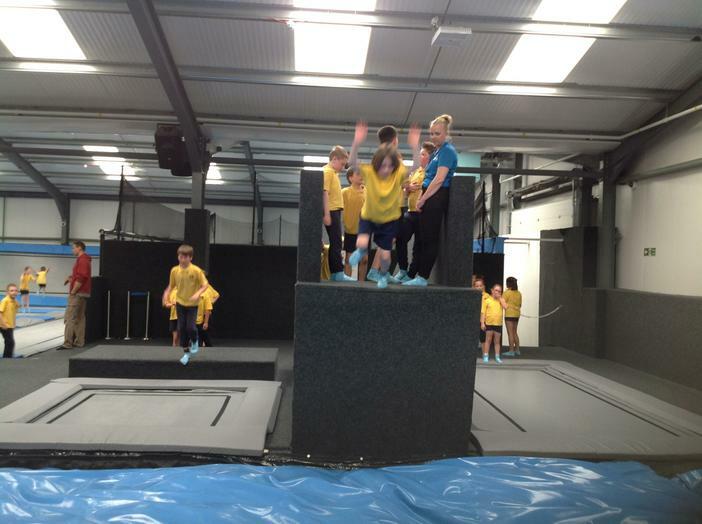 We had a bouncing good time at activate as part of our sport's week. 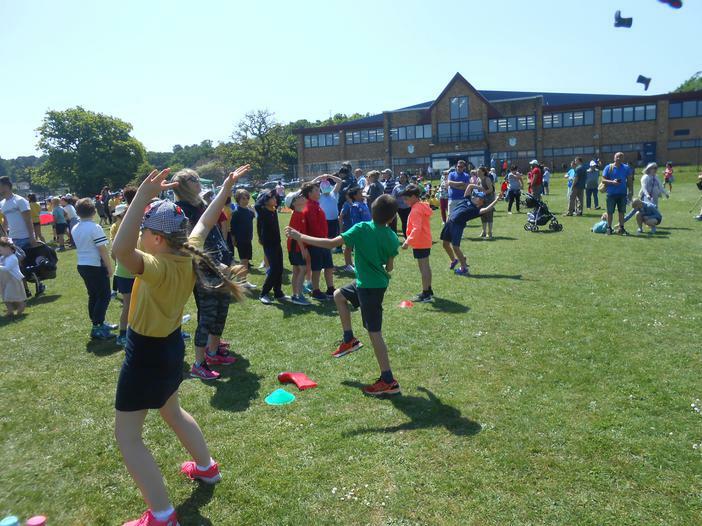 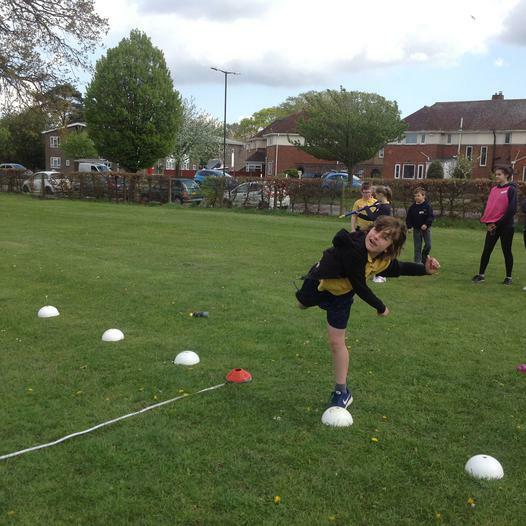 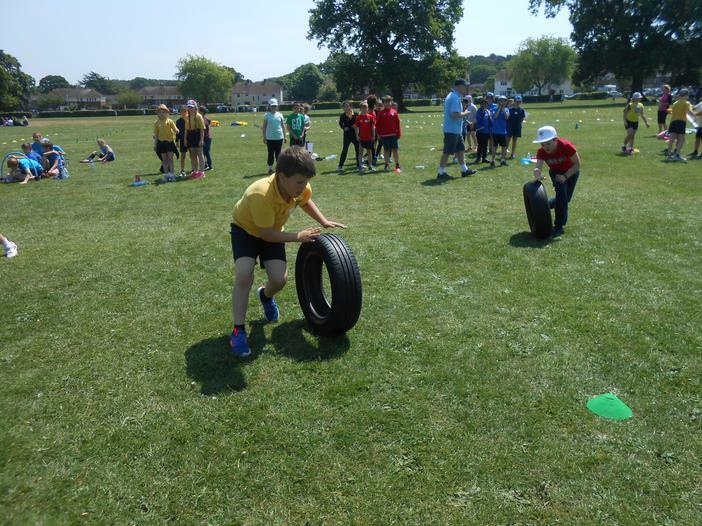 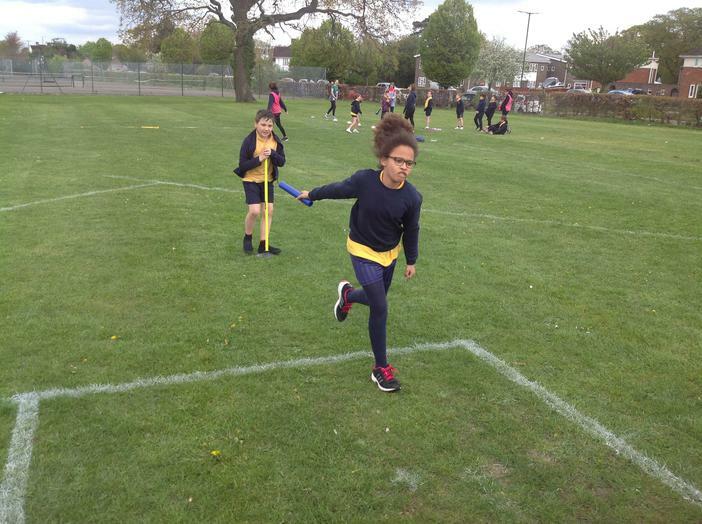 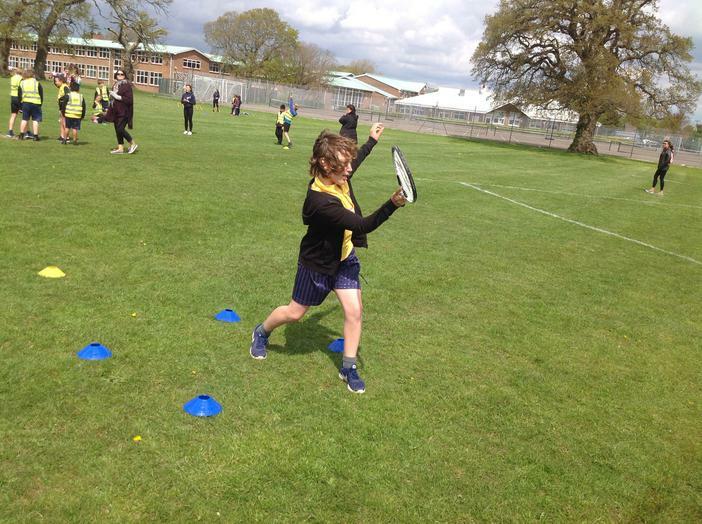 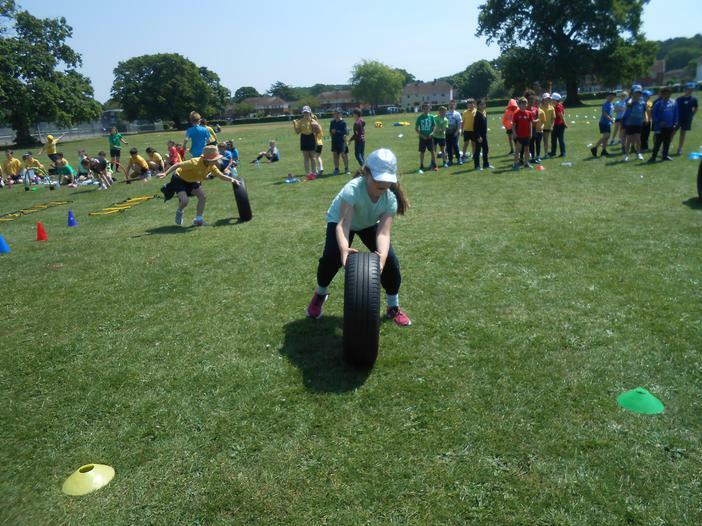 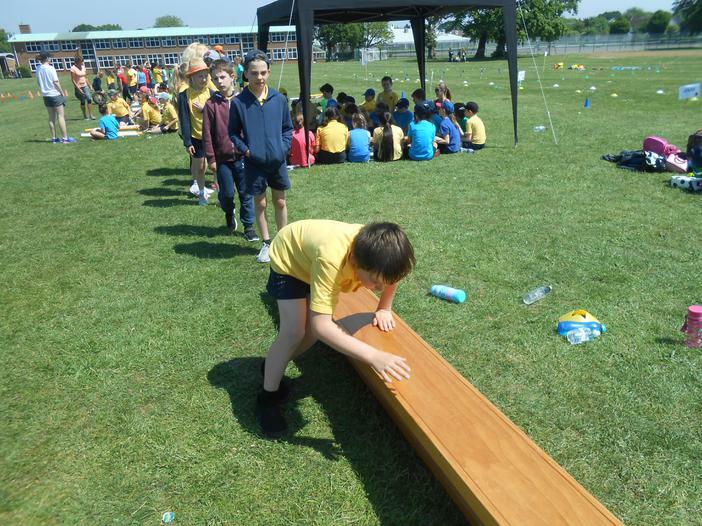 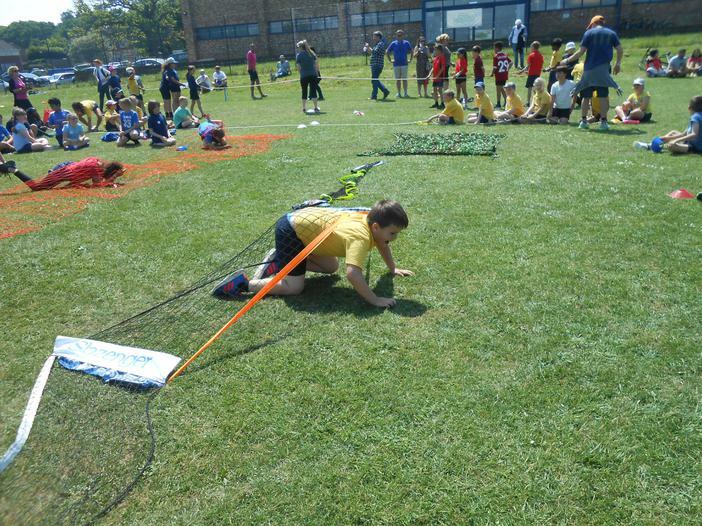 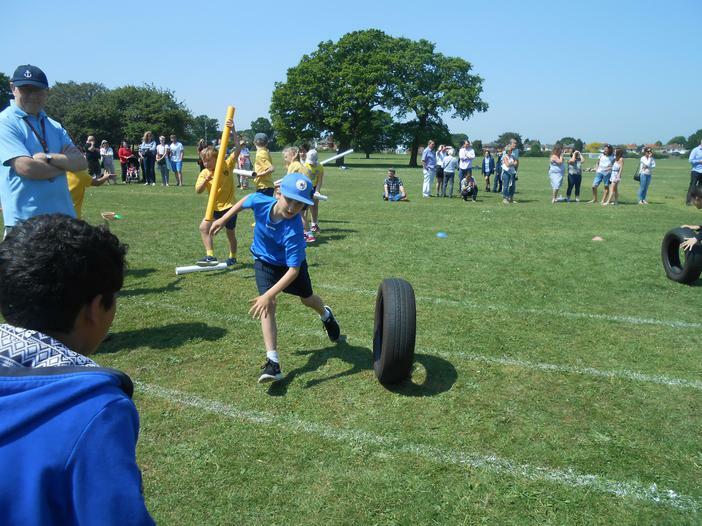 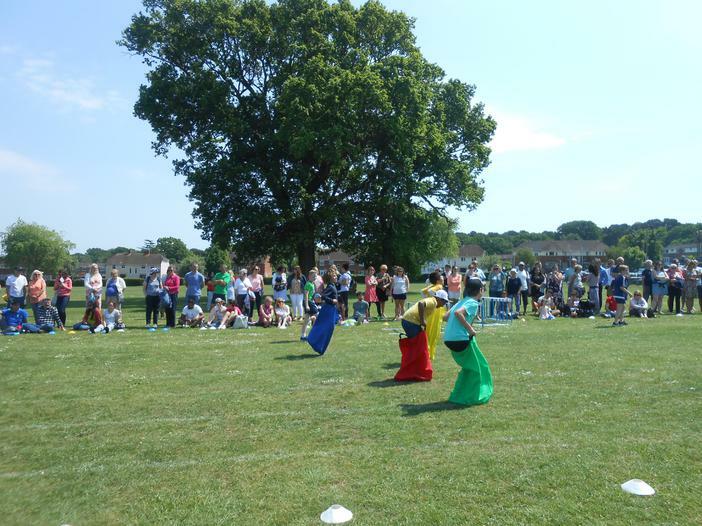 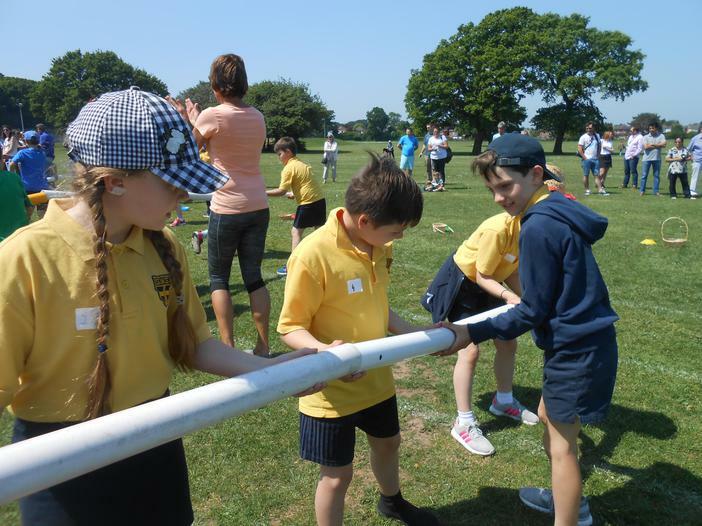 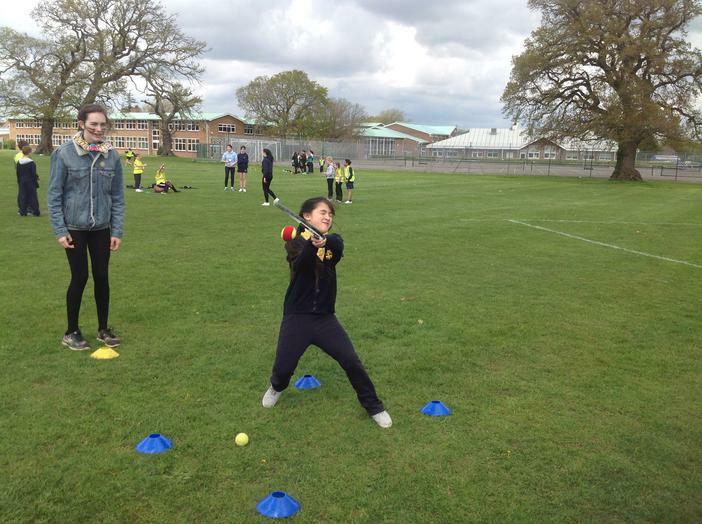 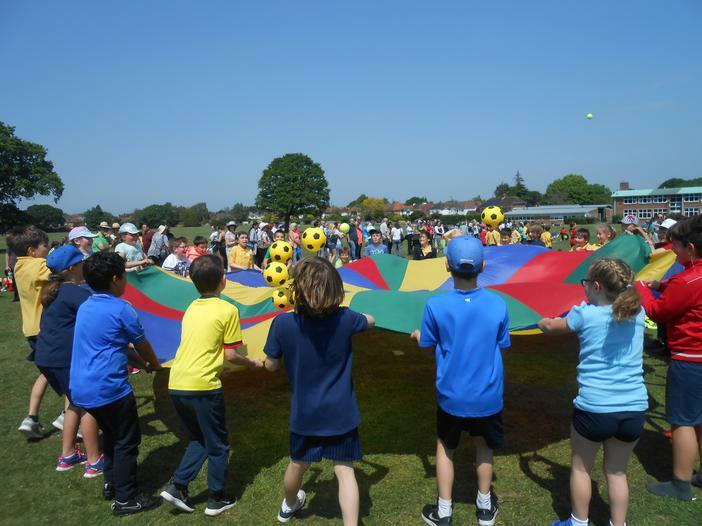 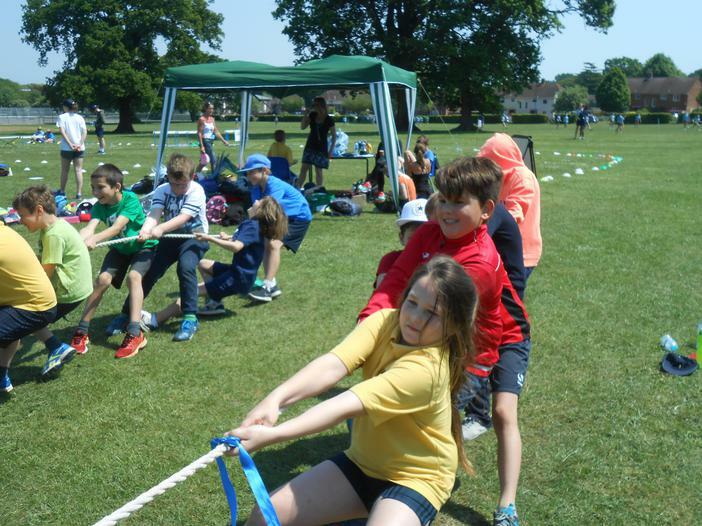 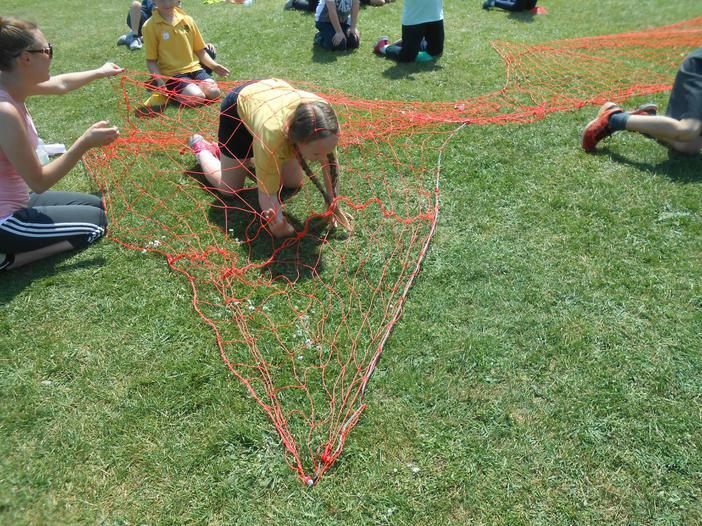 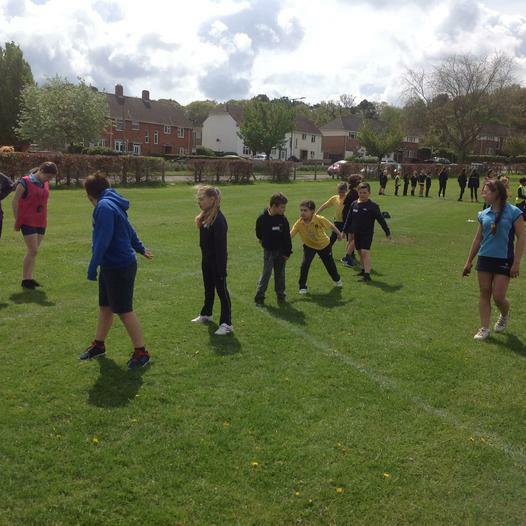 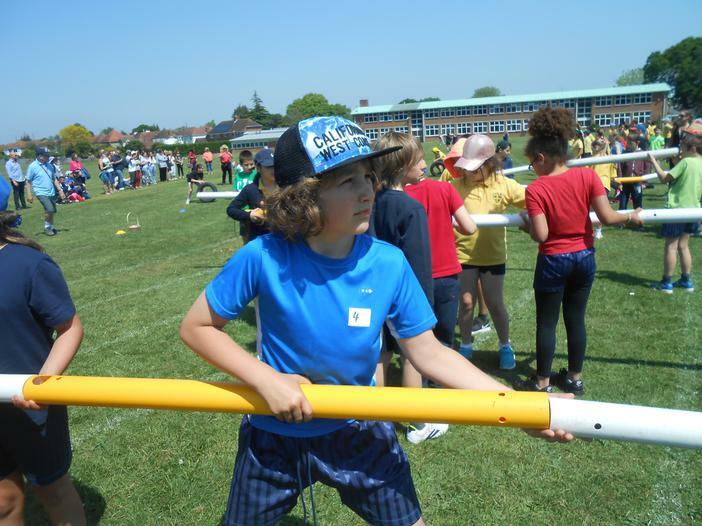 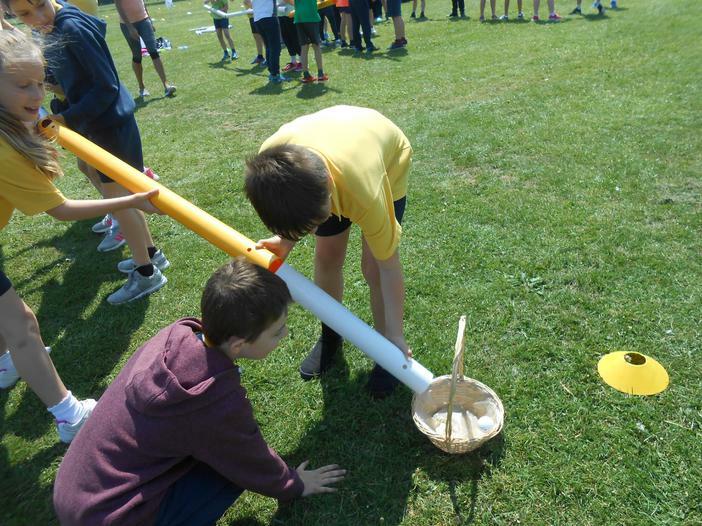 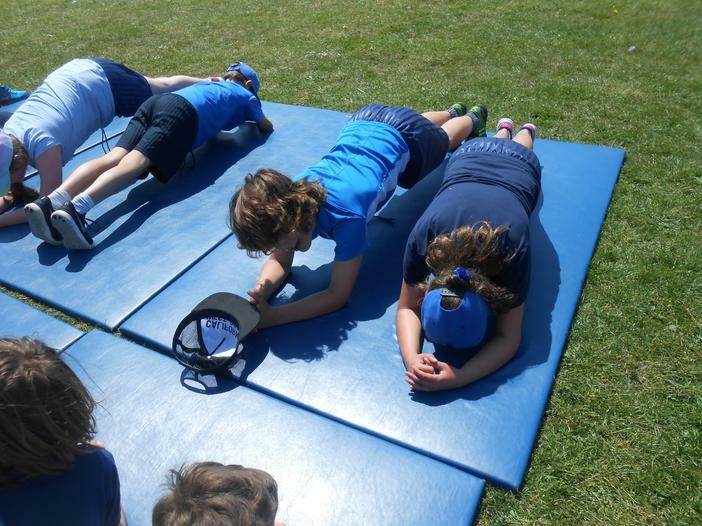 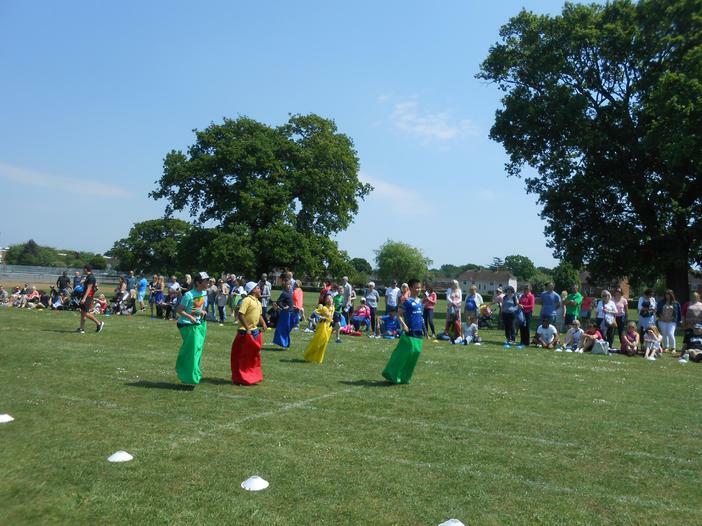 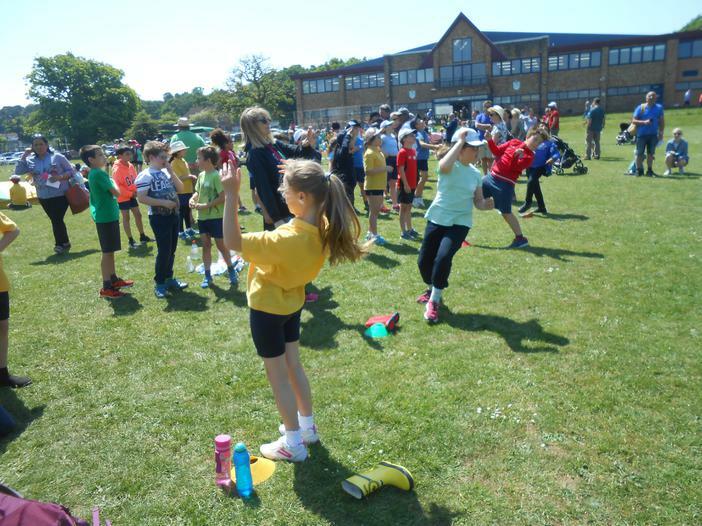 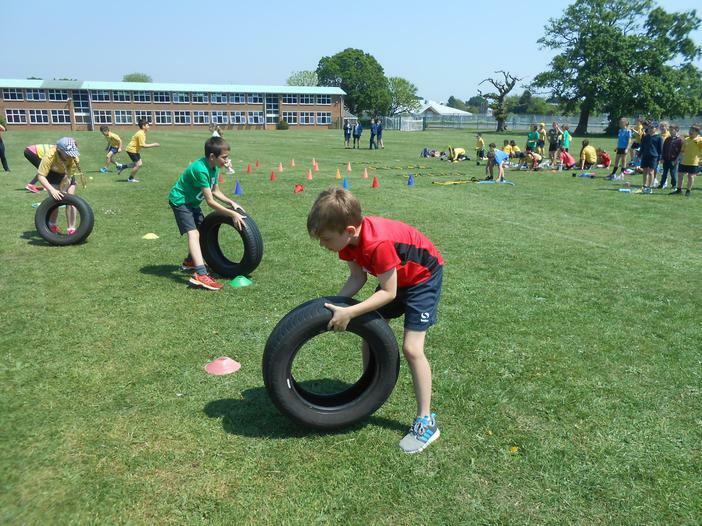 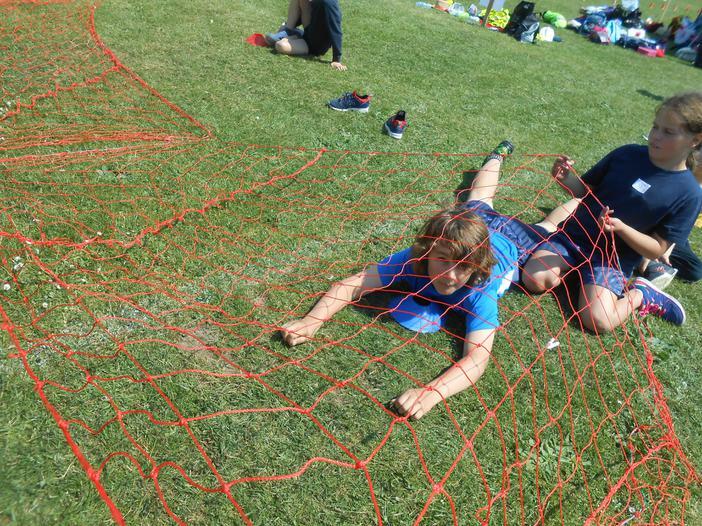 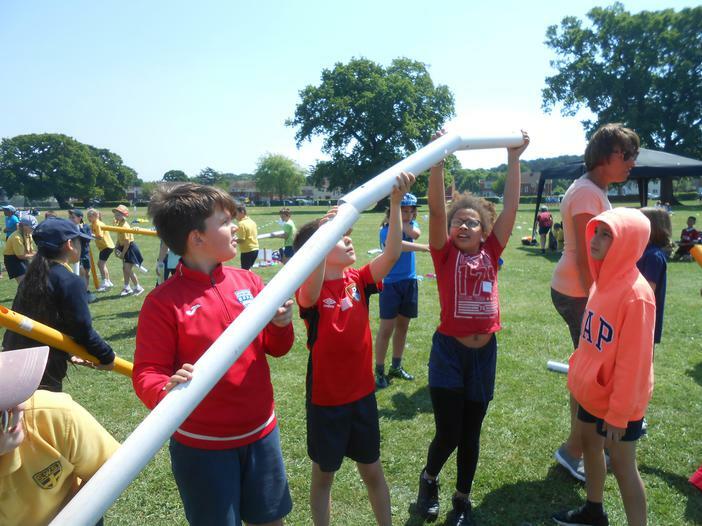 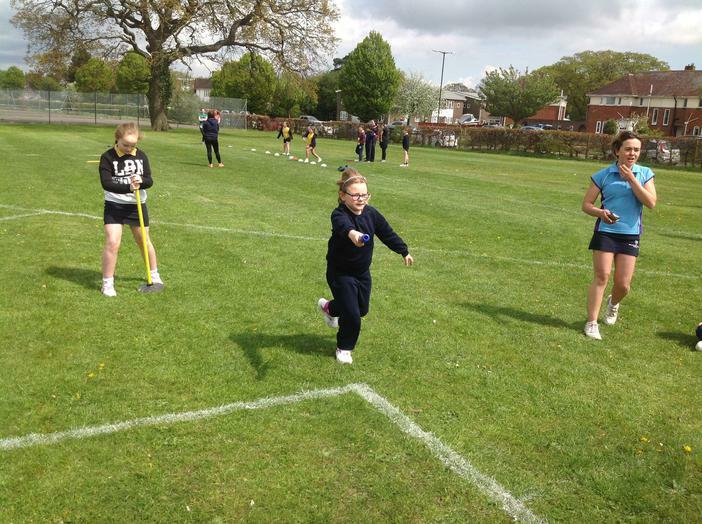 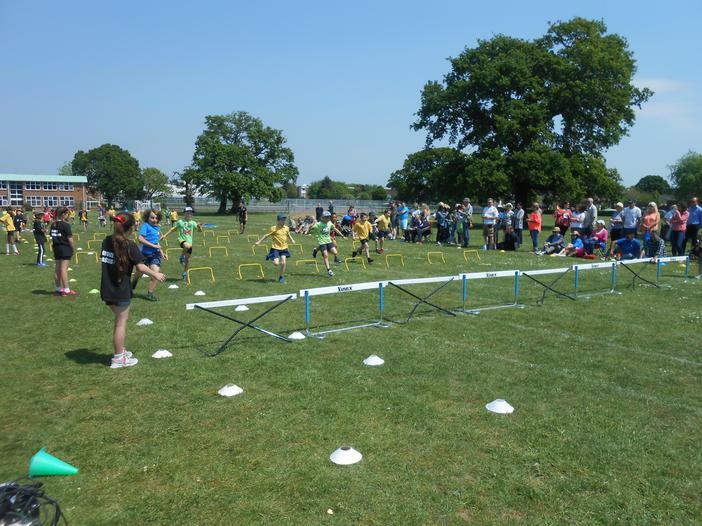 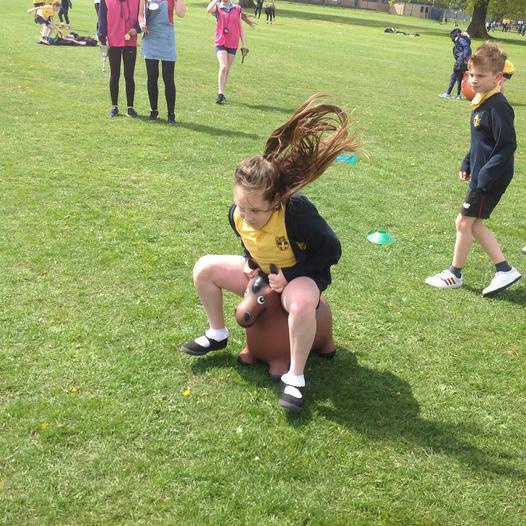 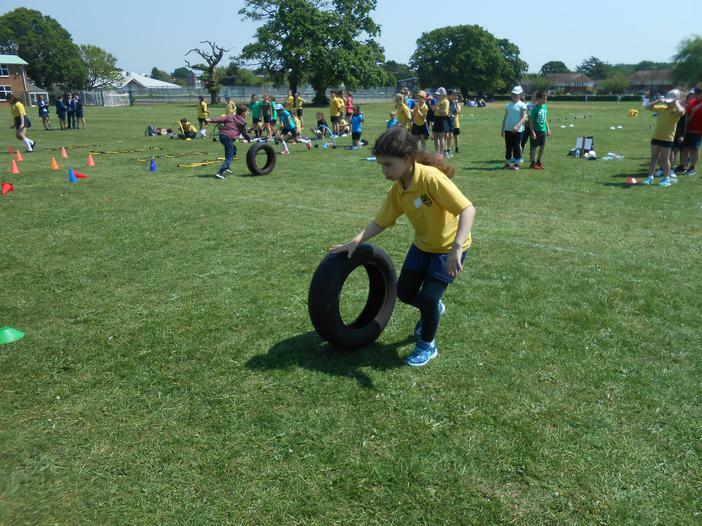 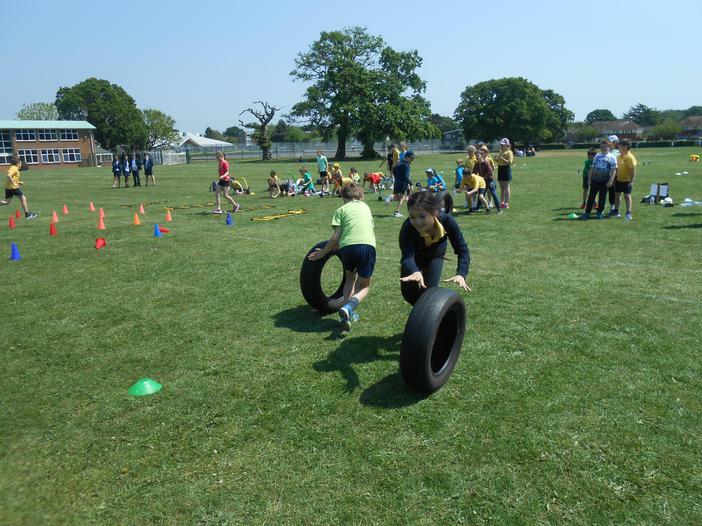 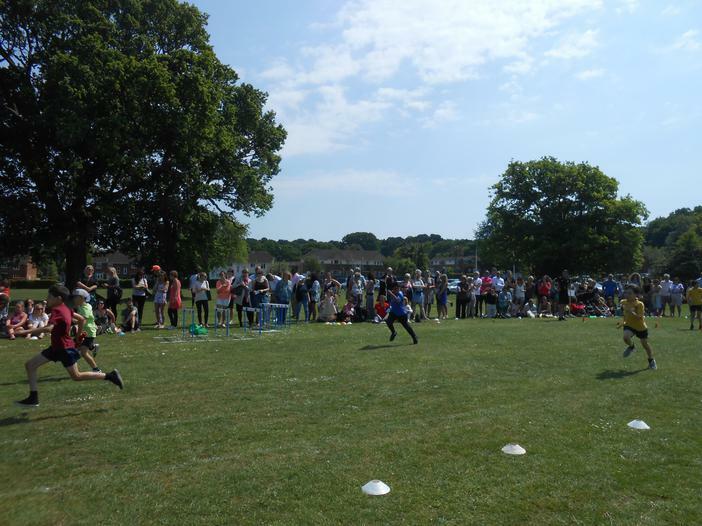 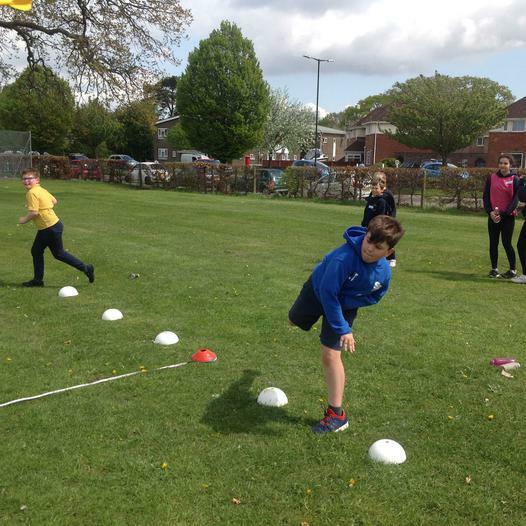 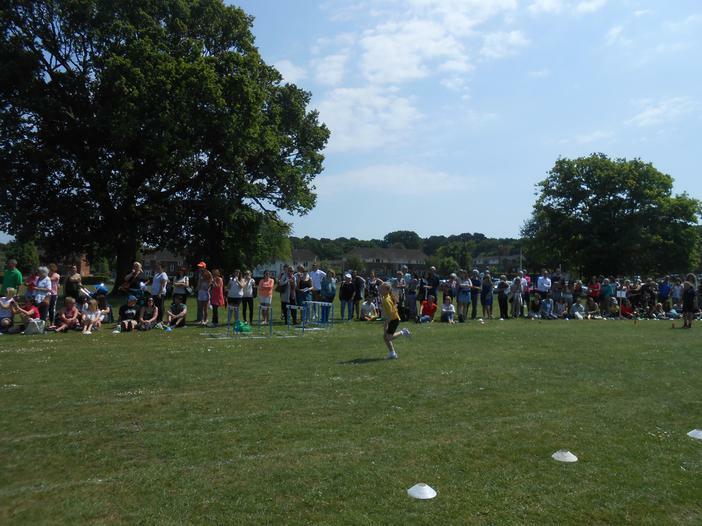 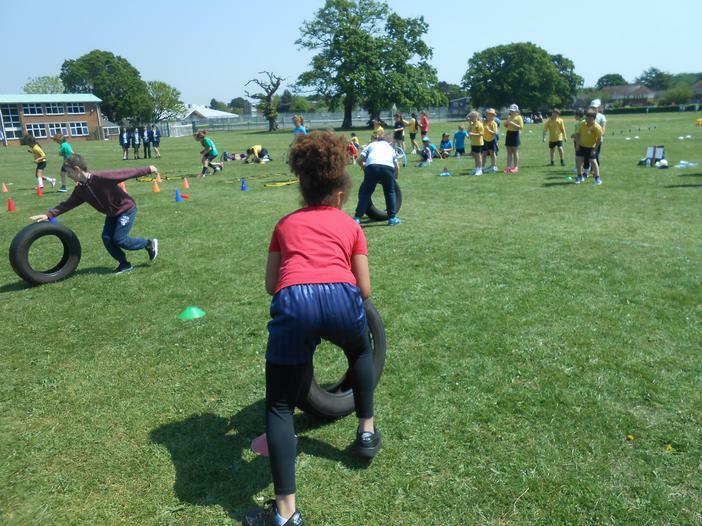 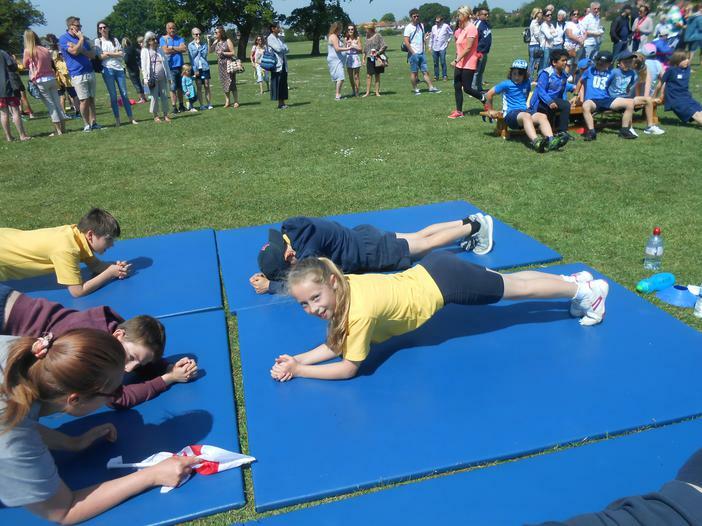 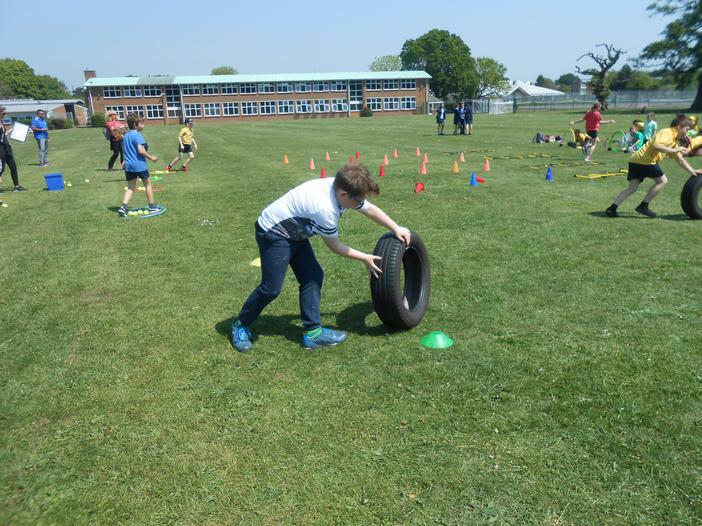 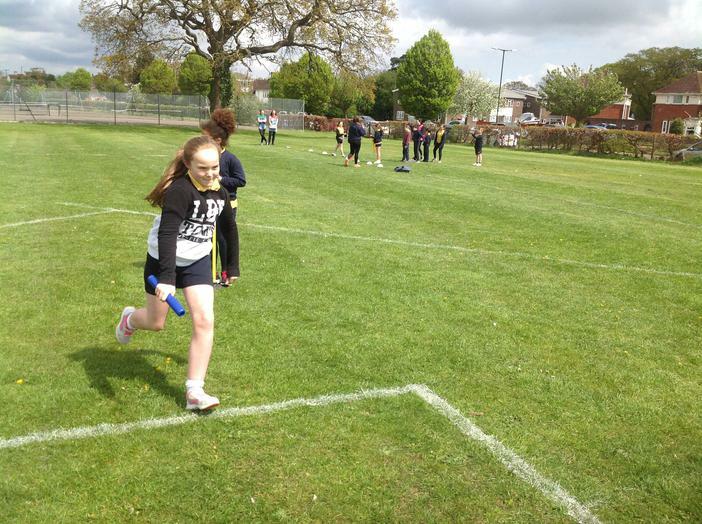 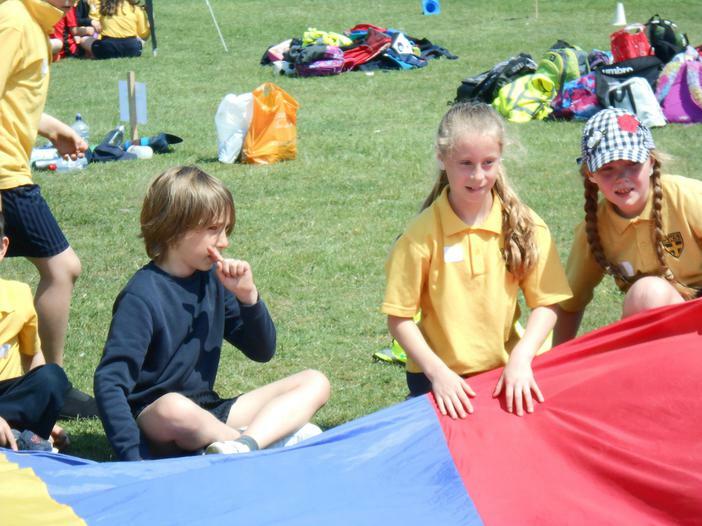 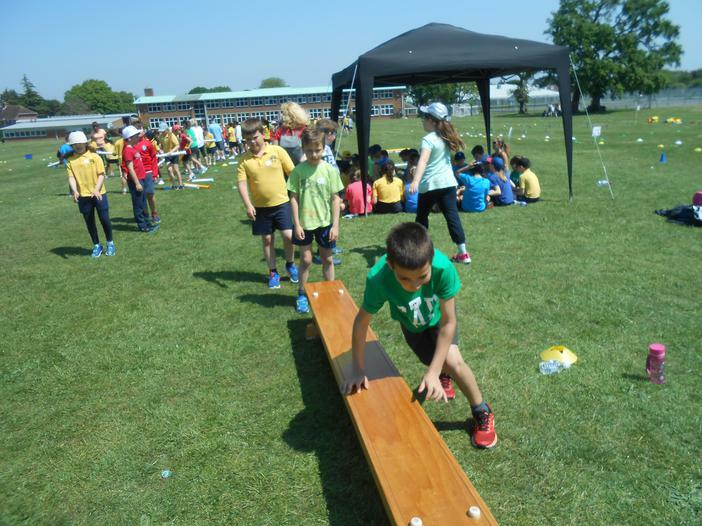 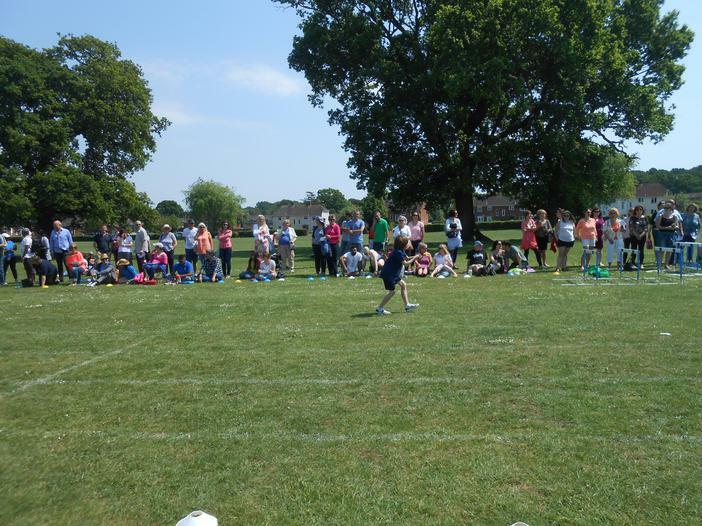 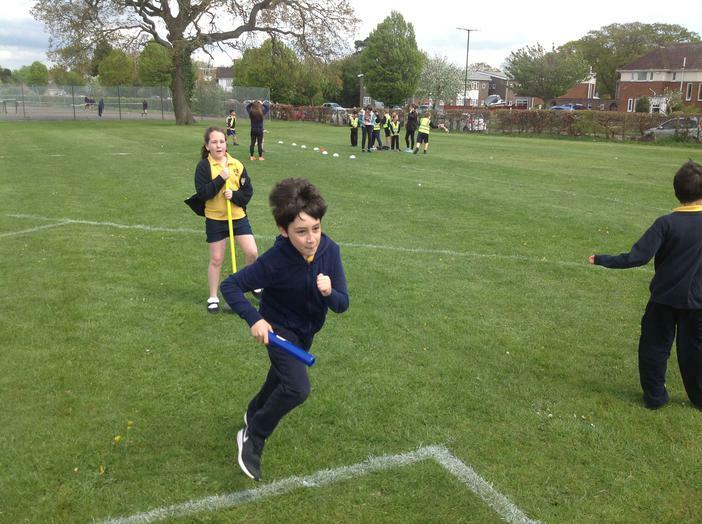 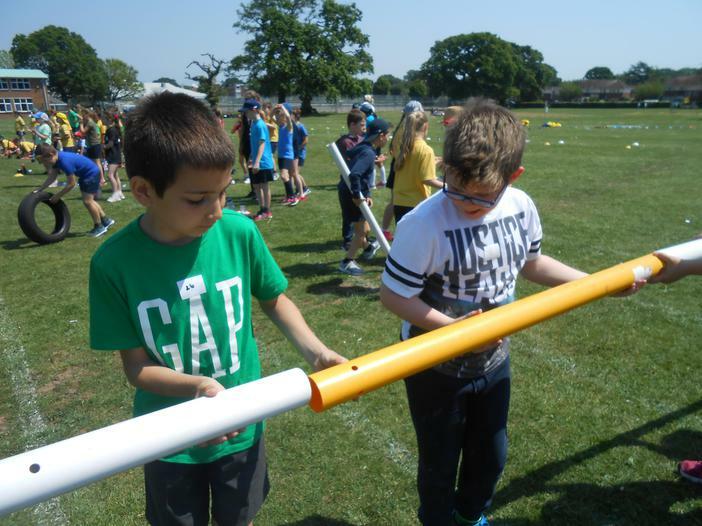 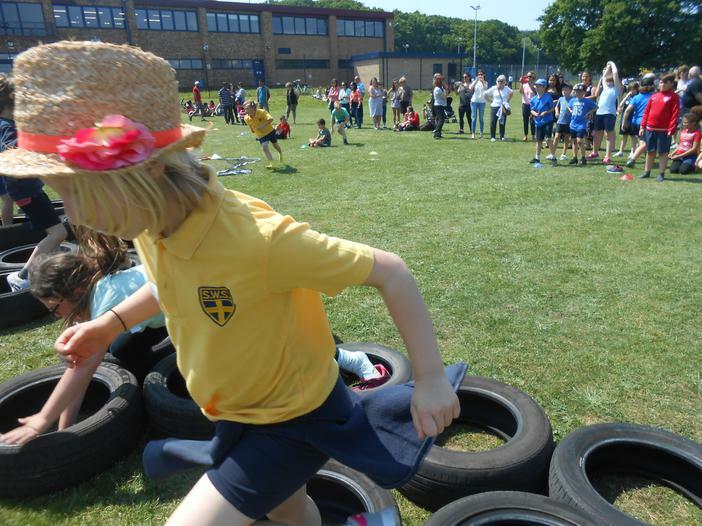 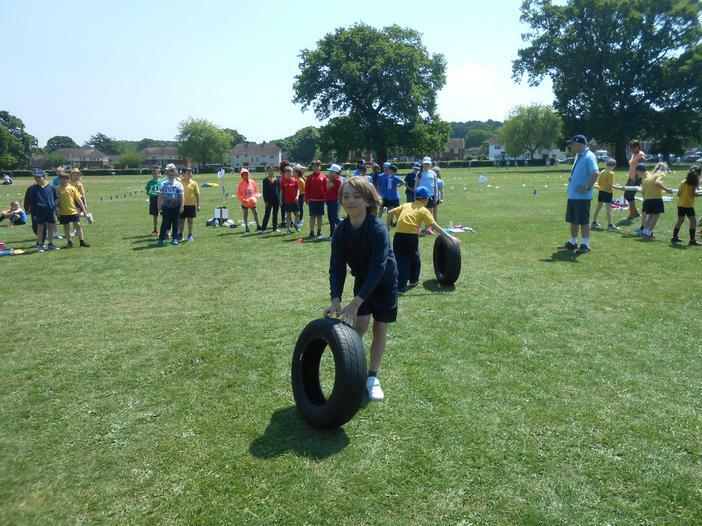 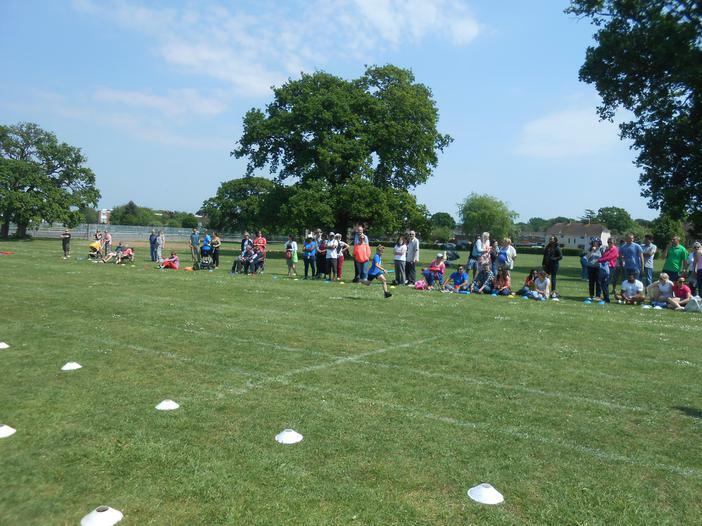 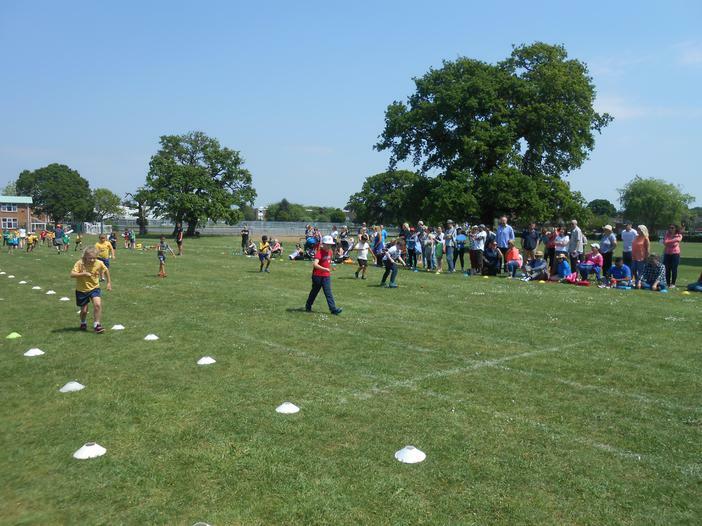 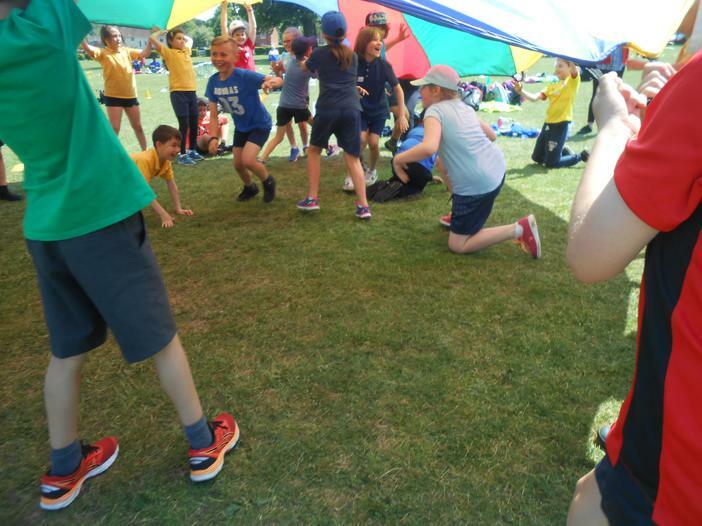 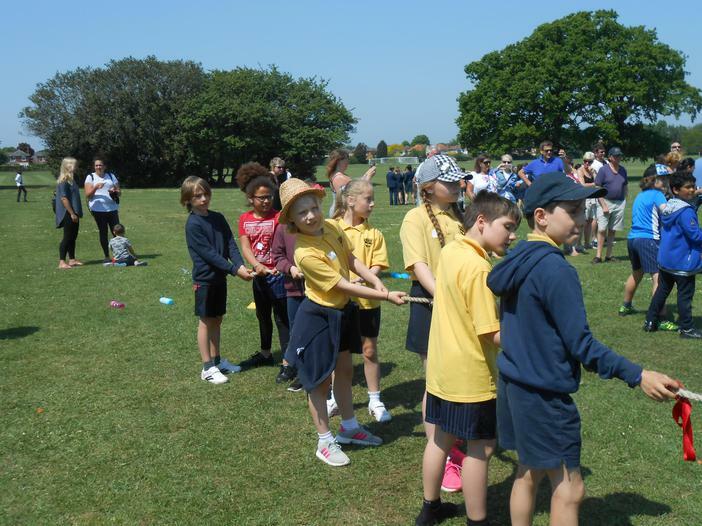 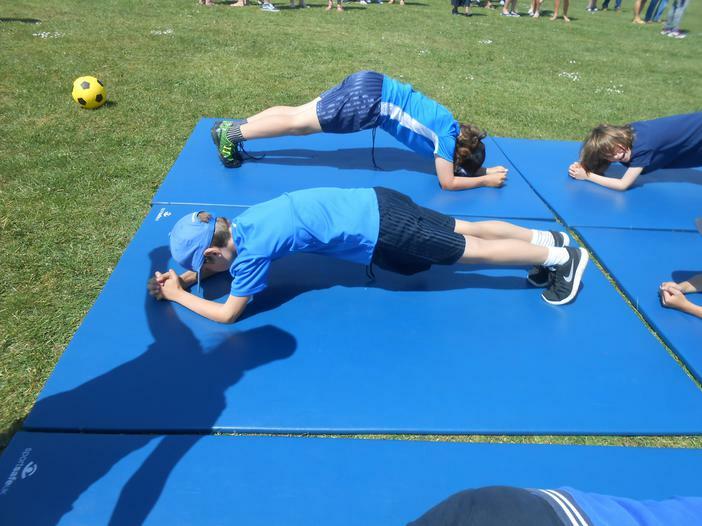 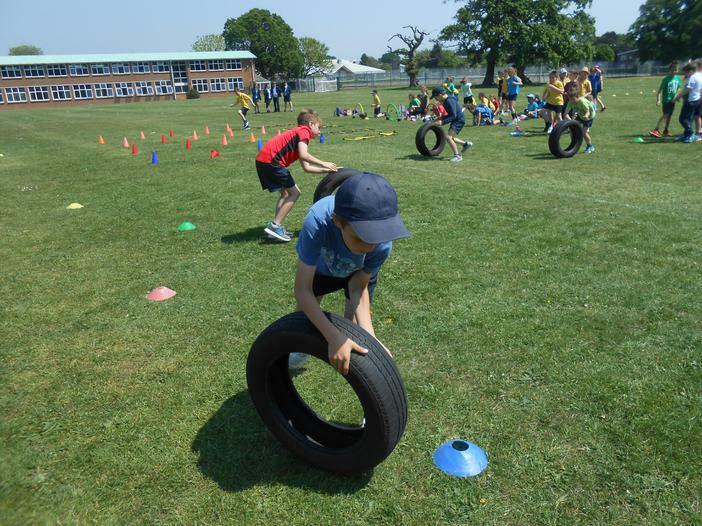 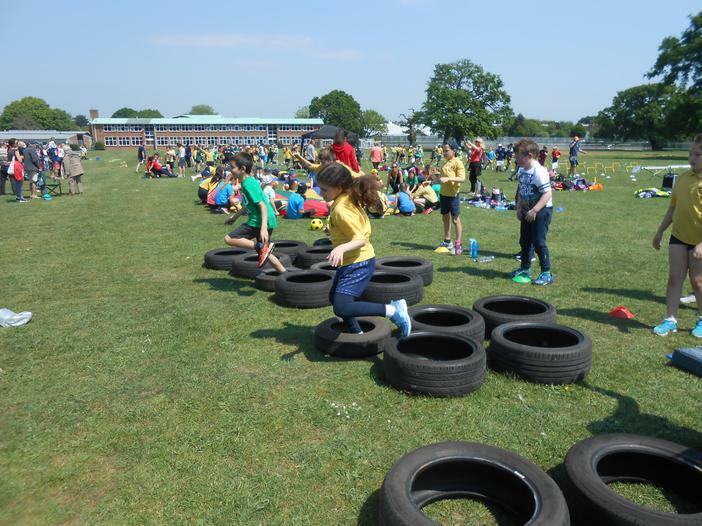 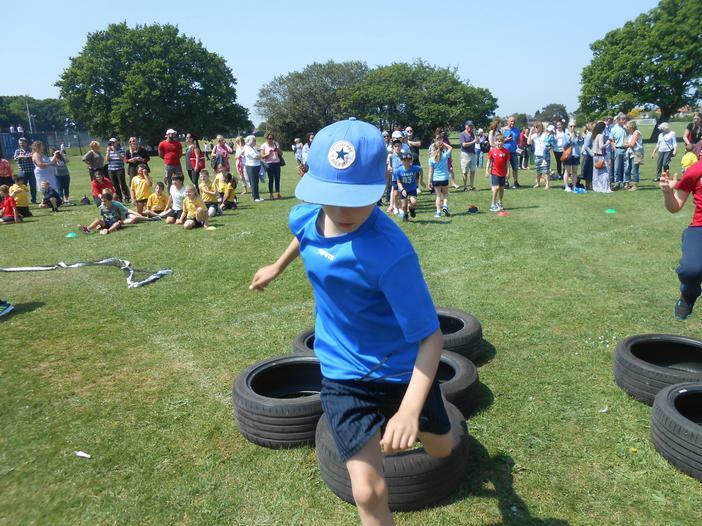 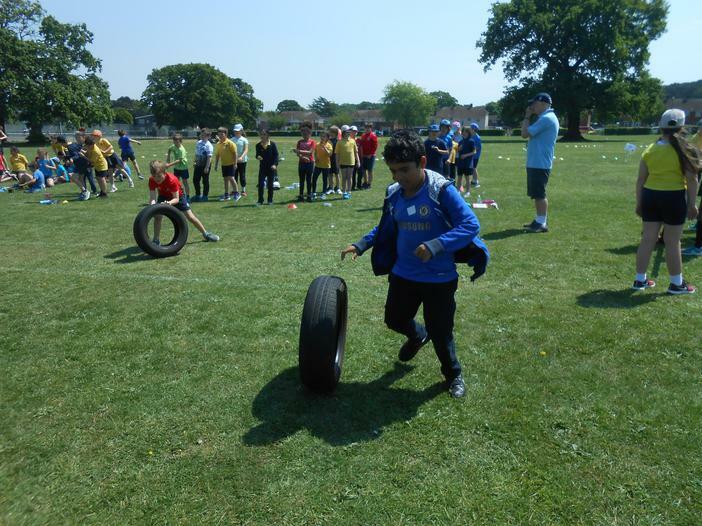 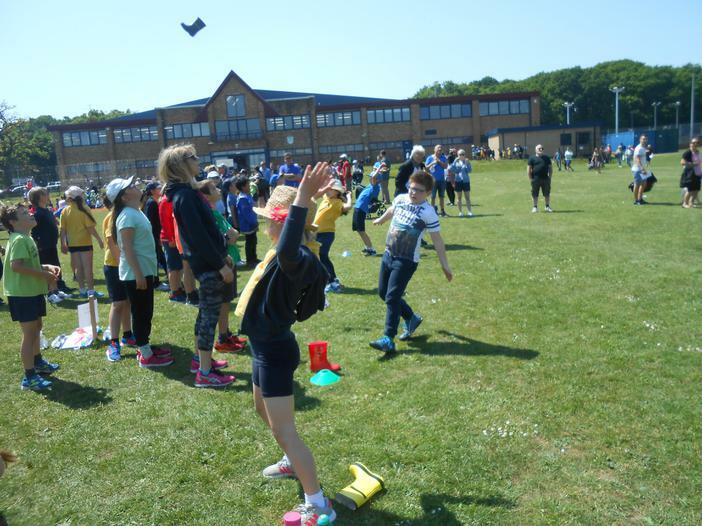 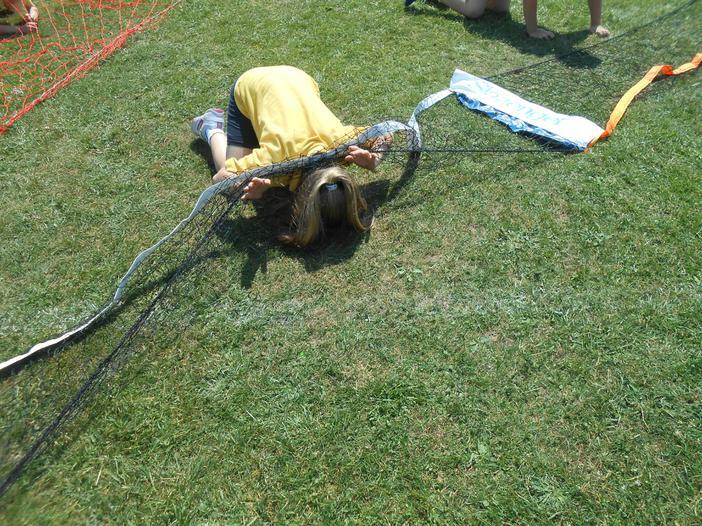 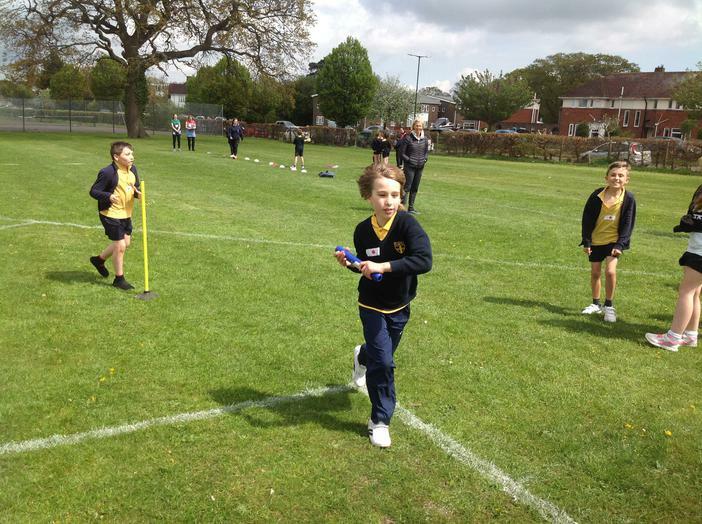 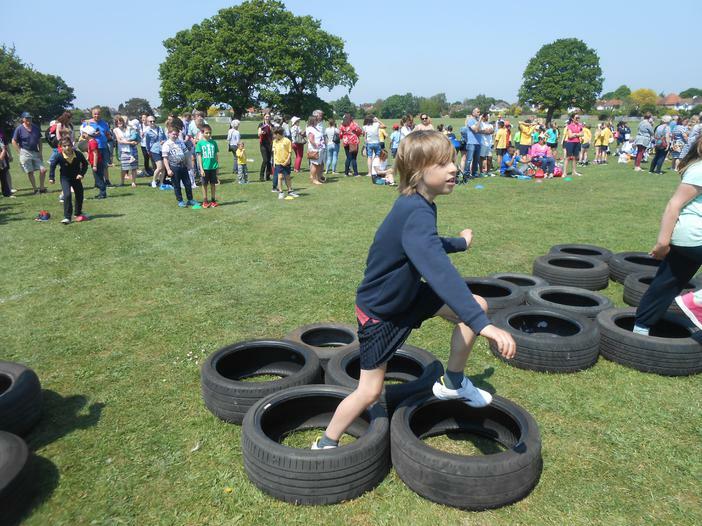 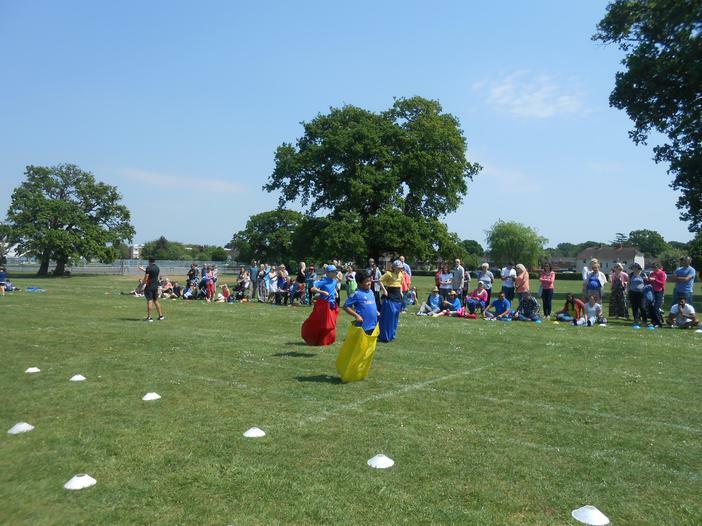 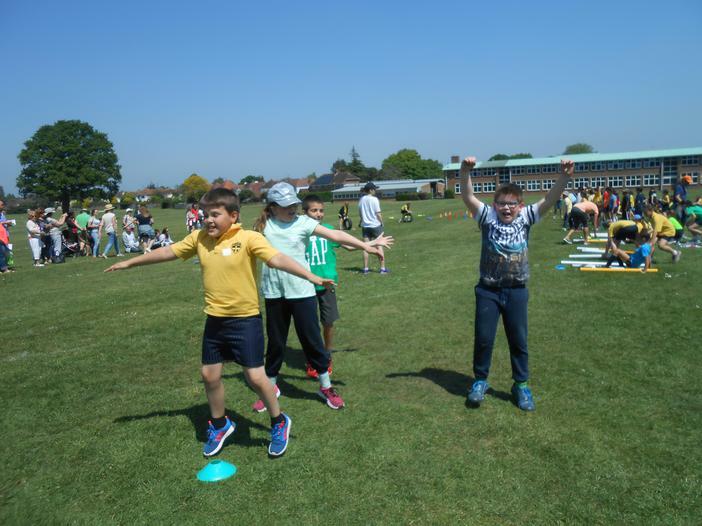 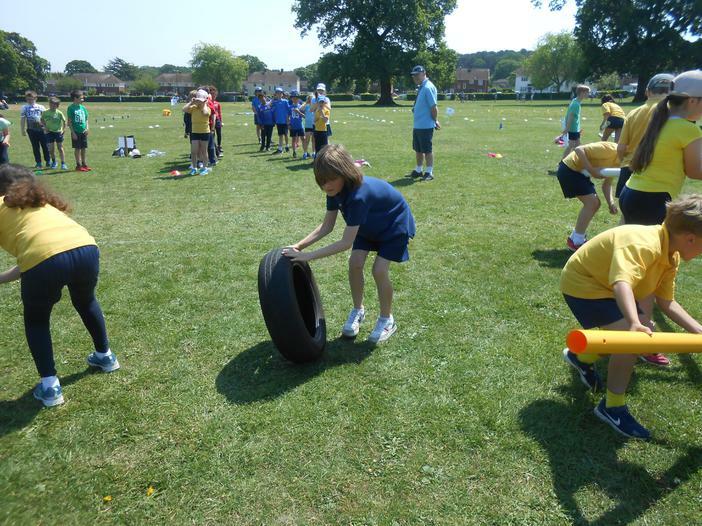 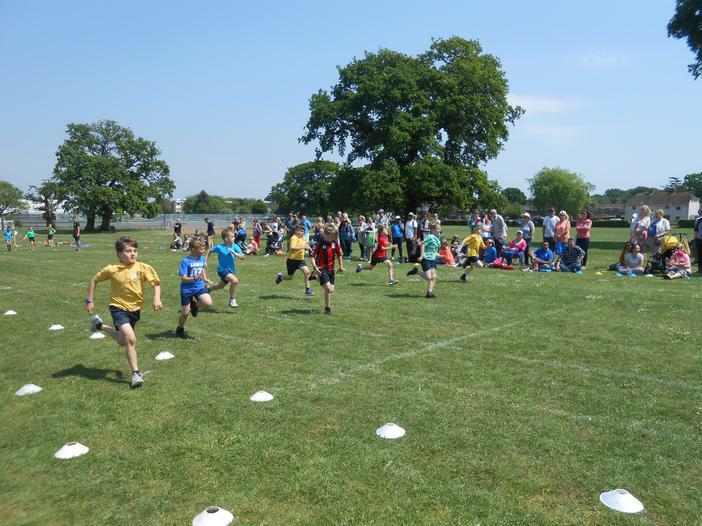 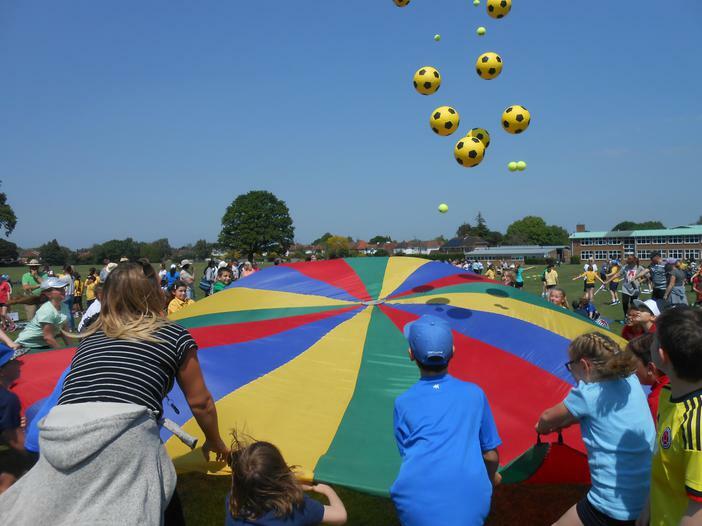 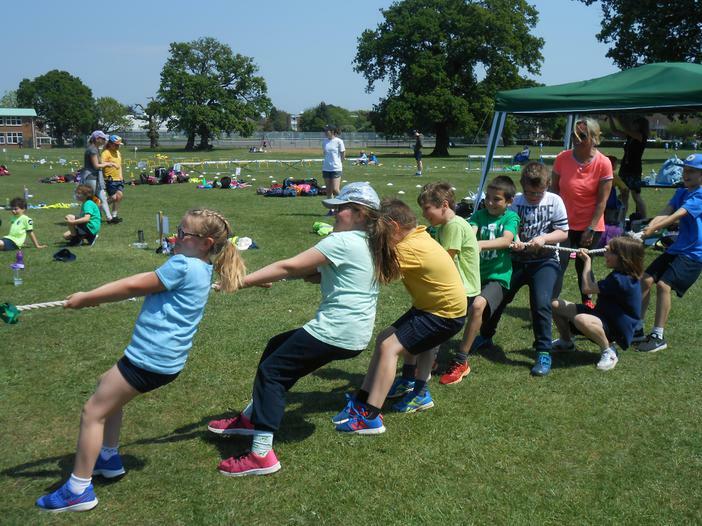 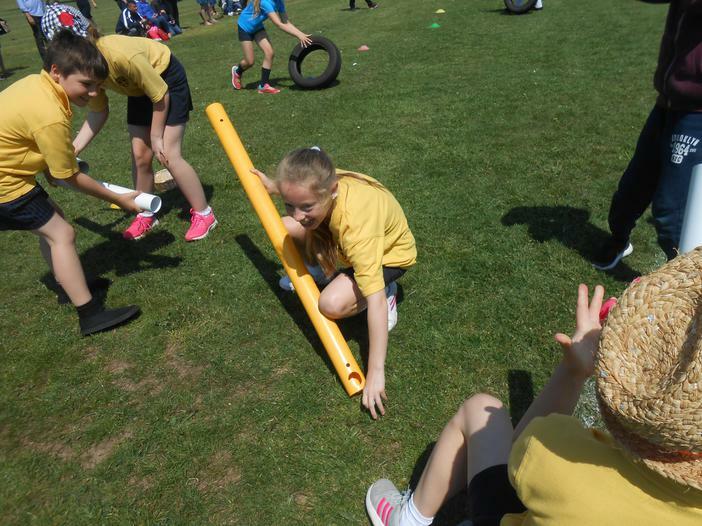 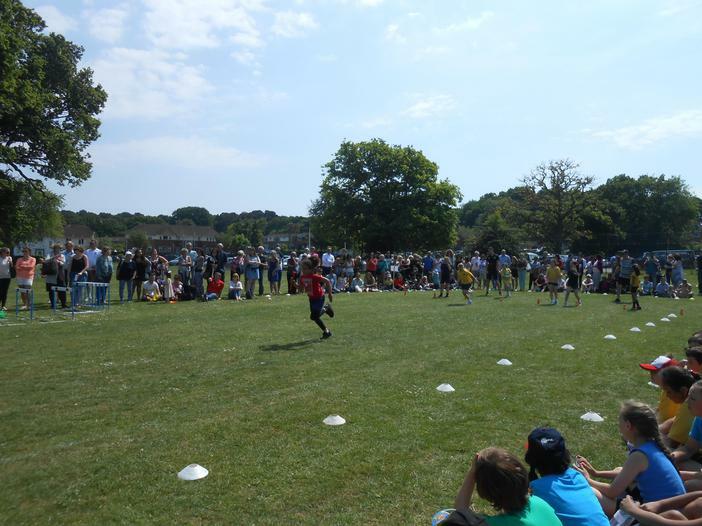 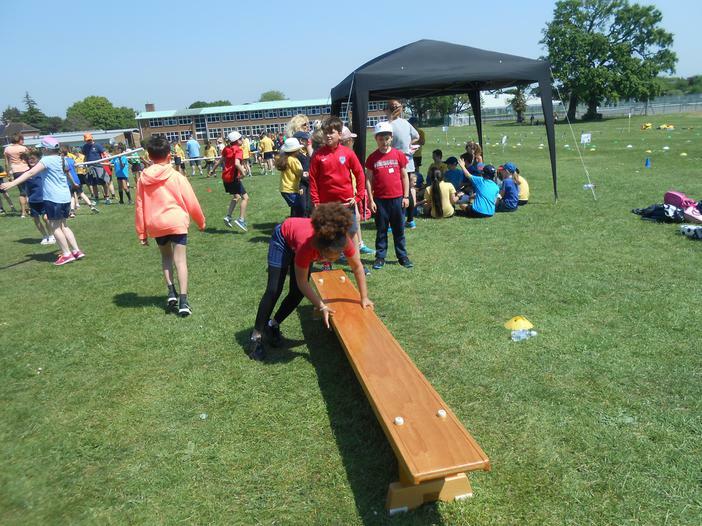 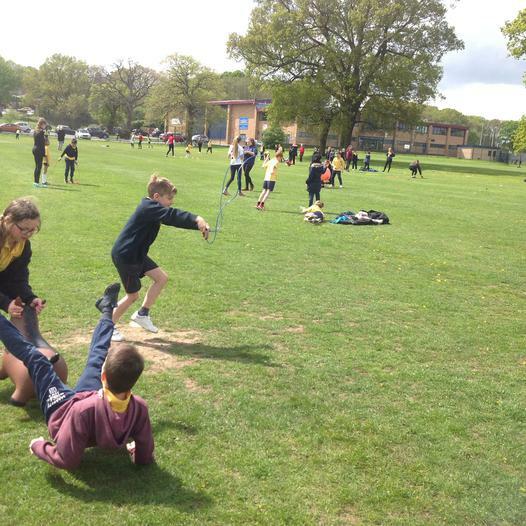 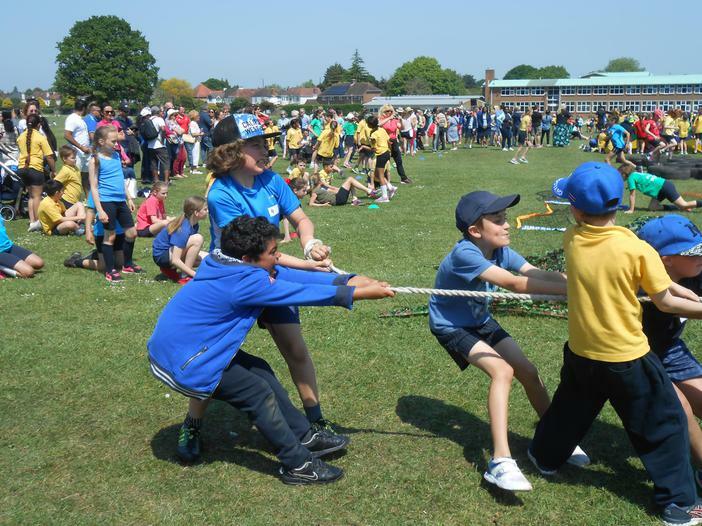 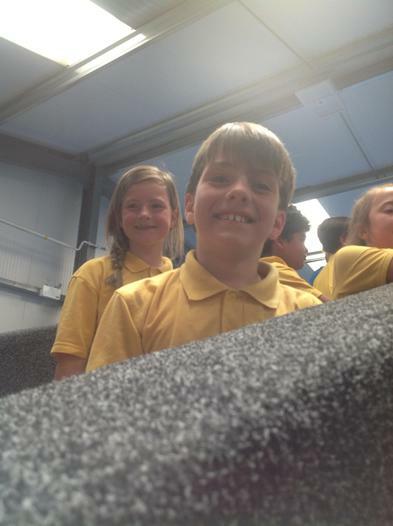 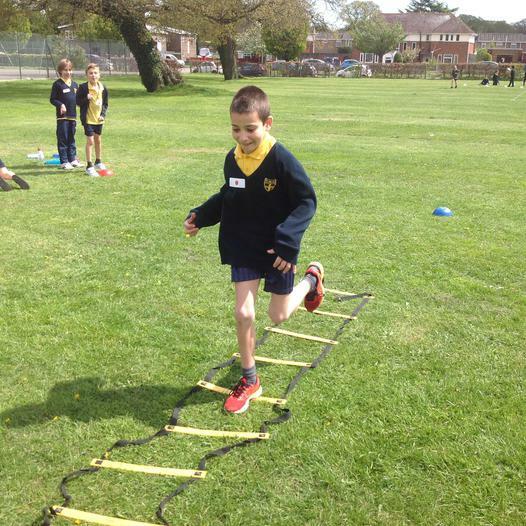 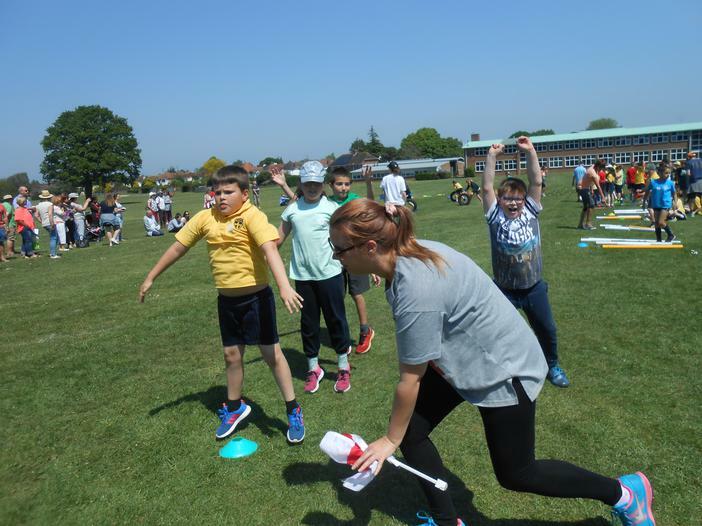 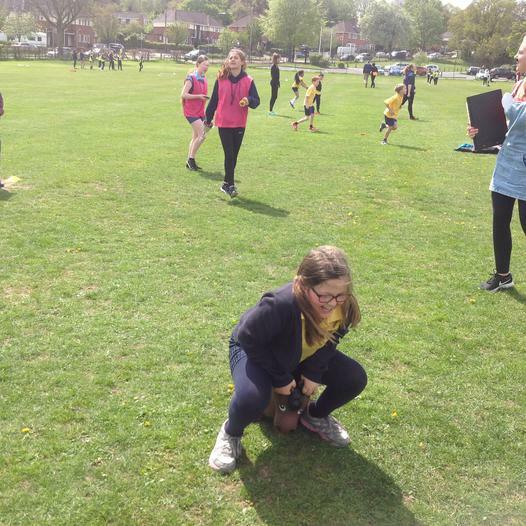 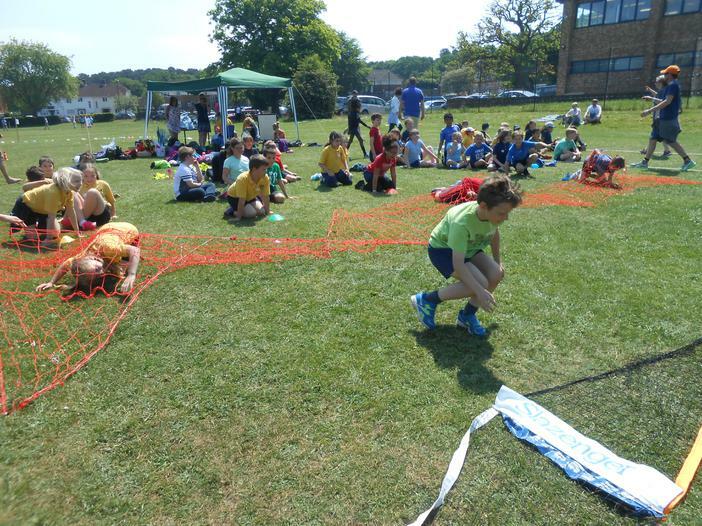 What a great success sports day was.We all really enjoyed it!